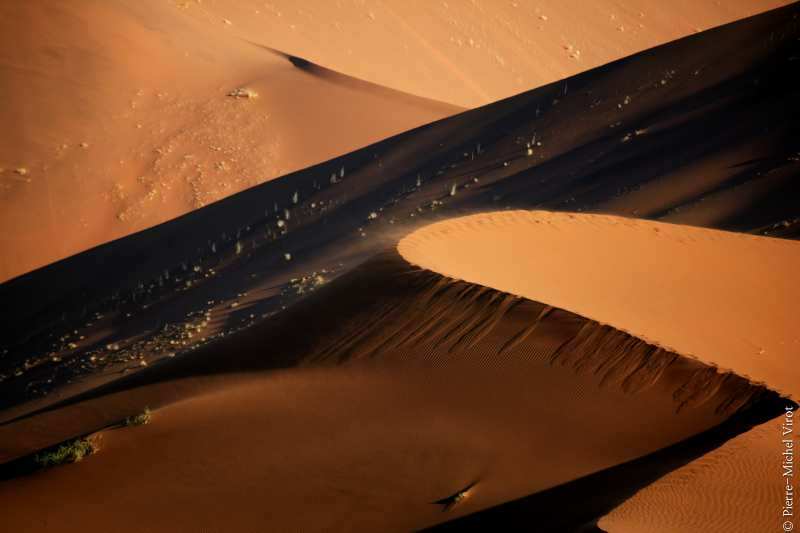 The quintessence of photography is being surrounded by nature and becoming part of it, like a drop of water falling on the ocean. 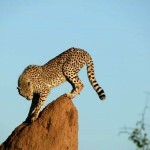 You become receptive not “shooting” the picture anymore, but ready and alert. 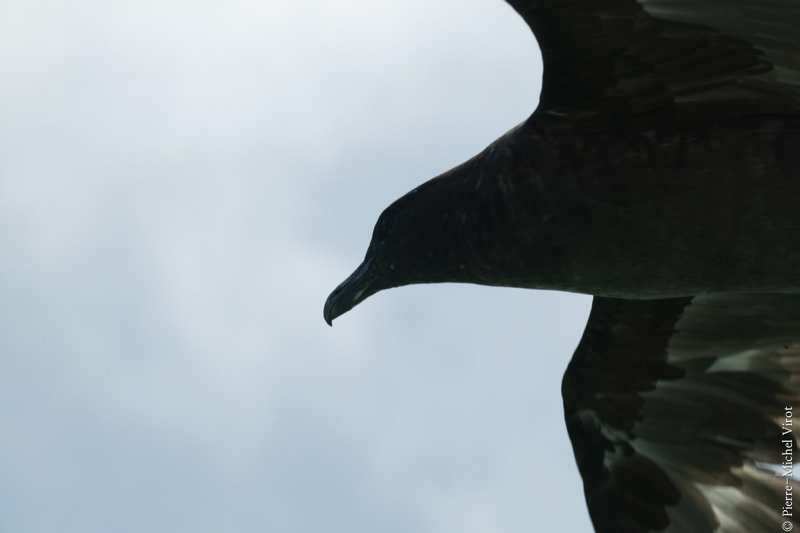 You are braced, receptive and ready to grasp the decisive moment when the animals will allow you to freeze into eternity one of their countless faces. 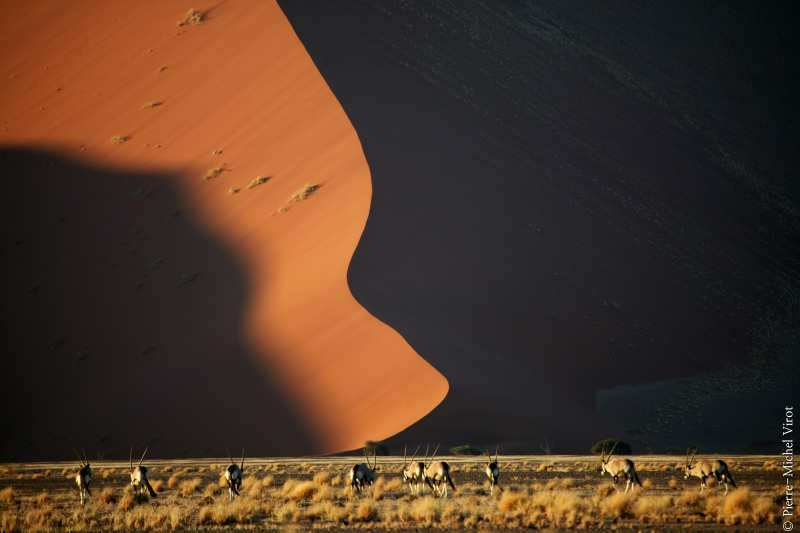 Have you dreamed of taking the ultimate photography trip? 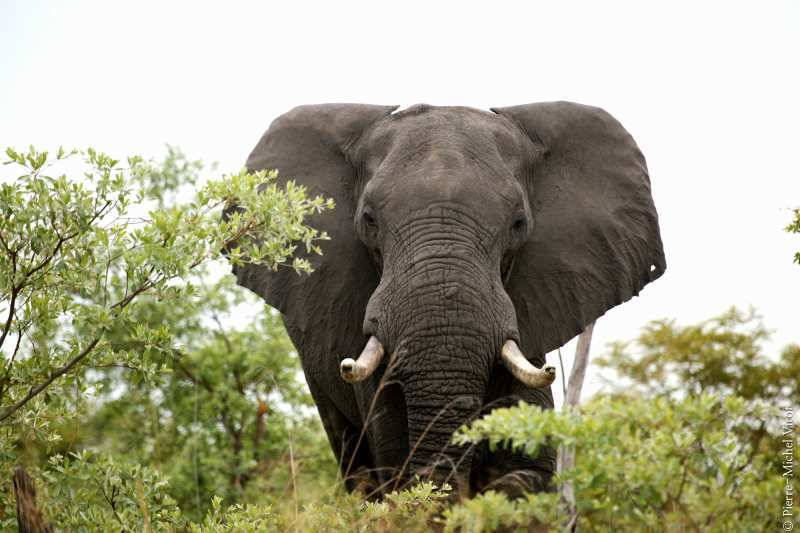 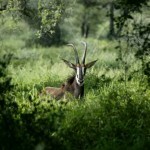 What of an African safari, traveling through vivid landscapes teeming with countless varieties of wildlife? 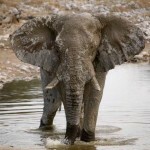 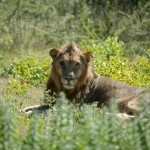 If asked, most photographers would say going on an African photo safari is a dream. 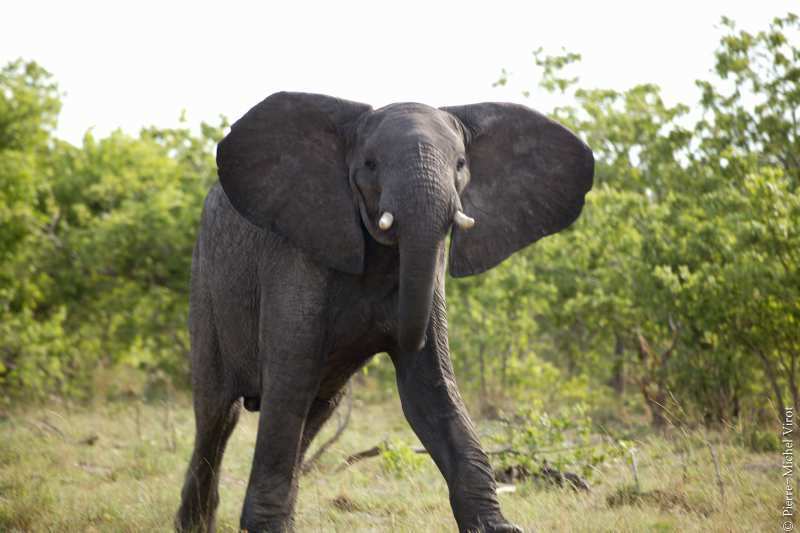 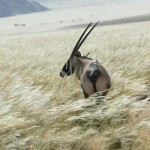 On safari you experience wildlife up close, in its element. 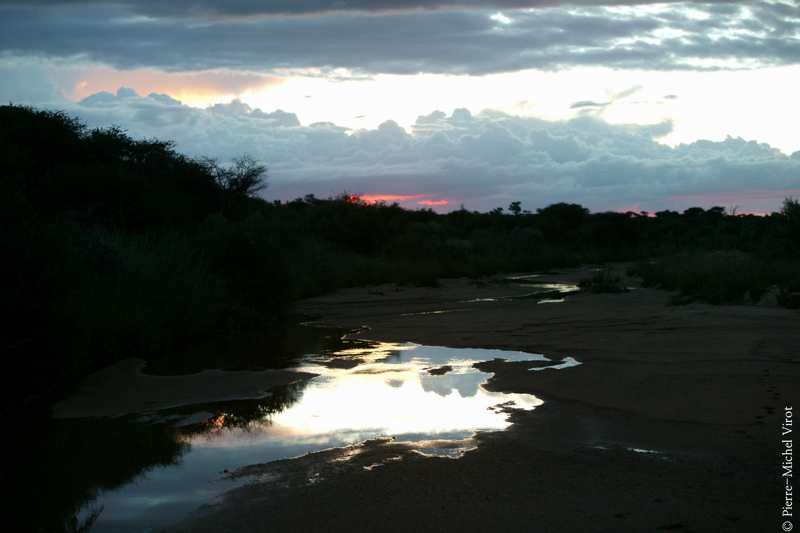 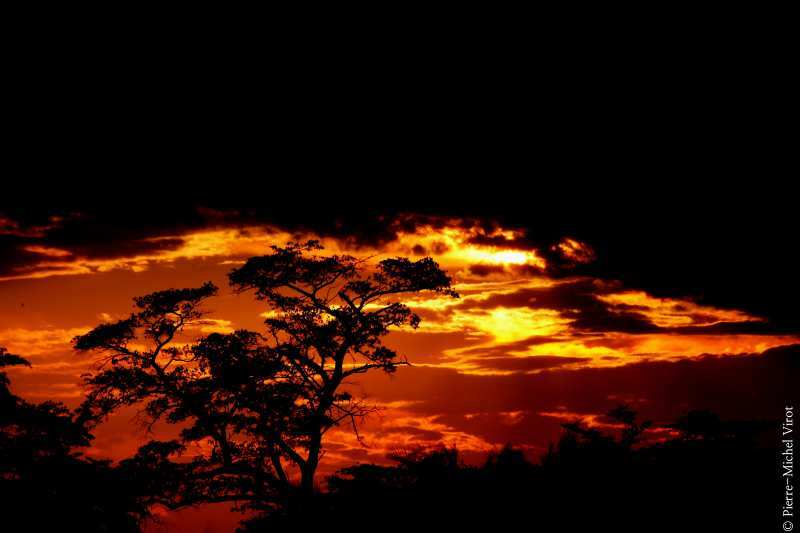 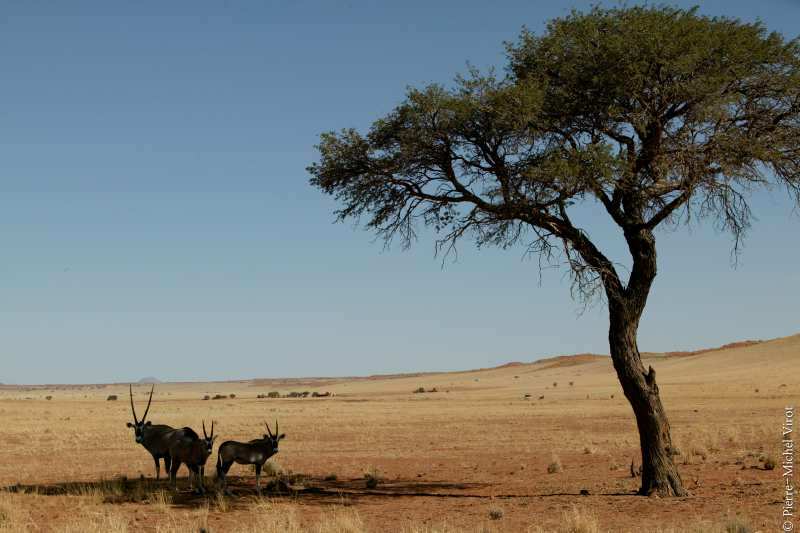 We celebrate the African landscape with a deep respect for its rich fauna, people, and culture. 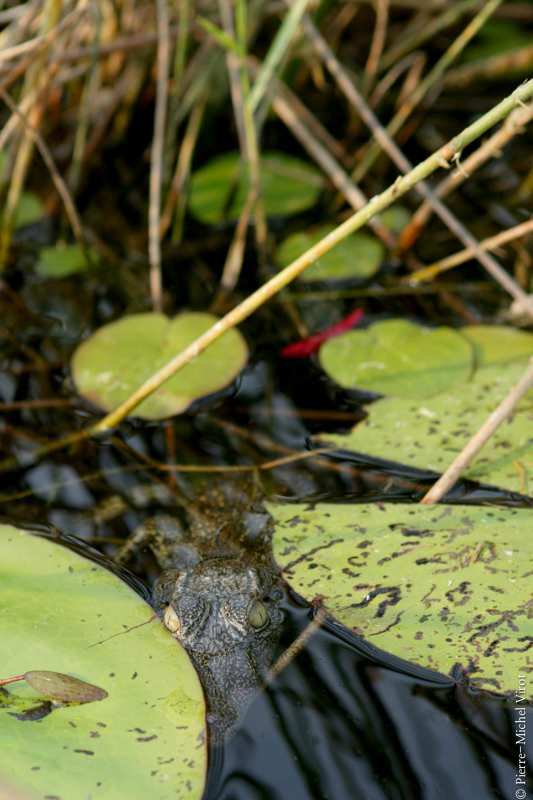 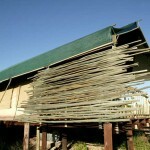 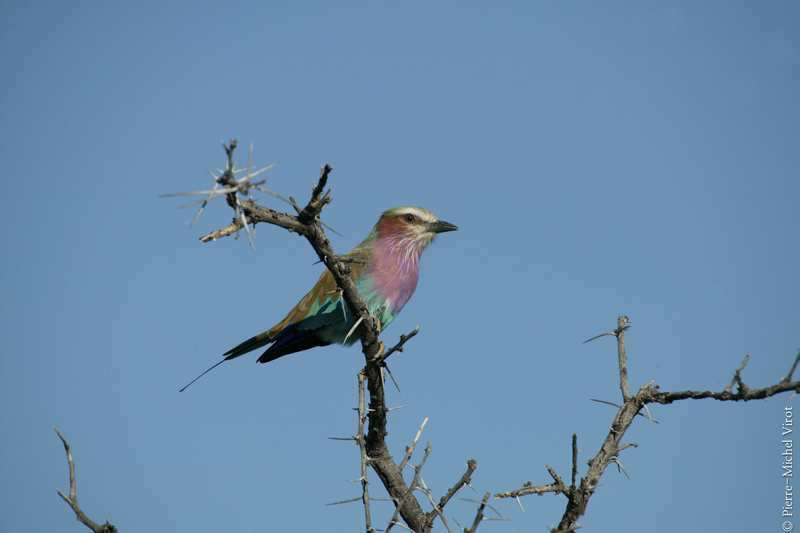 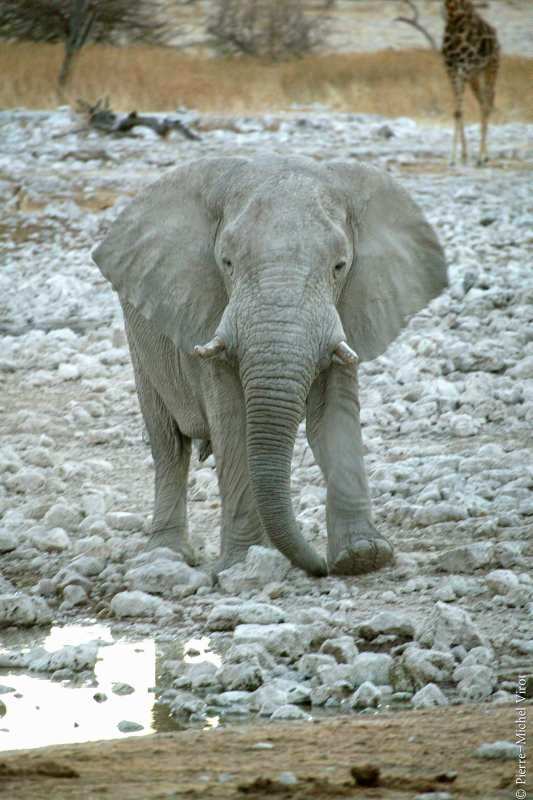 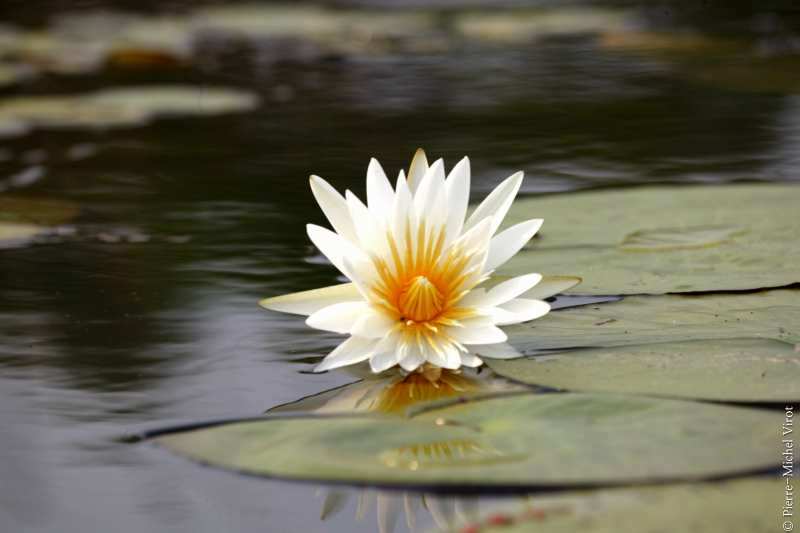 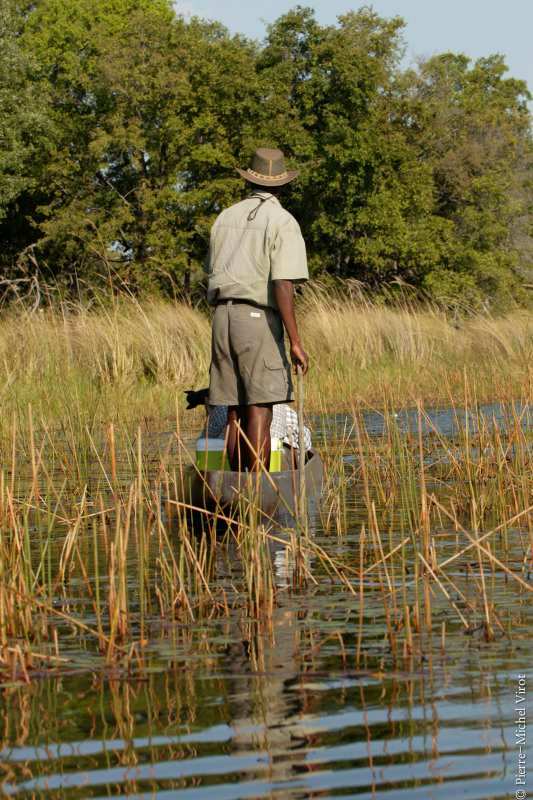 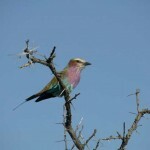 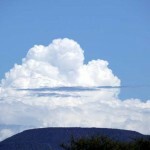 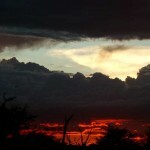 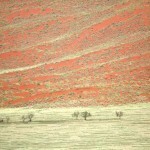 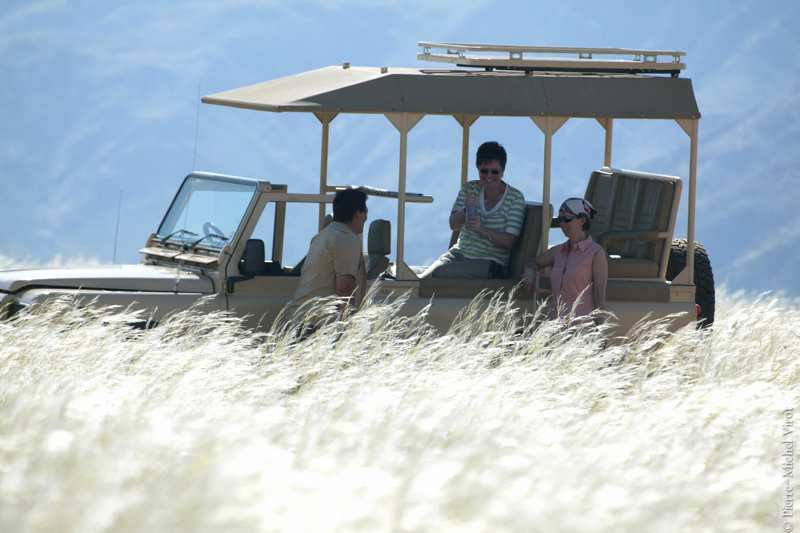 We want to unfold for you the many faces of Namibia, or the wildlife riches of Botswana and its Okavango Delta. 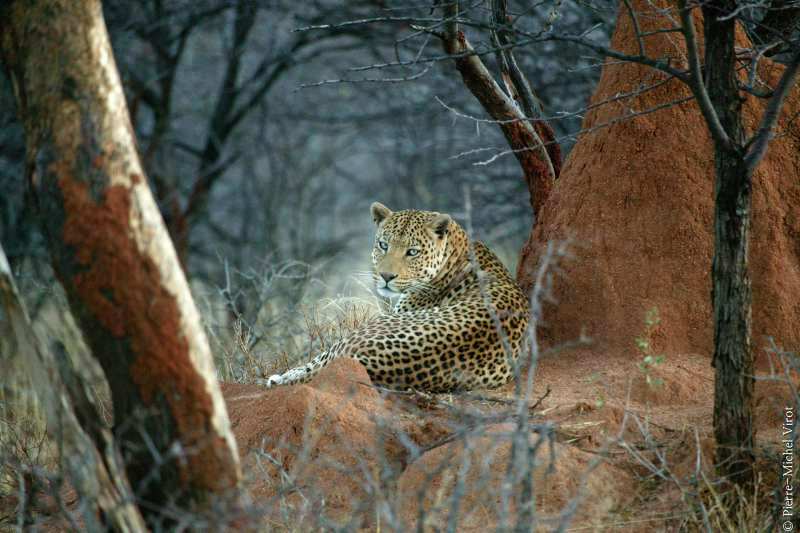 Those photographic safaris allow the traveler to enhance their understanding of photography, lighting, and wildlife and to experience the emotional depth and develop a life-long admiration for Africa’s beauty and culture. 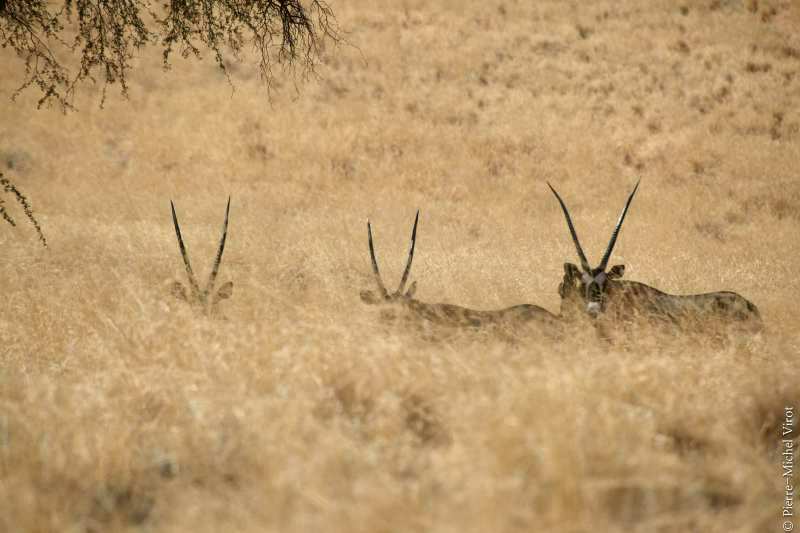 Himbas. 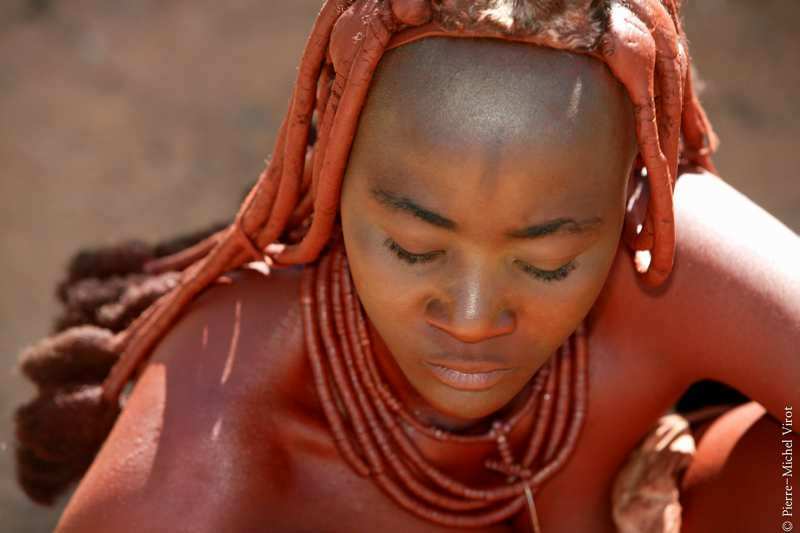 Elevated to almost legendary status in Namibia, the Himba still live a more-or-less traditional existence. 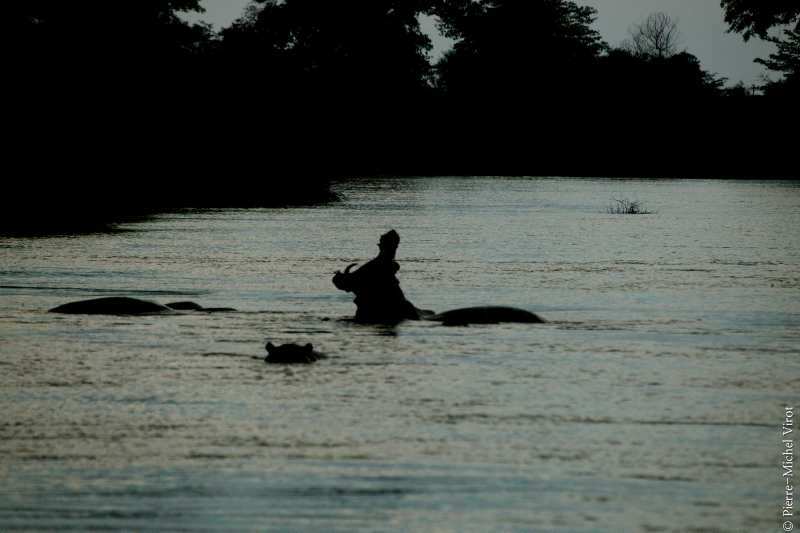 Their cattle are the center of their lives. 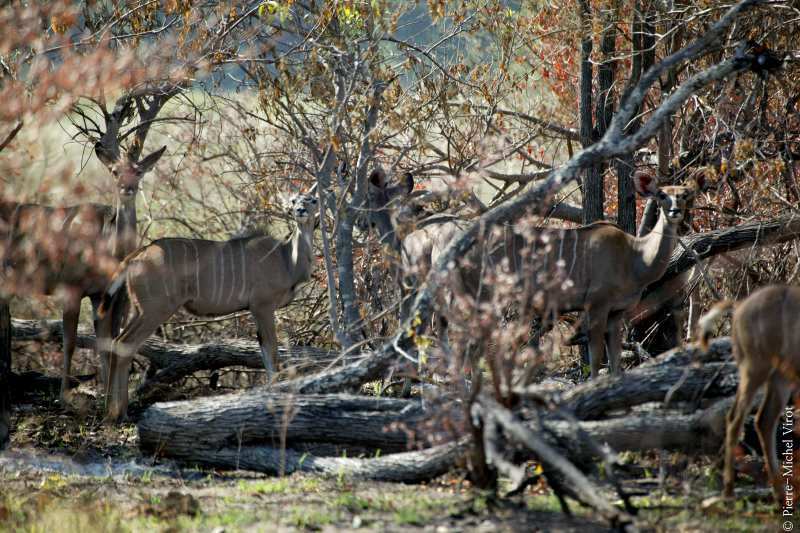 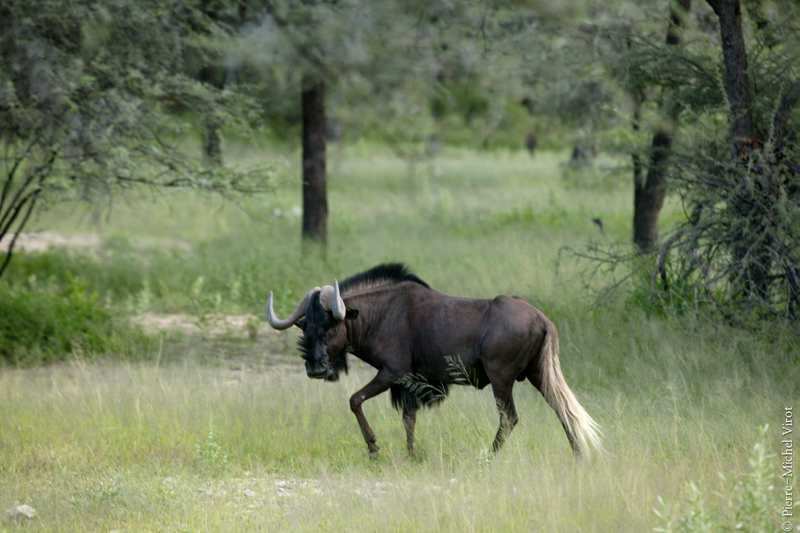 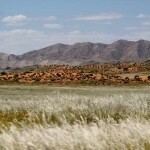 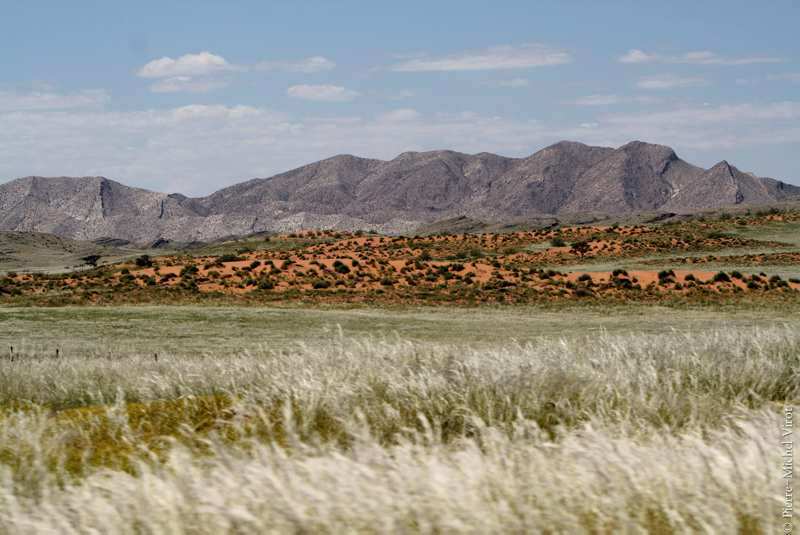 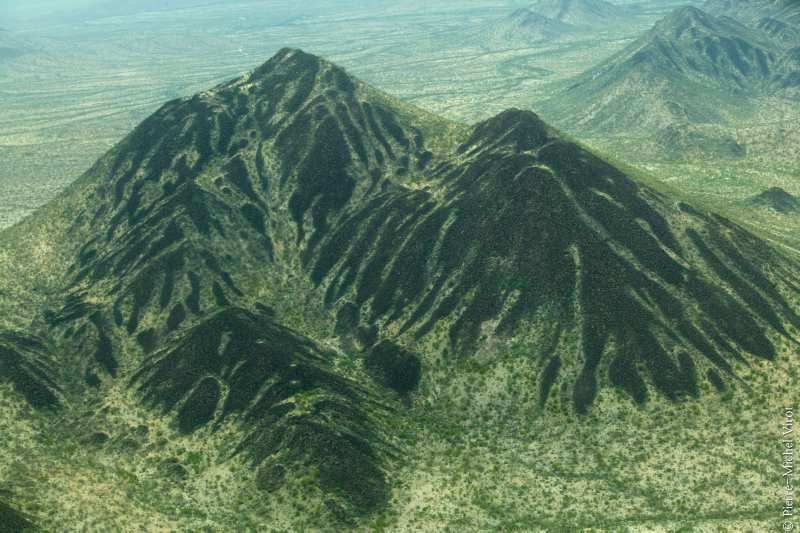 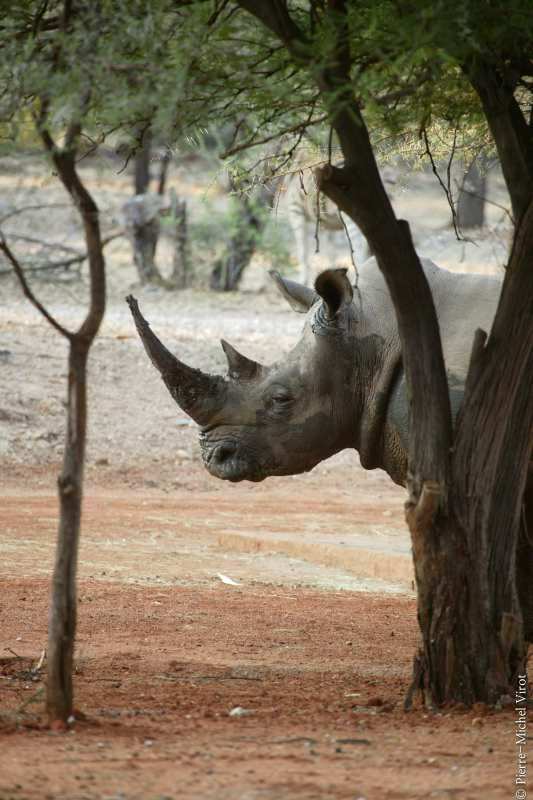 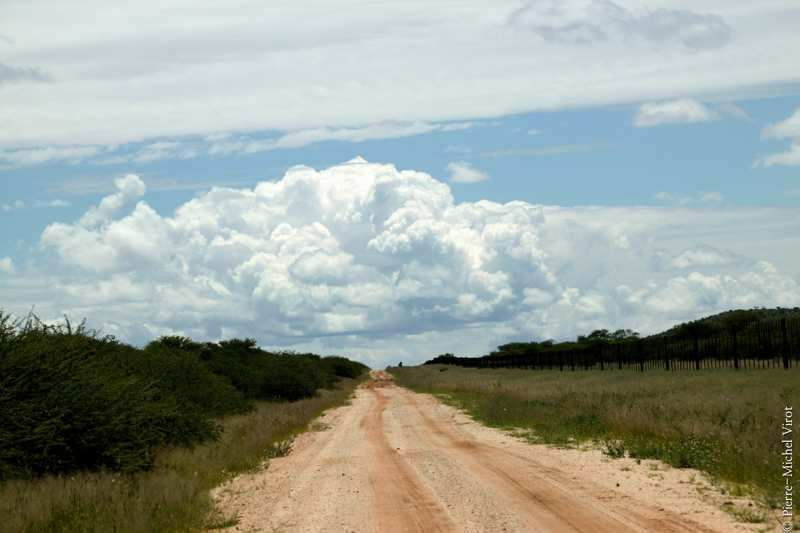 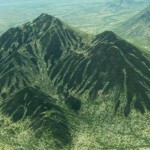 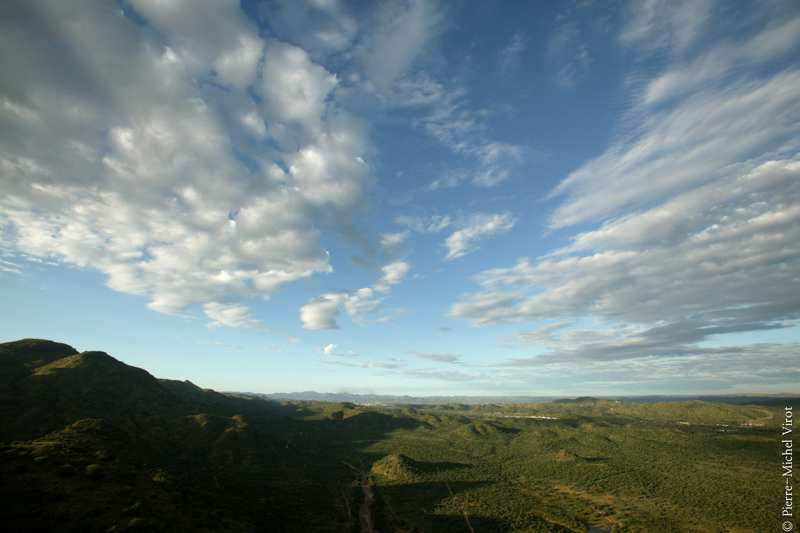 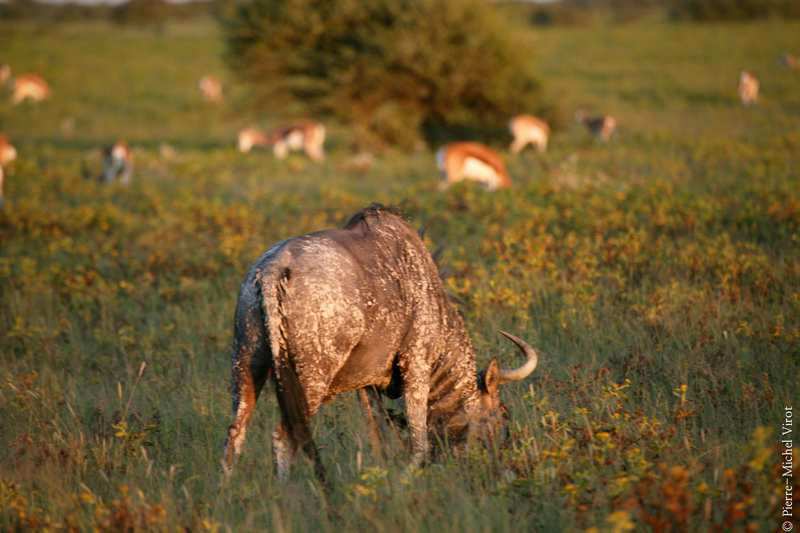 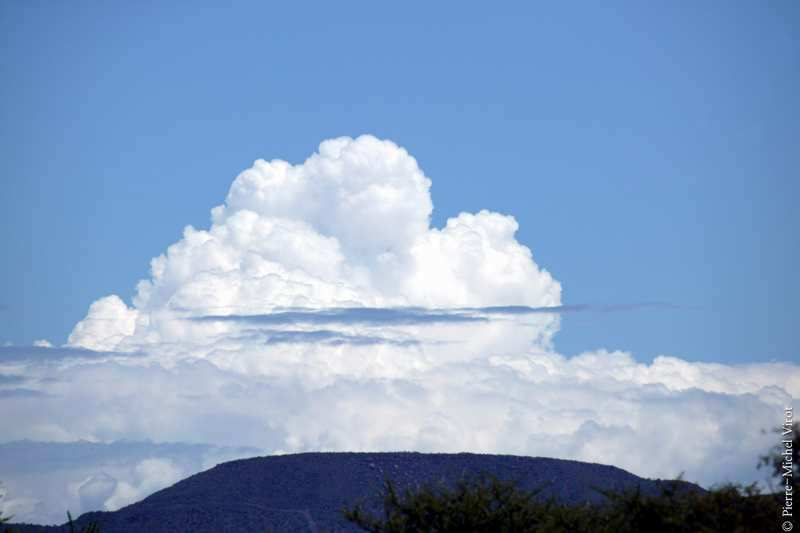 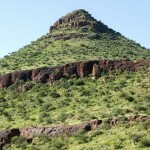 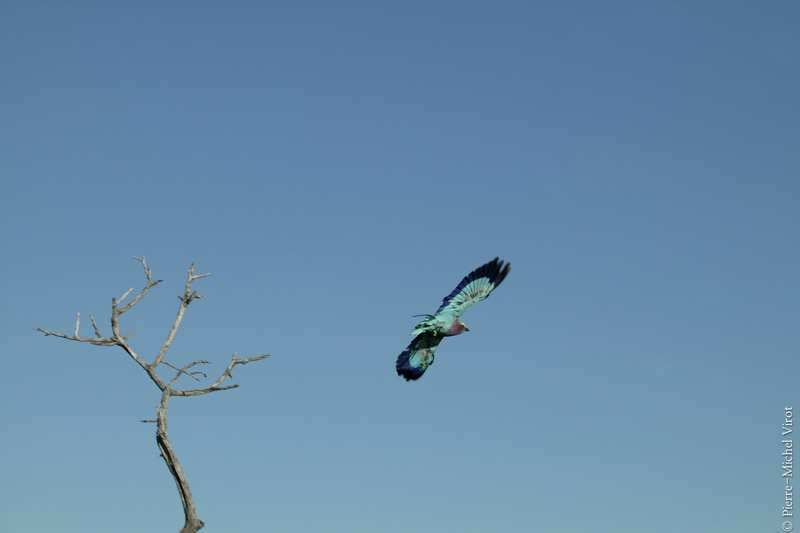 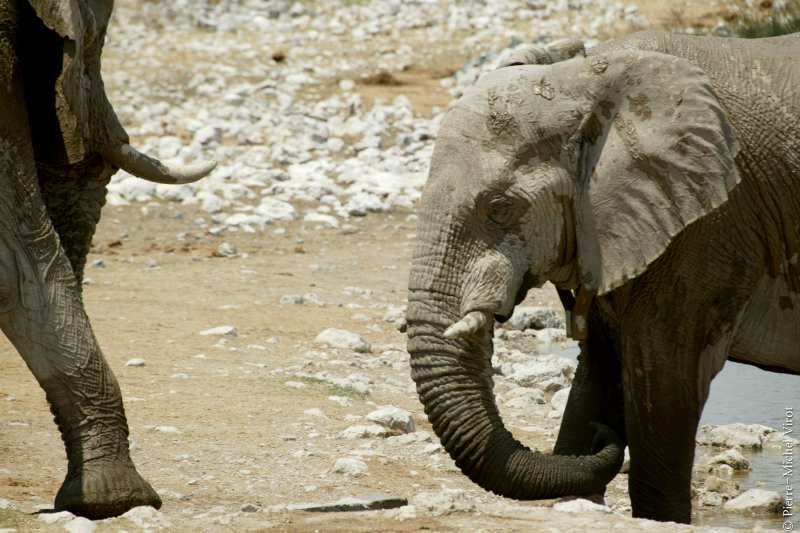 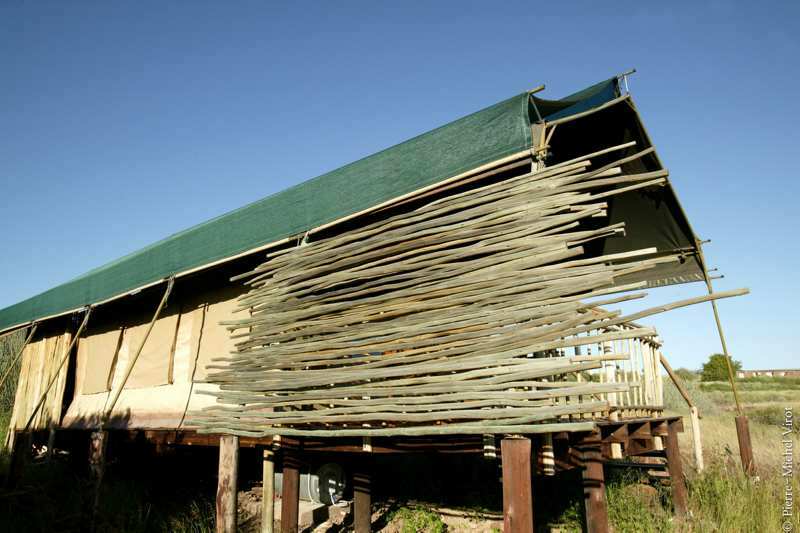 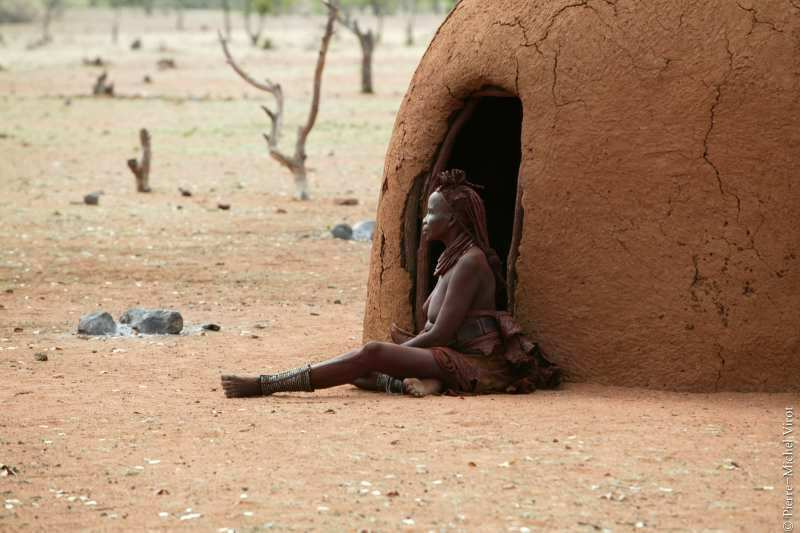 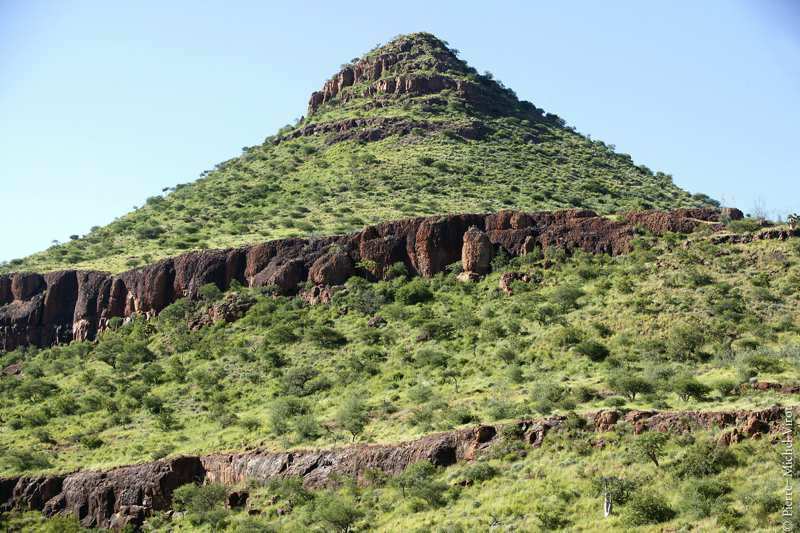 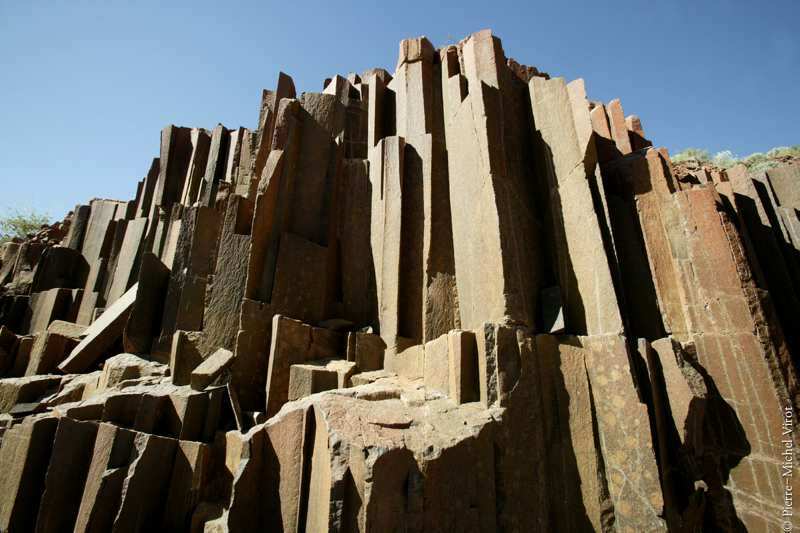 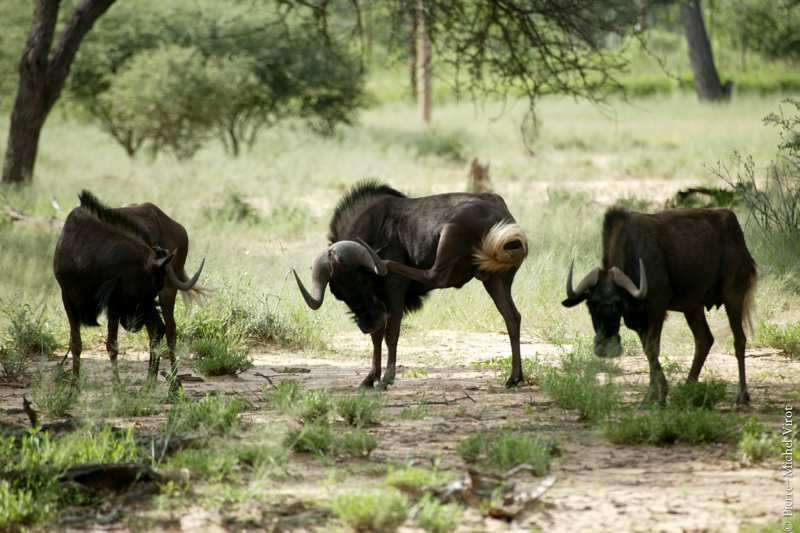 Largely eschewing westernization, they have managed to successfully live in a balance with nature in the fragile Kunene region known as Kaokoland. 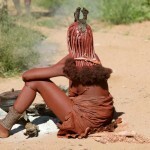 They pursue old customs such as ancestor worship and the keeping of the sacred homestead fire. 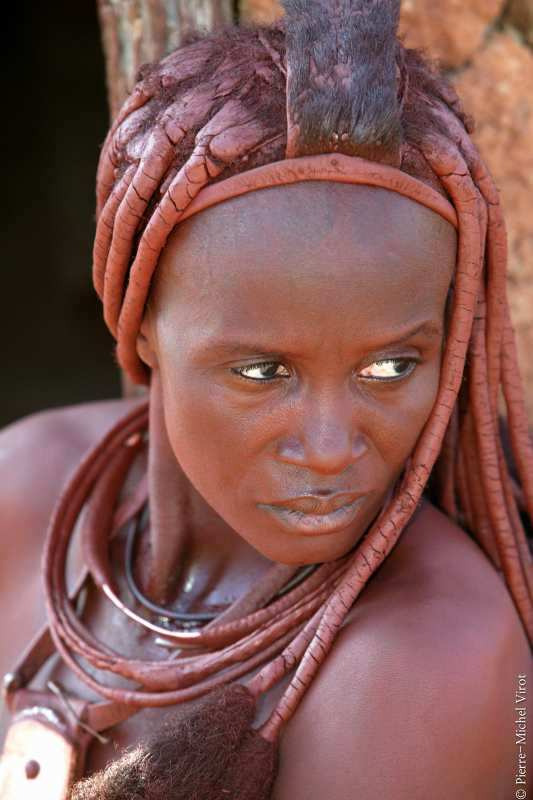 The Himba wear little clothing, but the women are famous for covering themselves with otjize, a mixture of butter fat and ochre. 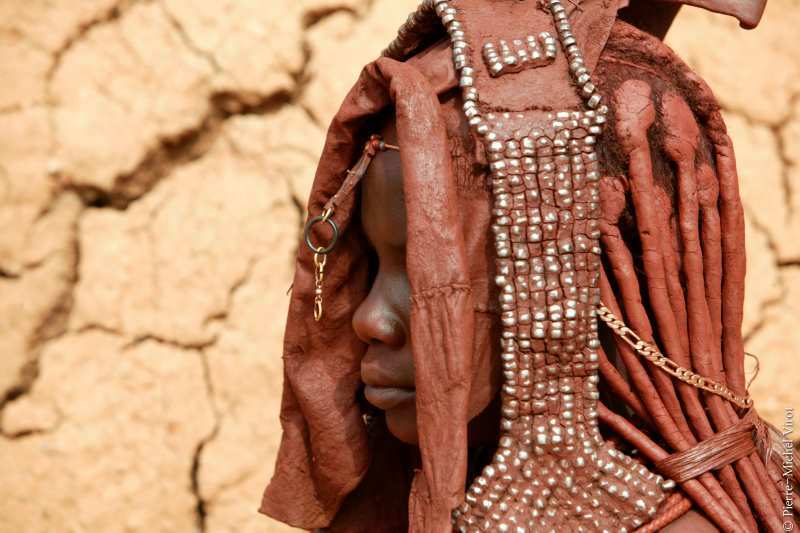 This is a cosmetic that also protects their skin from the sun. 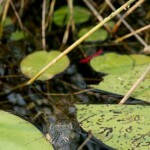 The mixture gives their skins a reddish tinge. 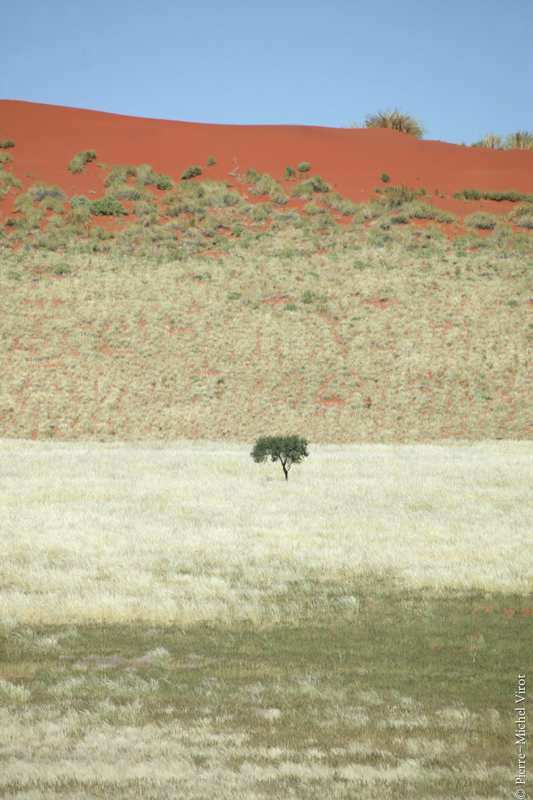 This symbolizes earth’s rich red and blood that represents life. 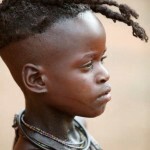 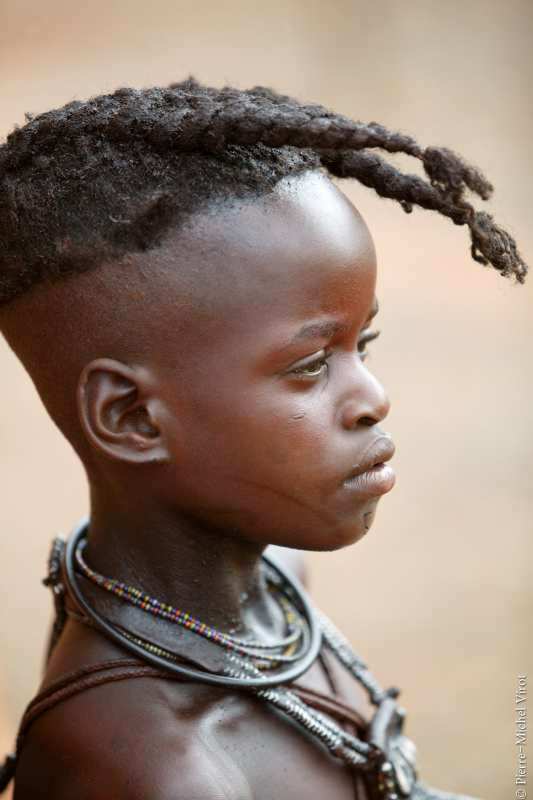 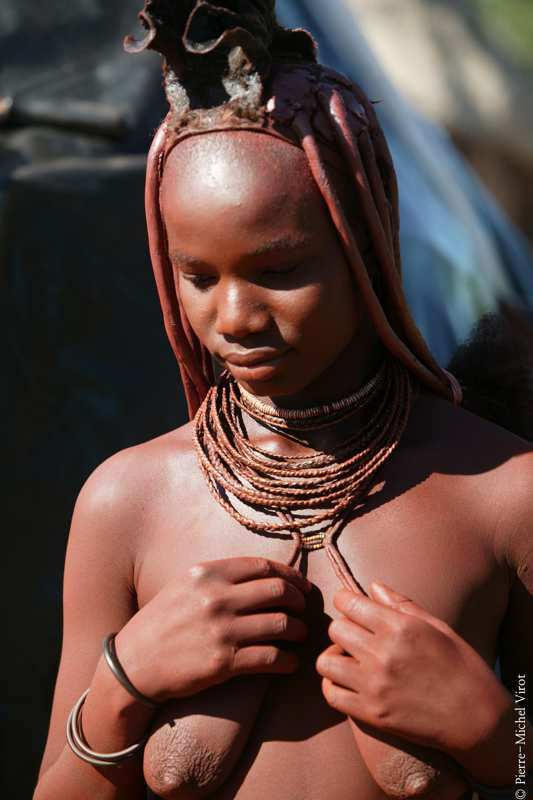 It is consistent with the Himba ideal of beauty. 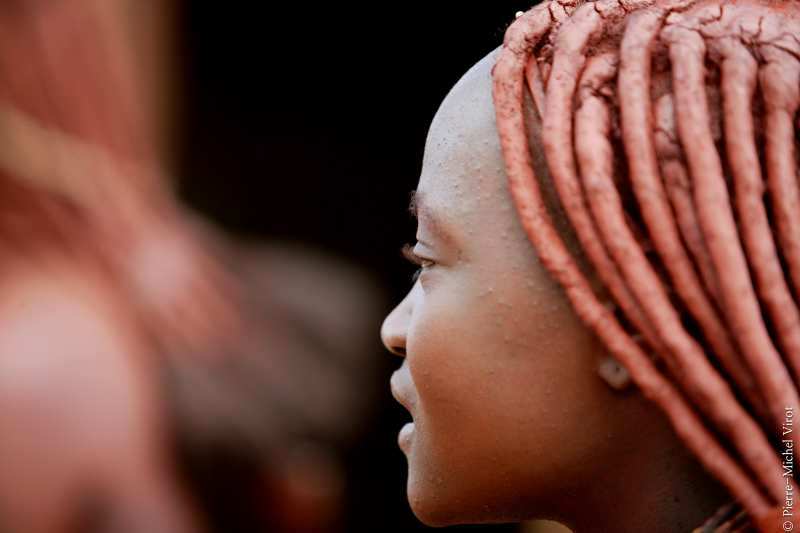 Women braid each other’s hair that they extend with plastic hair they usually have to purchase, to cover it except the ends, in their ochre mixture. 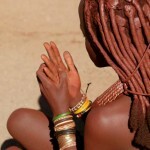 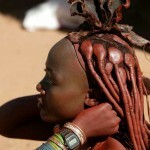 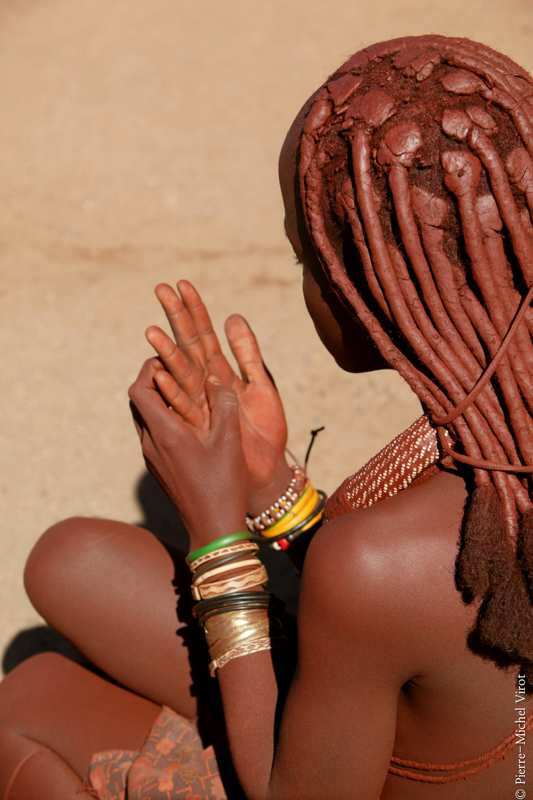 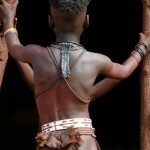 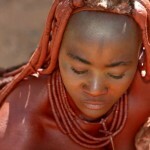 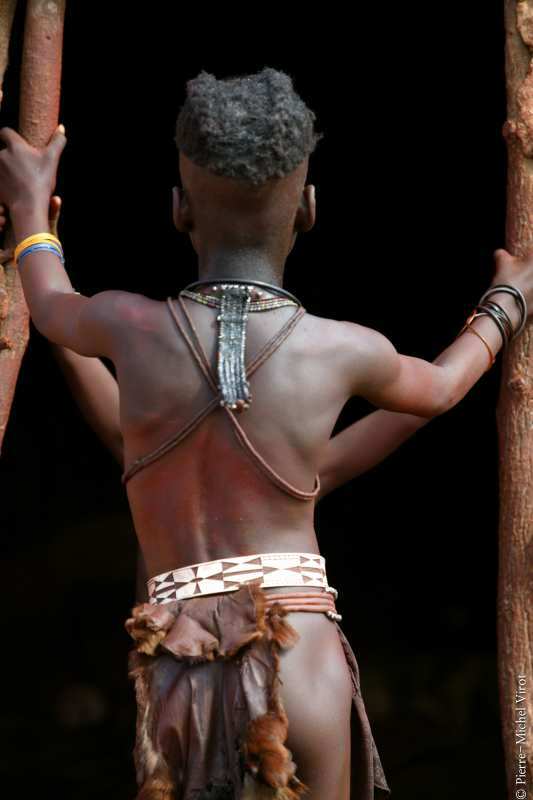 Researchers studied the Himba color perceptions. 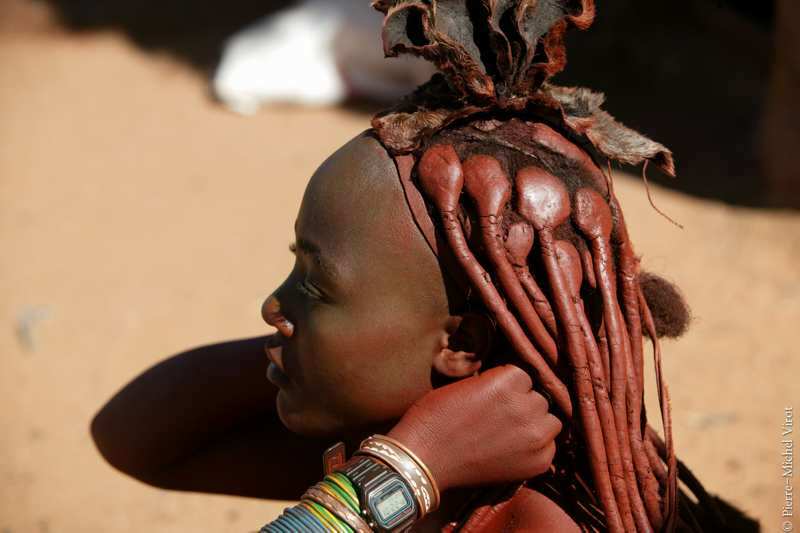 The Himba use four color names: Zuzu stands for dark shades of blue, red, green and purple; Vapa is white and some shades of yellow; Buru is some shades of green and blue; and Dambu is some other shades of green, red and brown. 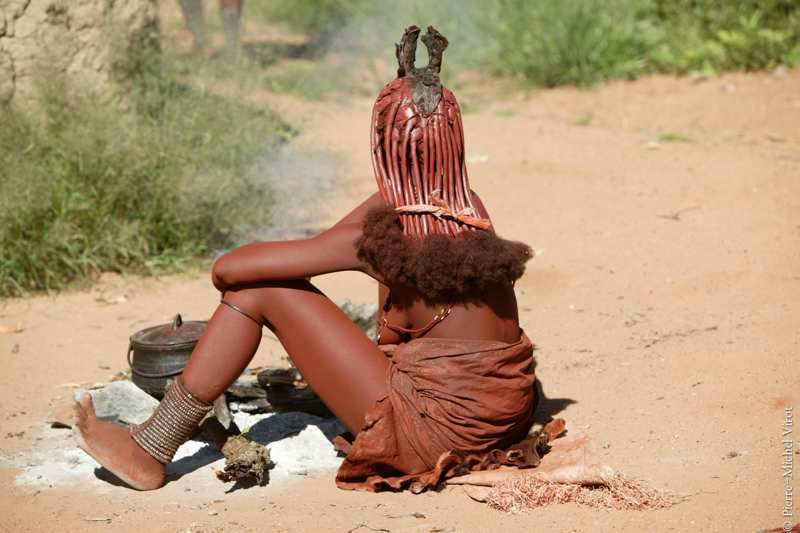 It is thought that this may increase the time it takes for the Himba to distinguish between two colors that fall under the same Herero color category compared to people whose language separates the colors into two different color categories. 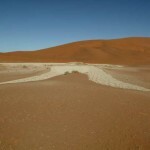 Namib Desert. 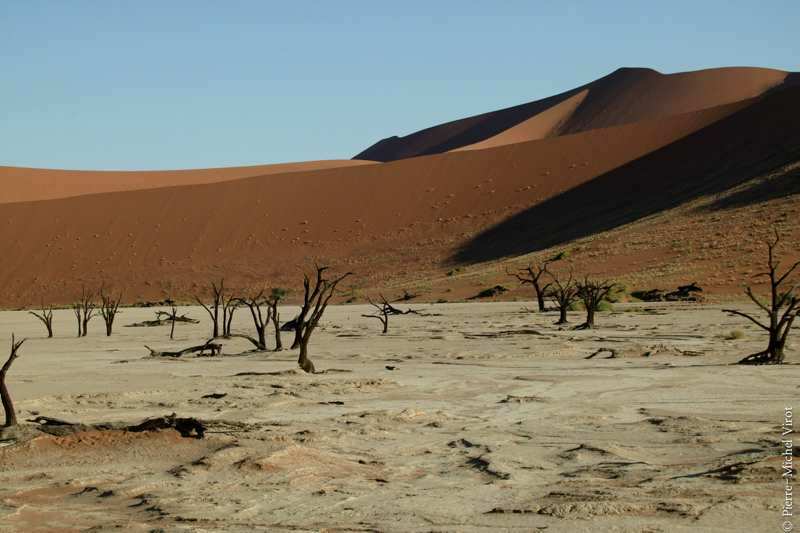 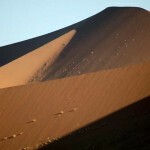 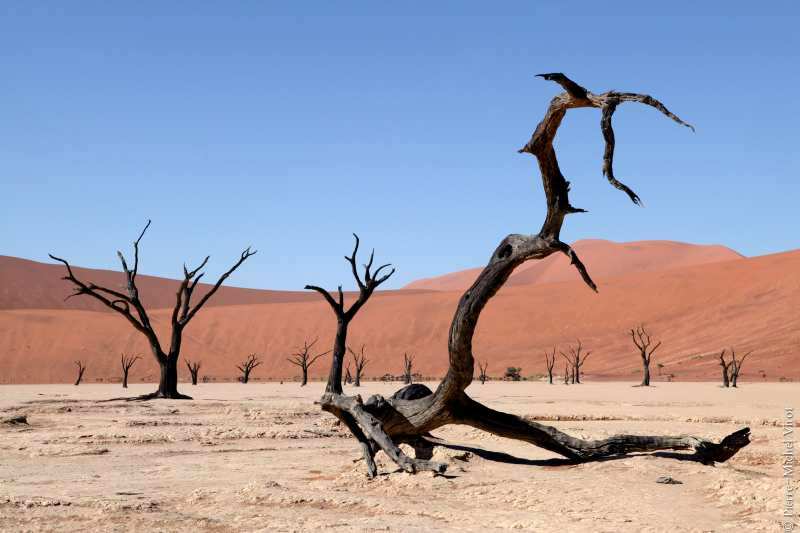 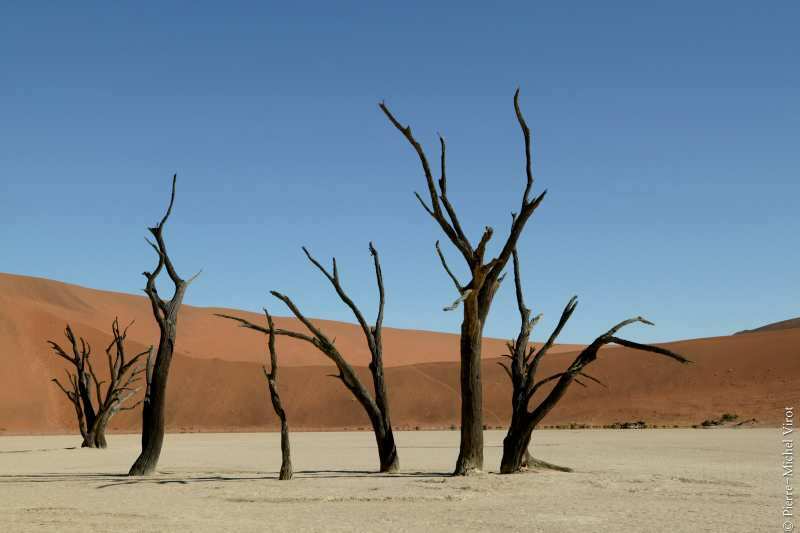 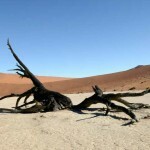 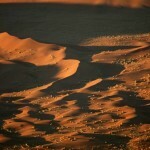 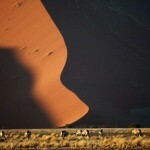 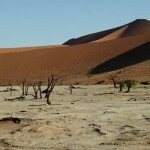 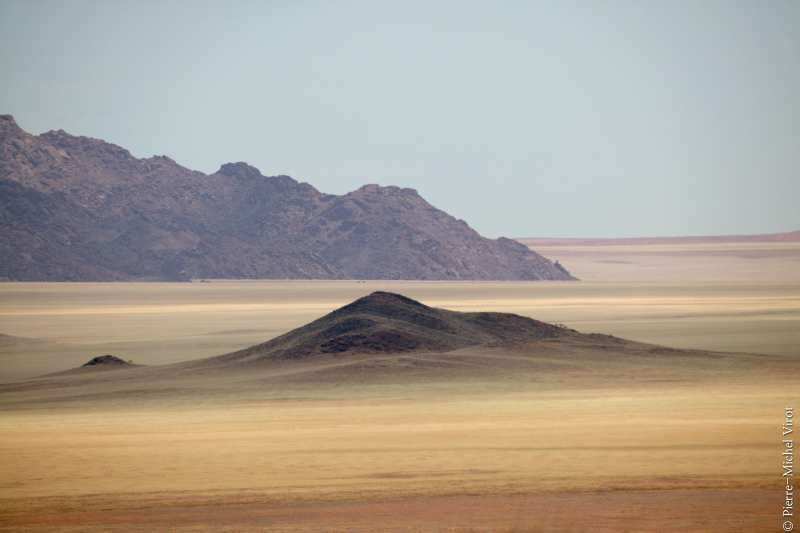 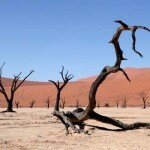 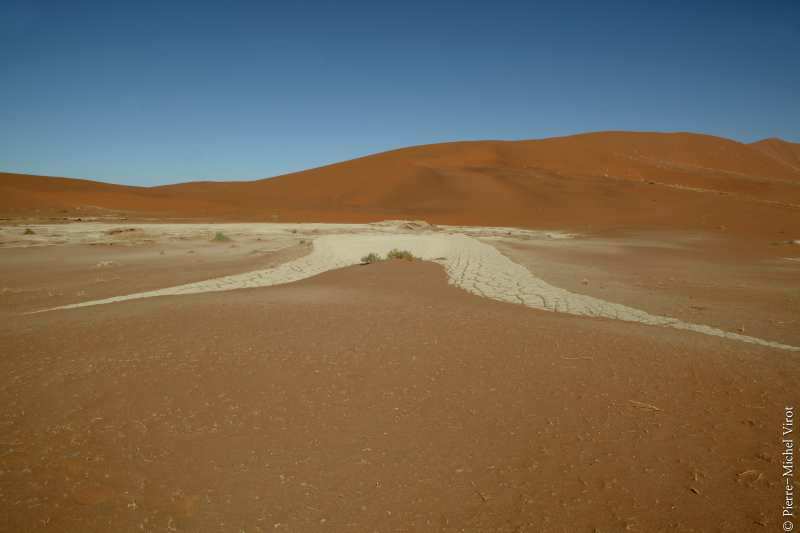 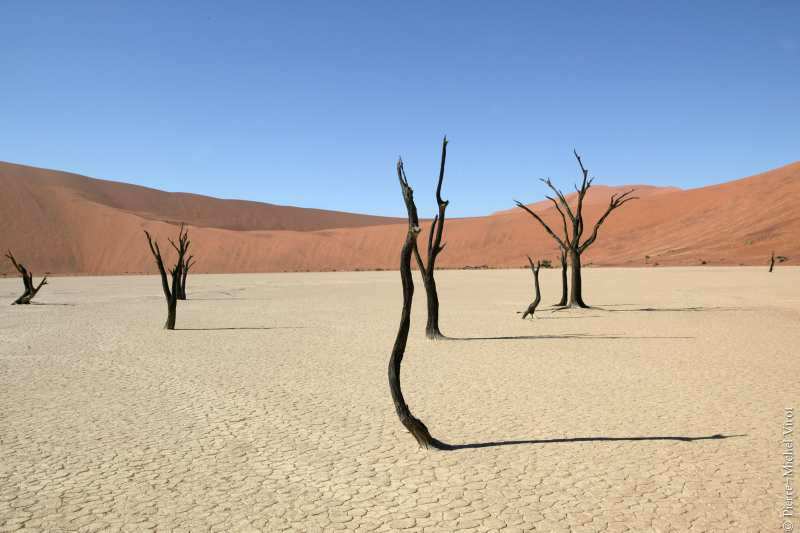 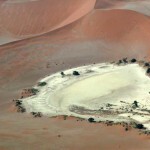 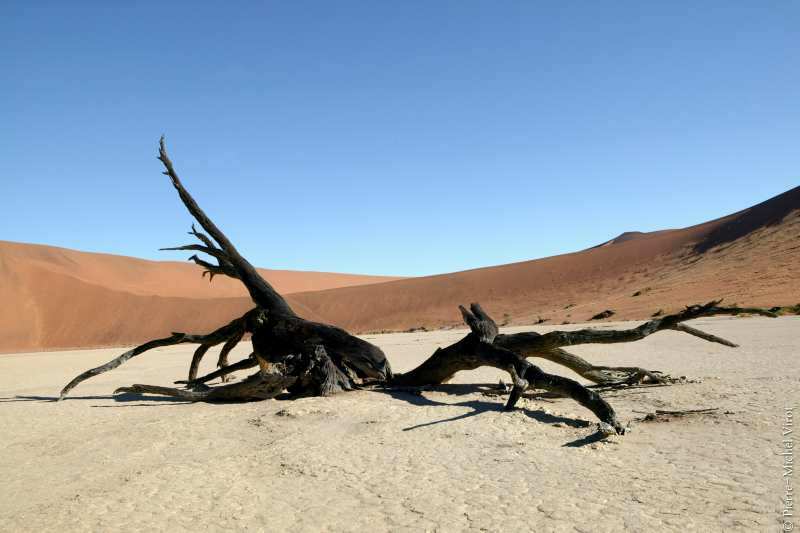 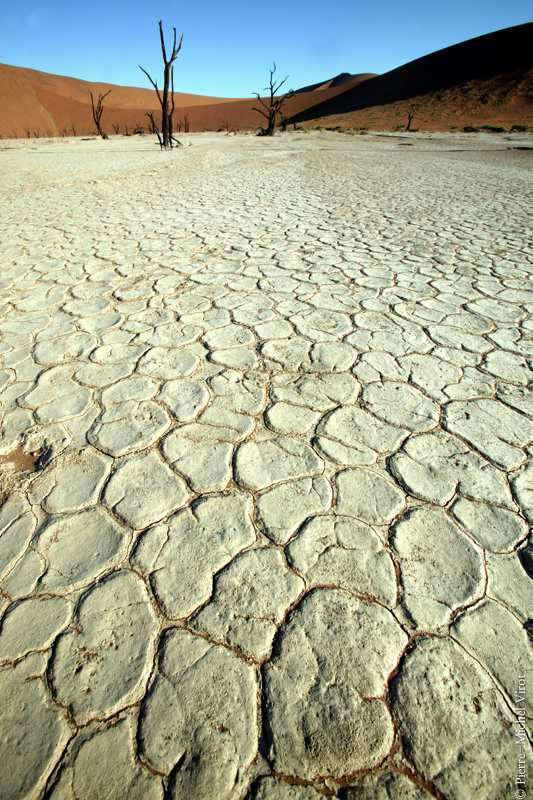 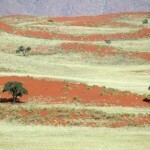 The Namib Desert is often referred to as the world’s oldest desert. 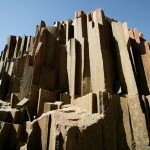 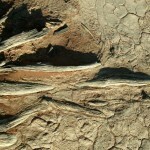 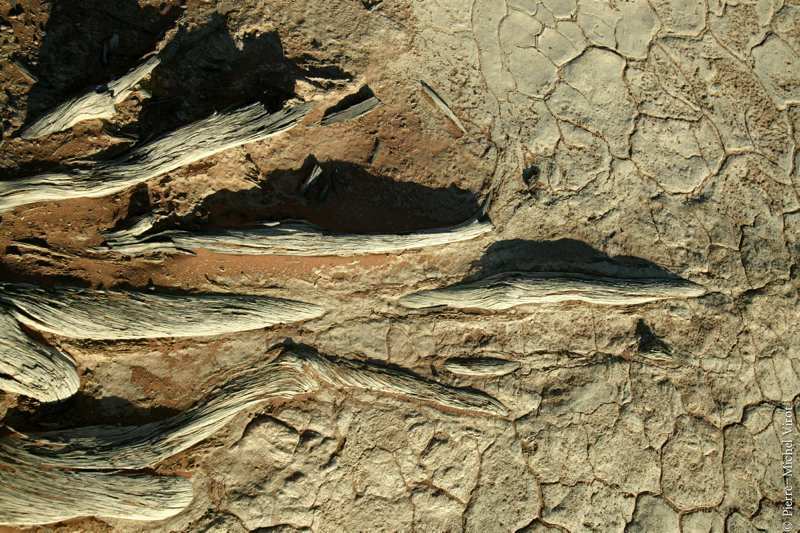 It has been in existence for some 43 million years, remaining unchanged in its present form for the last 2 million years. 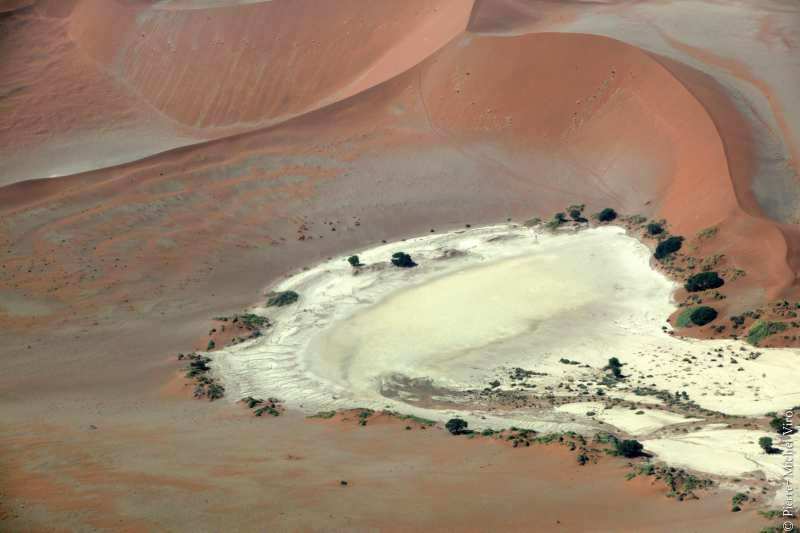 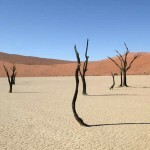 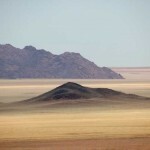 The Namib is an immense expanse of relentlessly moving gravel plains and dunes of all shapes and sizes that stretch along the entire coastline of Namibia. 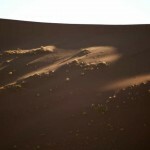 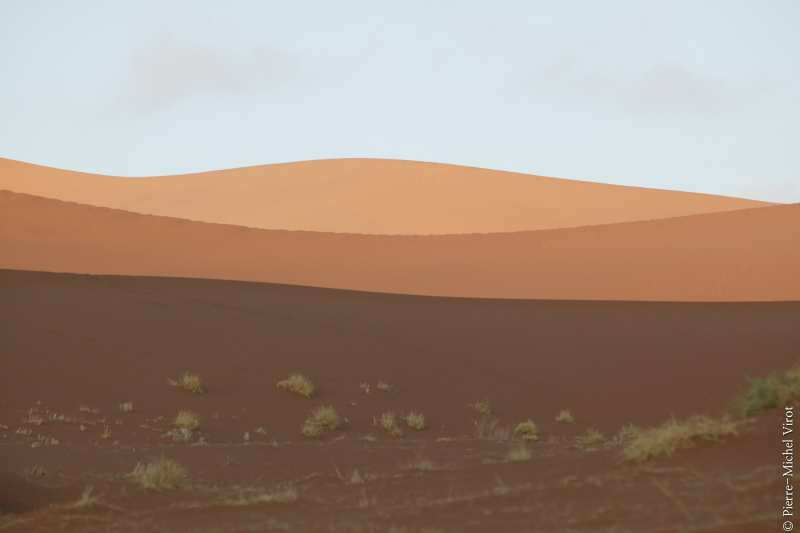 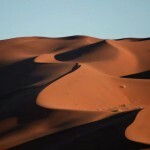 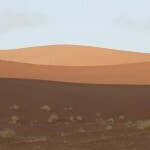 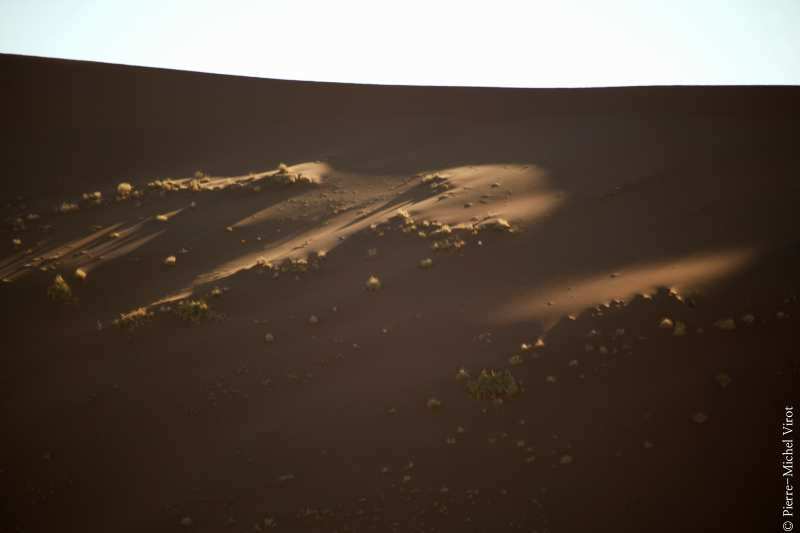 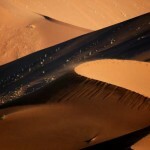 The most widespread and dominant type of desert sand dune are linear dunes. 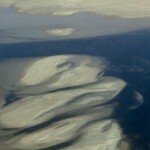 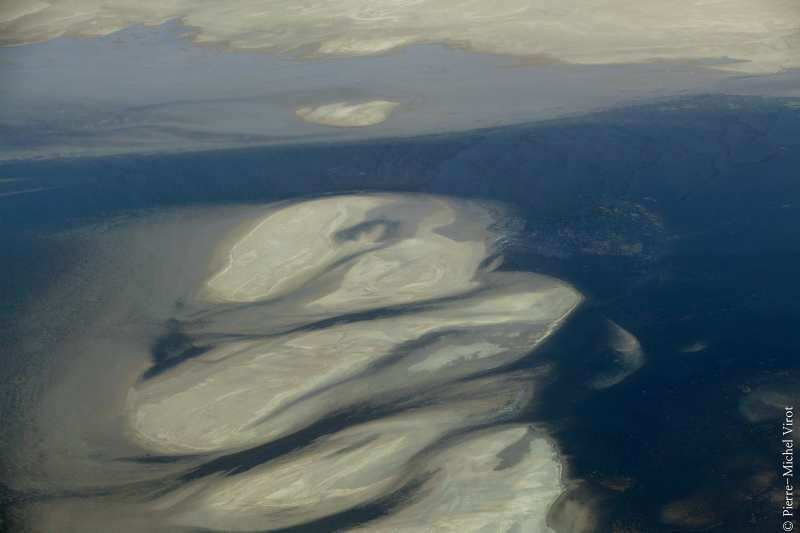 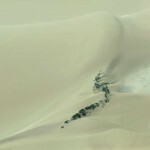 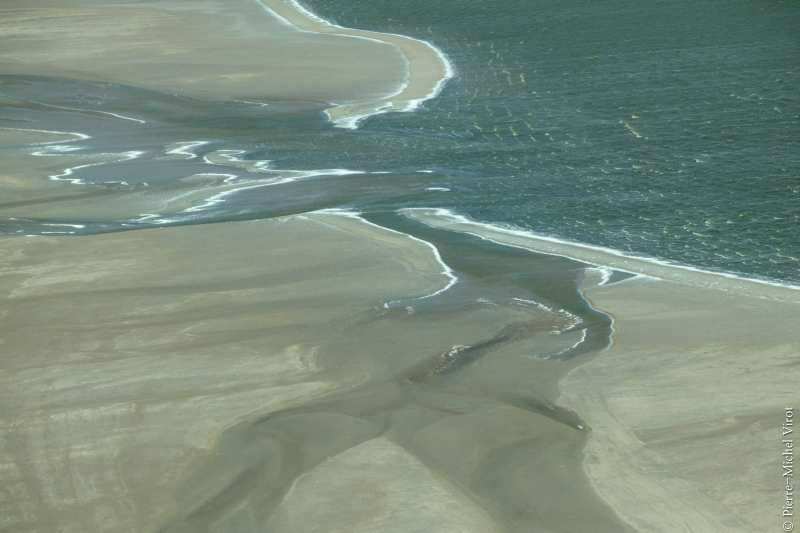 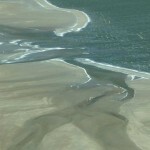 These are crescent-shaped dunes common along the coast. 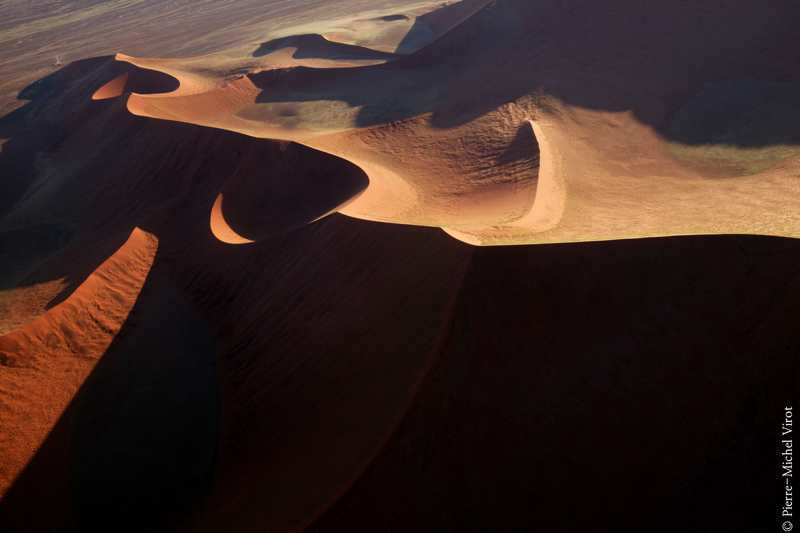 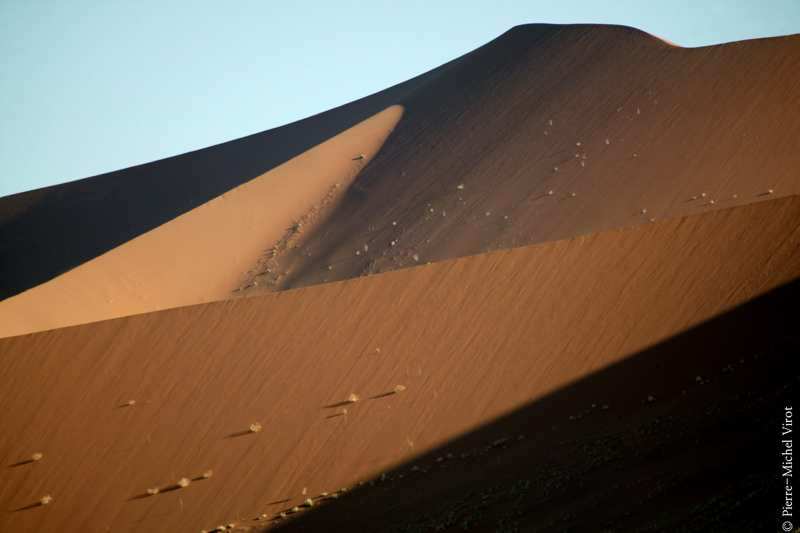 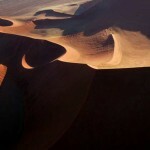 There are also clusters of star dunes, such as the towering horseshoe of dunes at Sossusvlei, found in the eastern reaches of the sand sea. 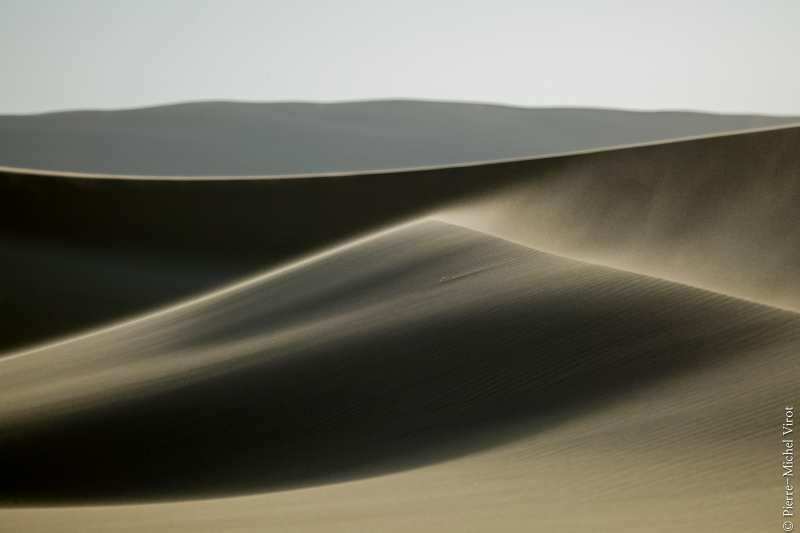 The sand dunes, some of which are 300 meters (980 ft.) high and span 32 kilometers (20 miles) long, are the second largest in the world after the Badain Jaran Desert dunes in China. 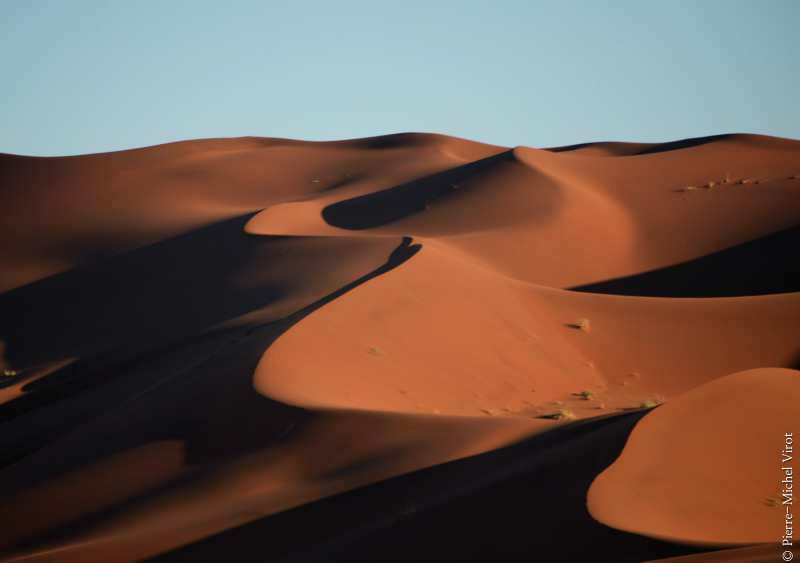 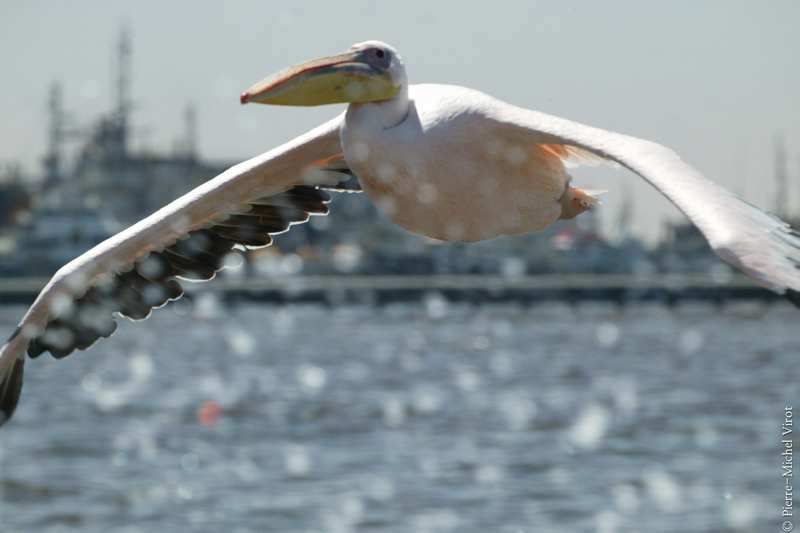 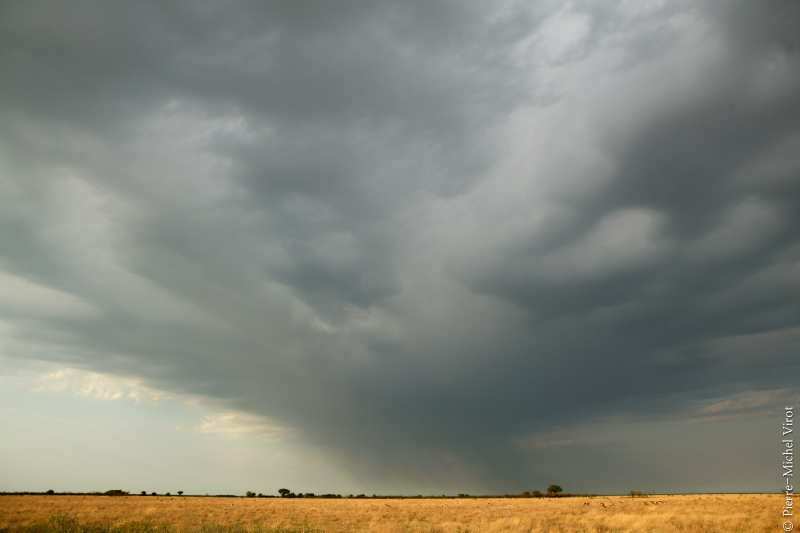 Temperatures along the coast are stable and generally range between 9–20 °C (48–68 °F) annually, while temperatures further inland are variable—summer daytime temperatures can exceed 45 °C (113 °F) while nights can be freezing in winter. 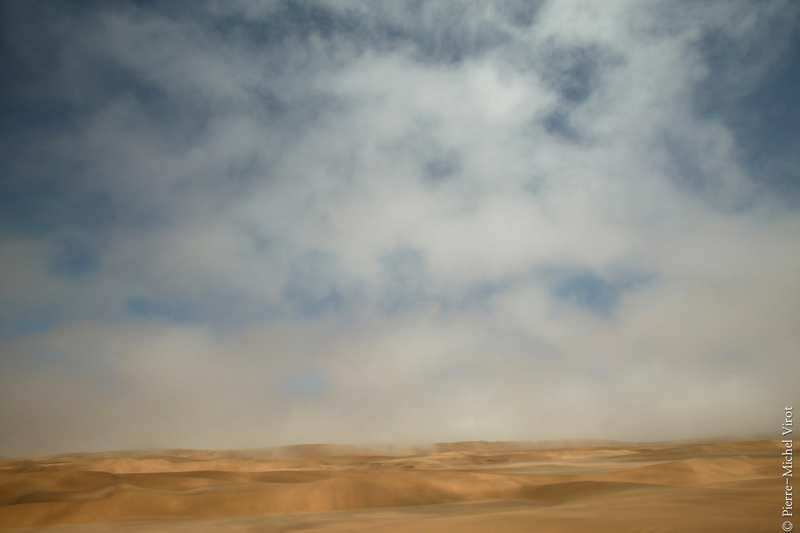 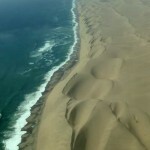 Fogs that originate offshore from the collision of the cold Benguela Current and warm air from the Hadley Cell create a fog belt that frequently wraps parts of the desert. 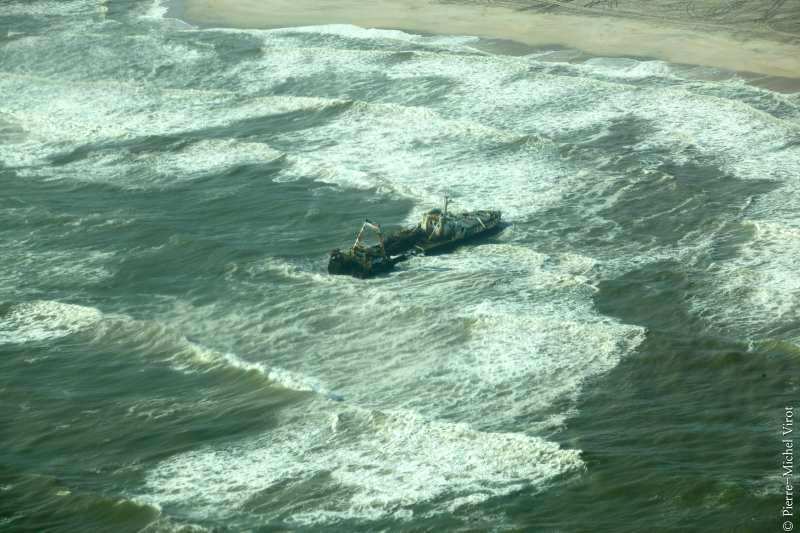 Coastal regions can experience more than 180 days of thick fog a year. 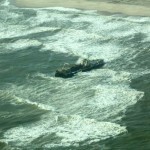 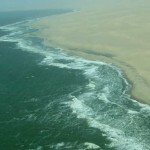 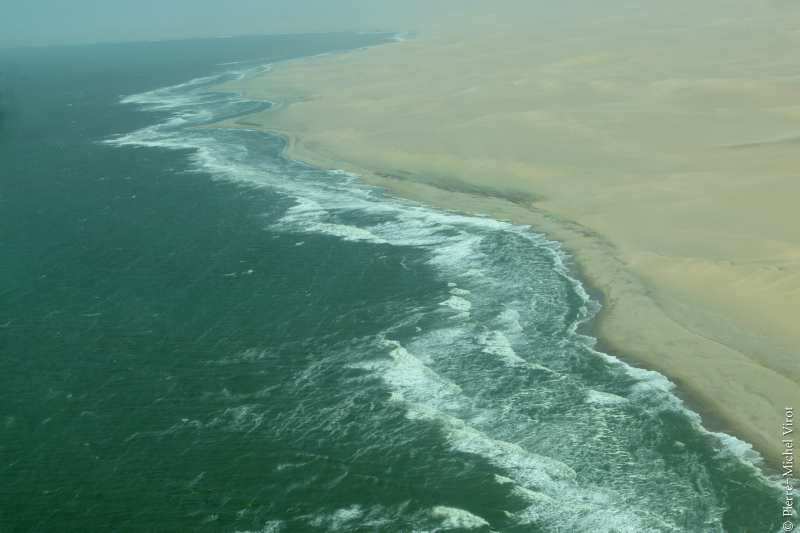 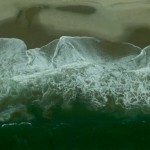 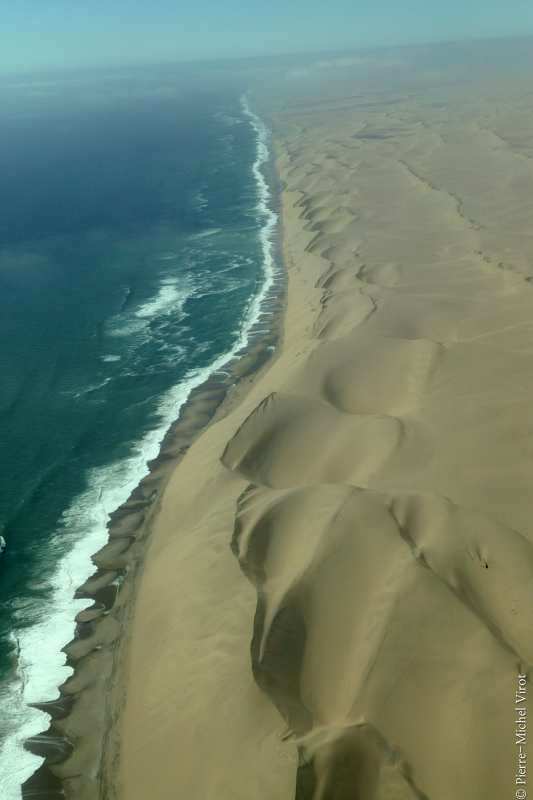 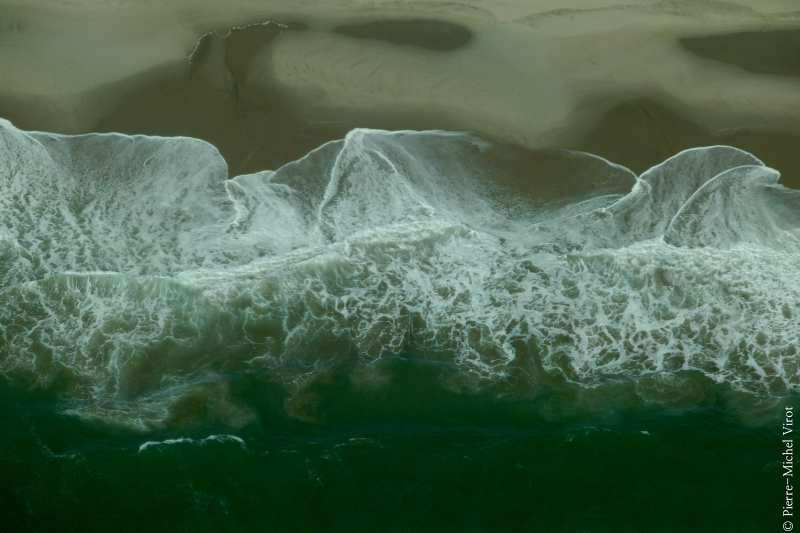 While this has proved a major hazard to ships—more than a thousand wrecks litter the Skeleton Coast—it is a vital source of moisture for desert life. 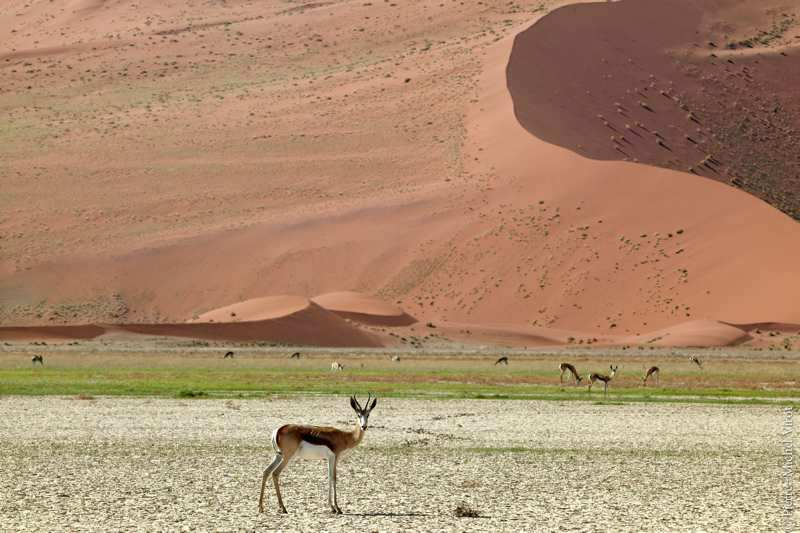 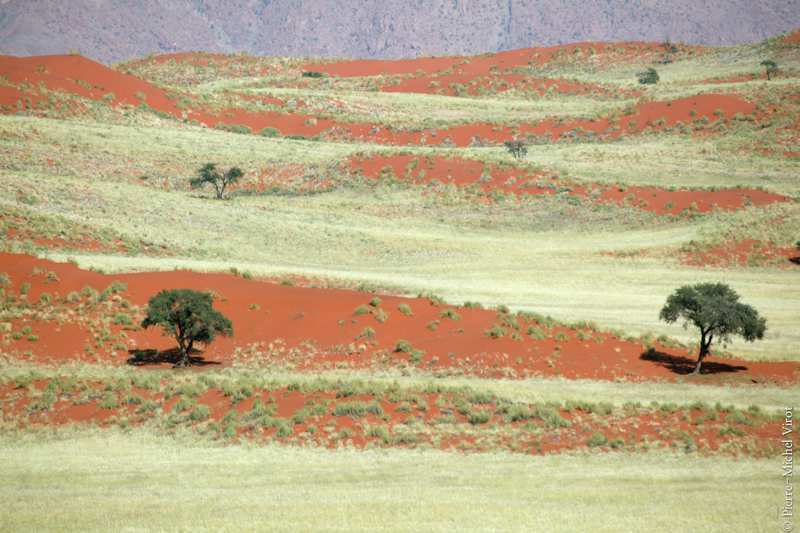 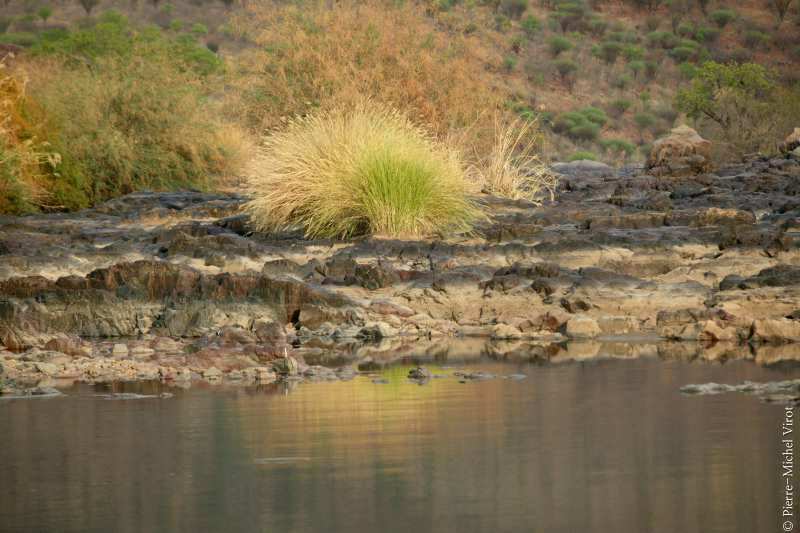 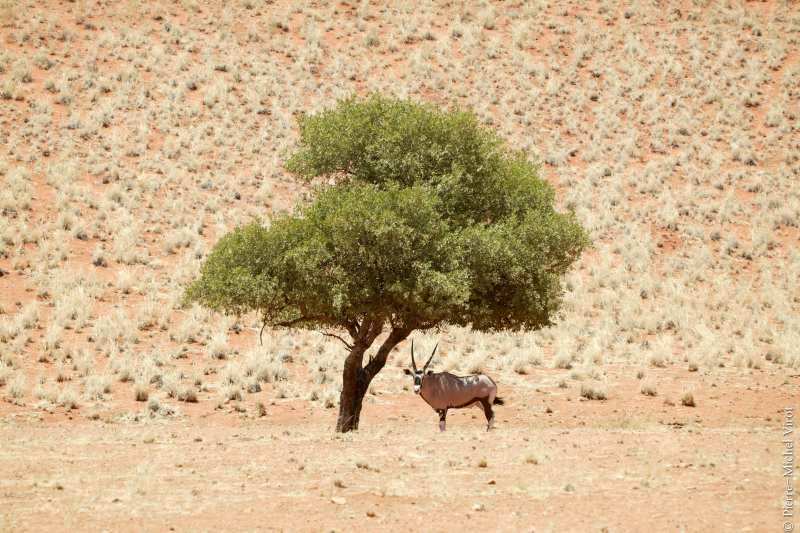 The Namib fauna mostly comprises arthropods and other small animals that can live on little water, but a few species of bigger animals are also found. 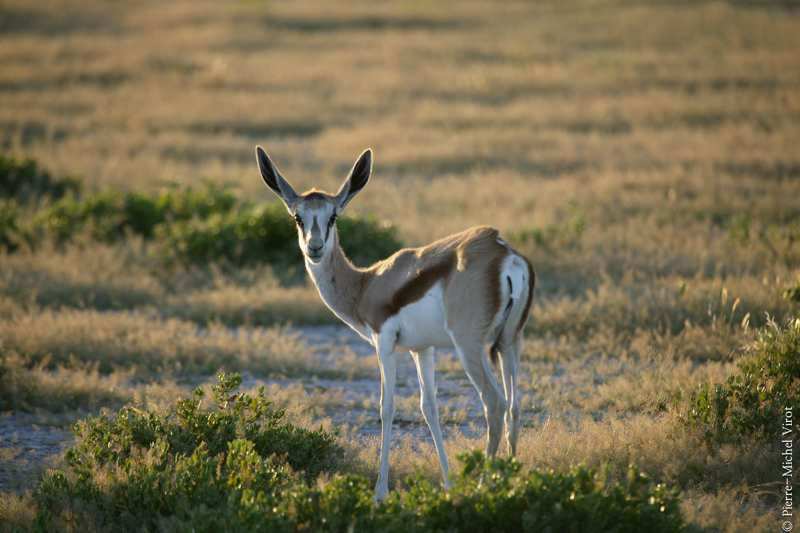 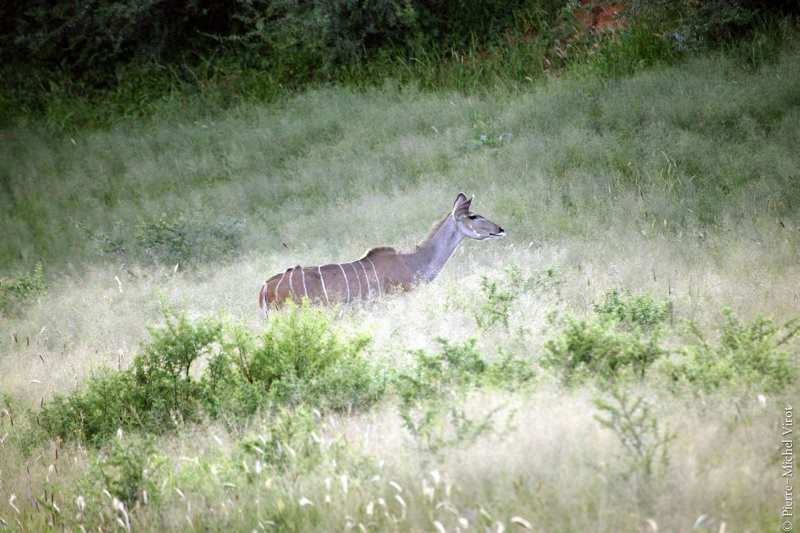 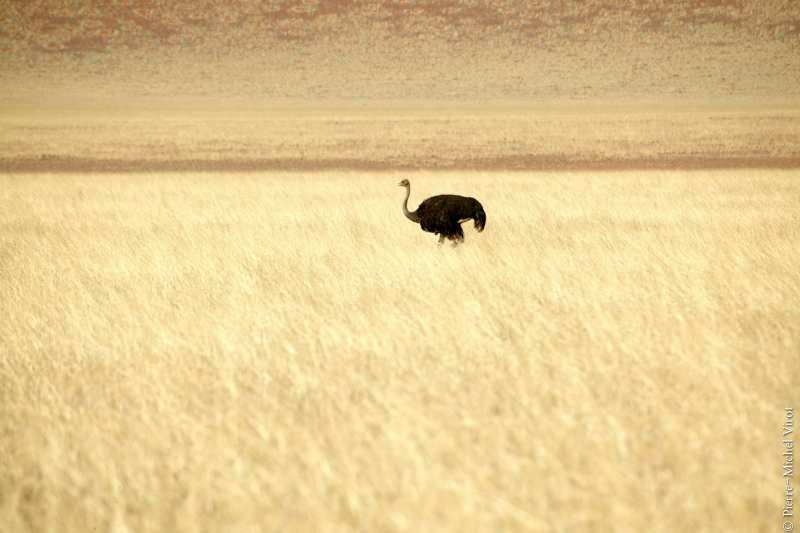 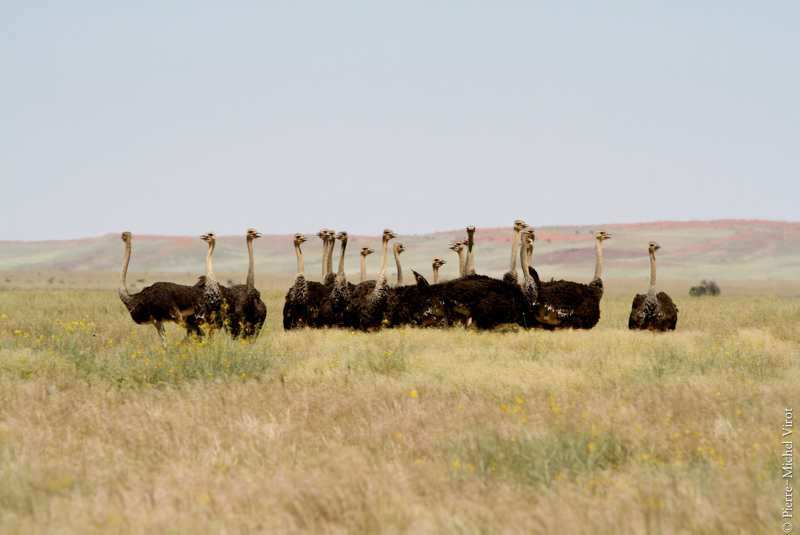 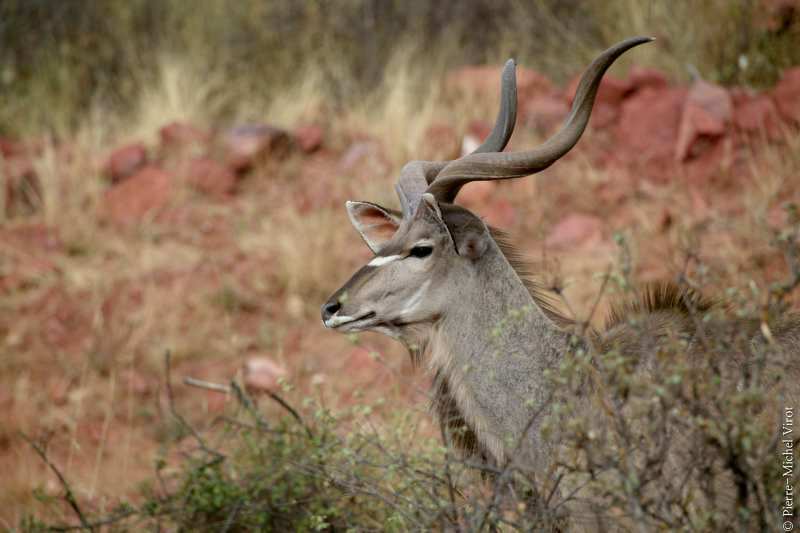 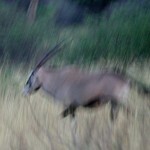 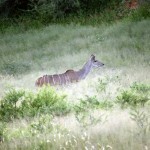 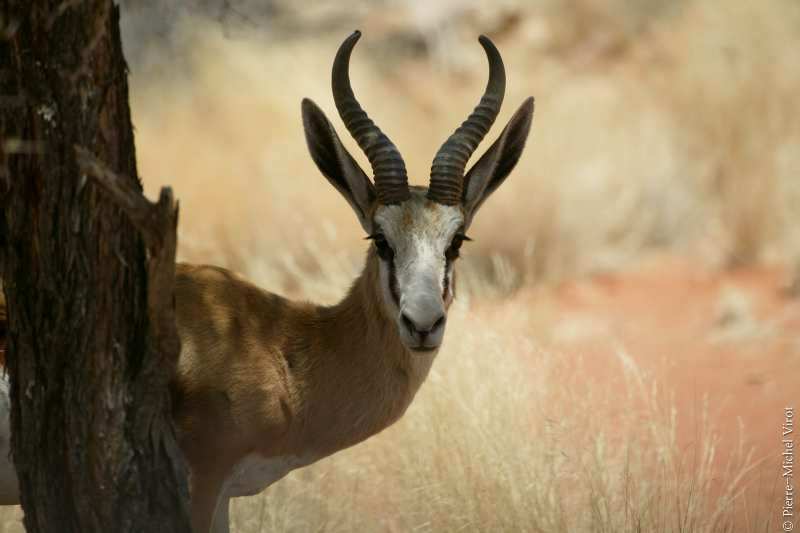 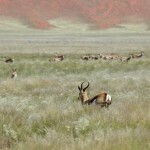 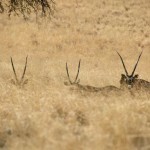 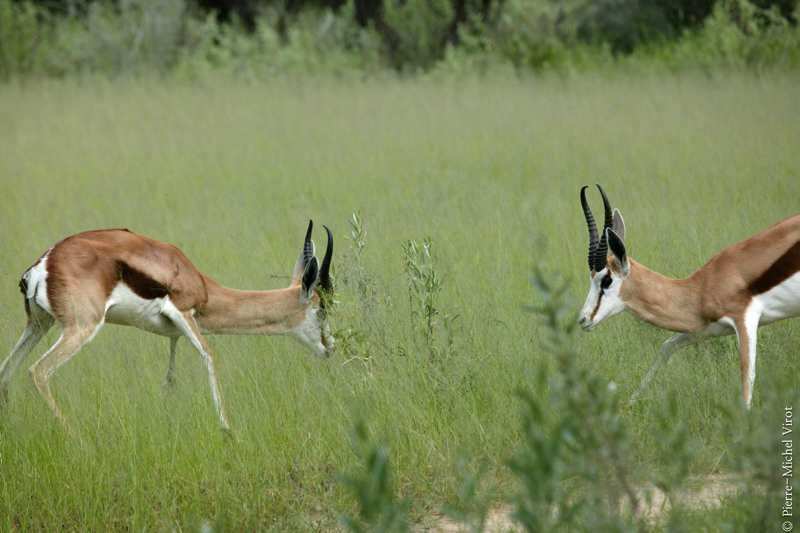 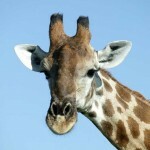 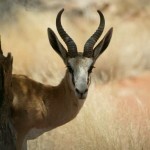 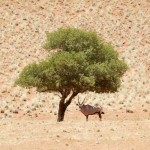 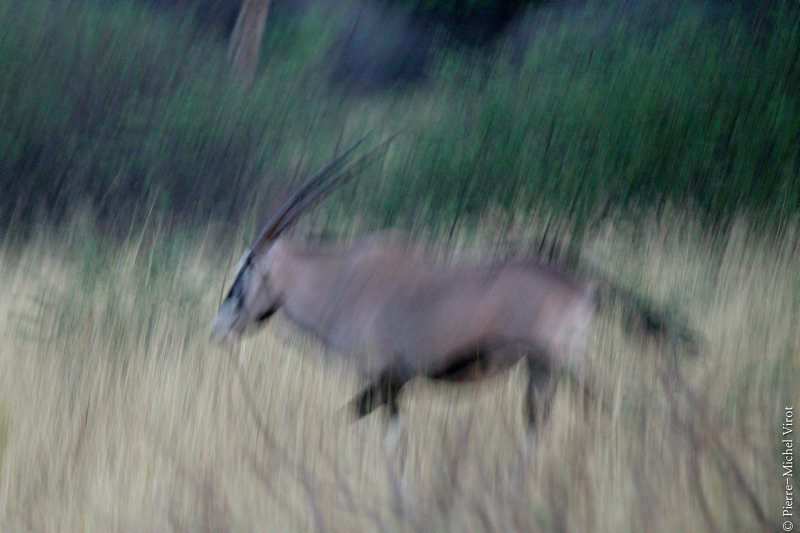 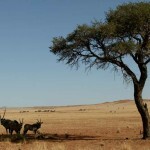 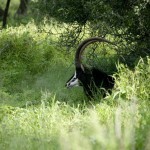 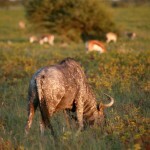 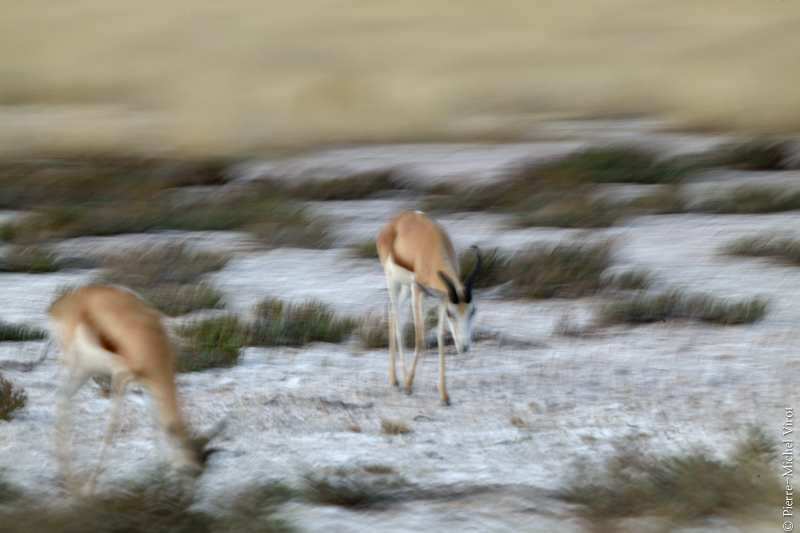 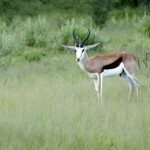 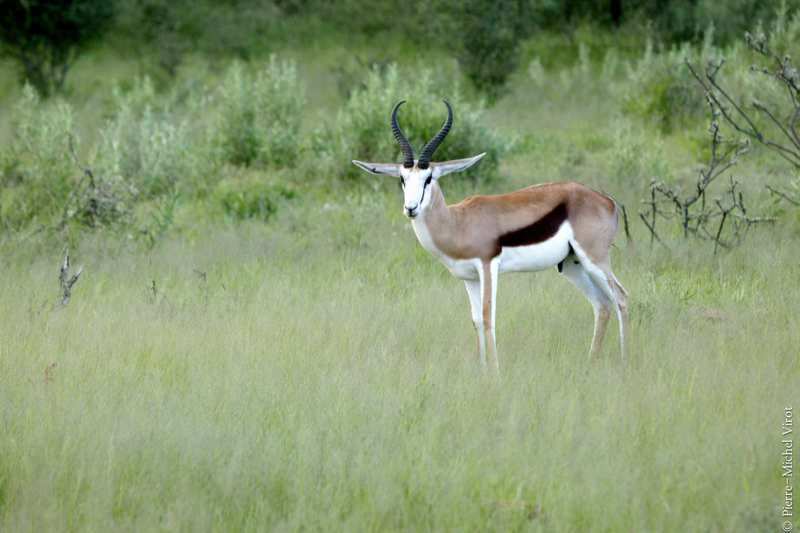 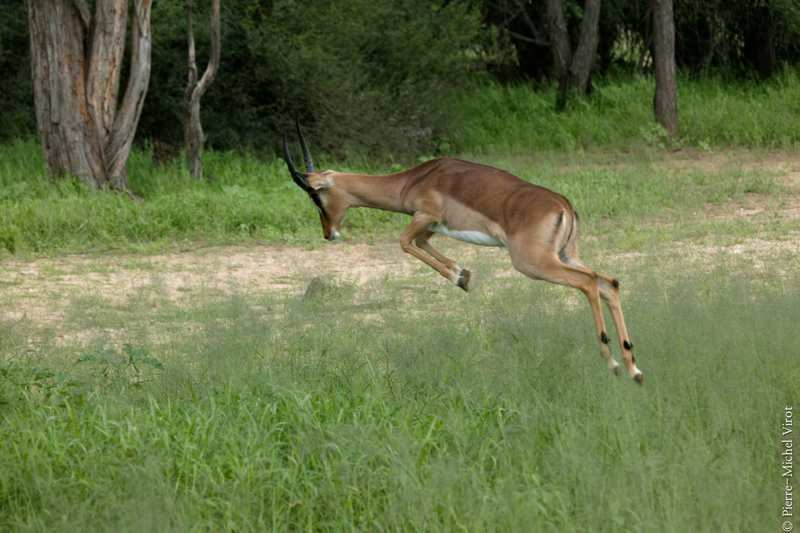 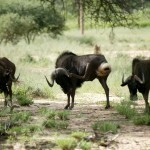 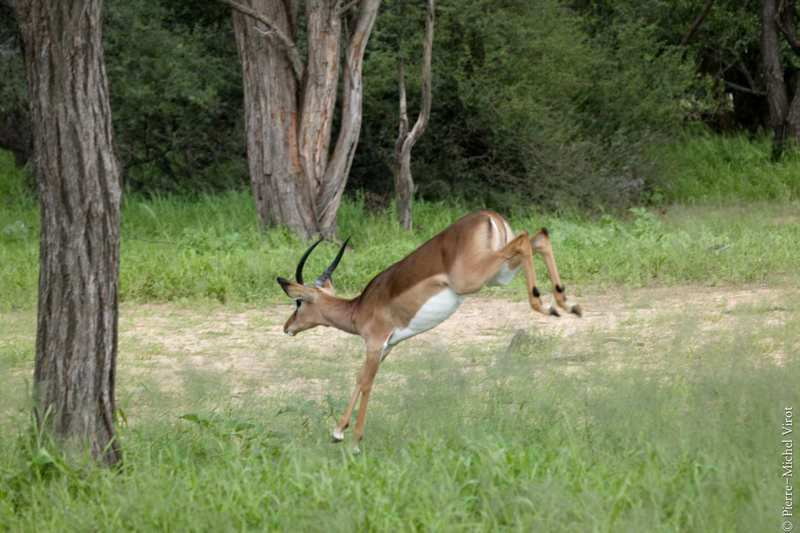 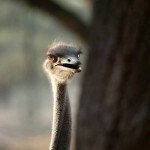 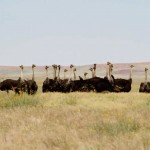 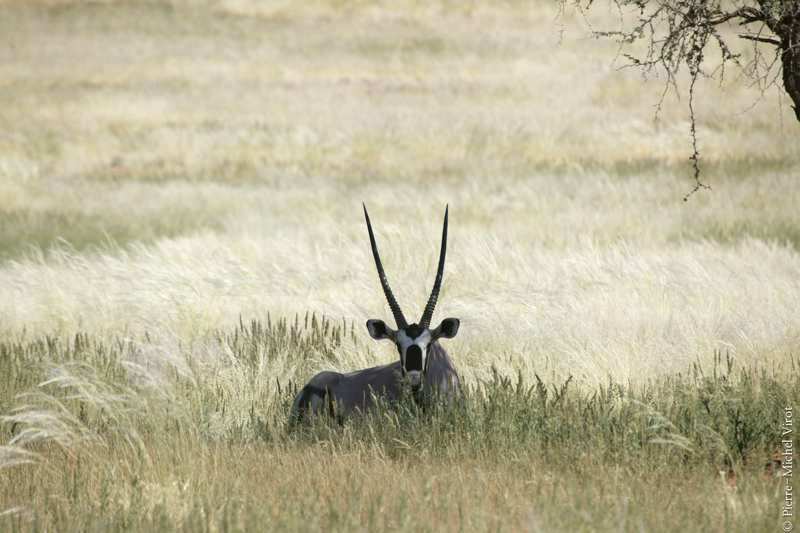 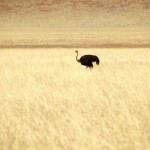 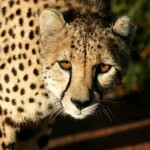 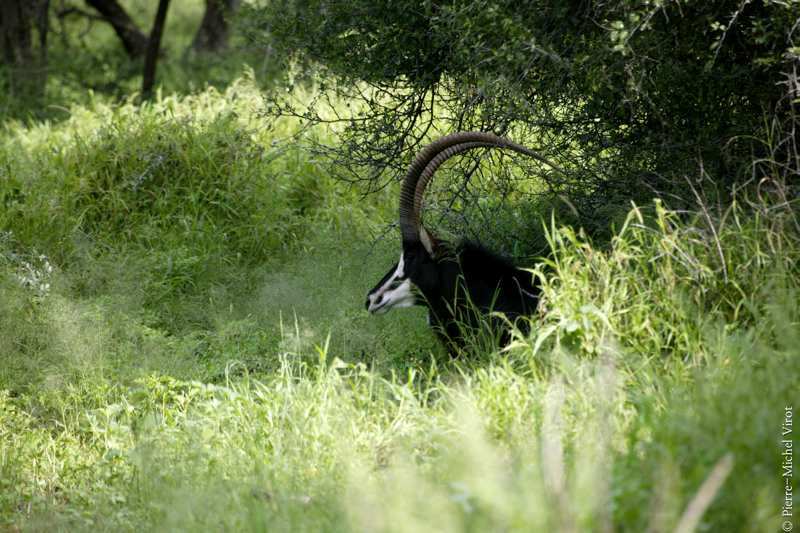 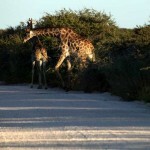 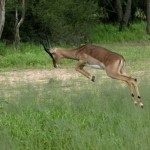 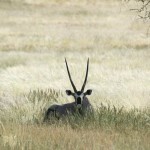 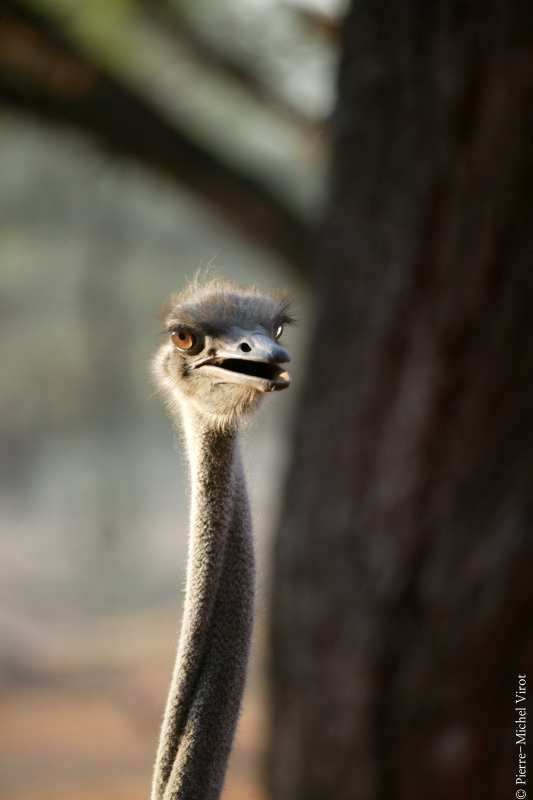 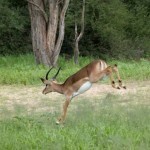 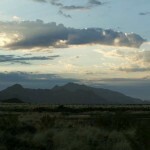 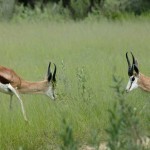 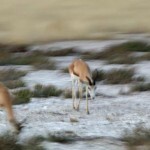 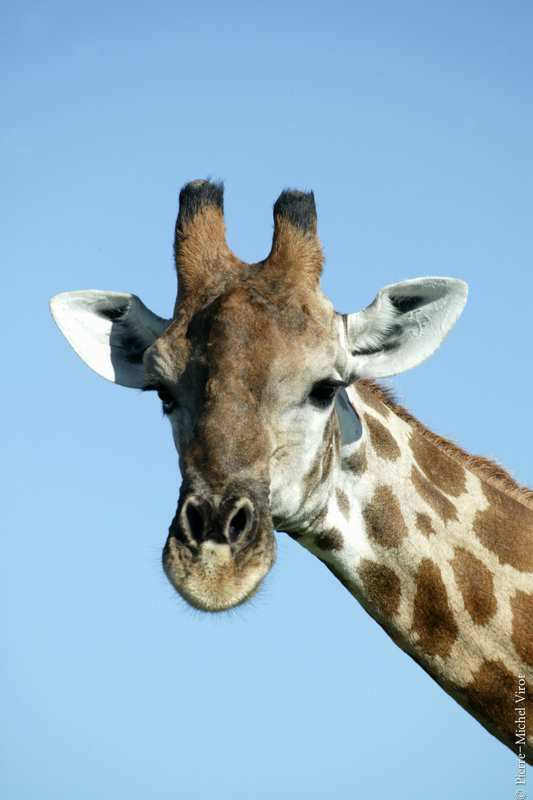 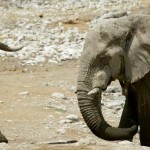 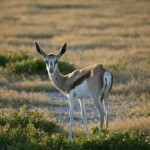 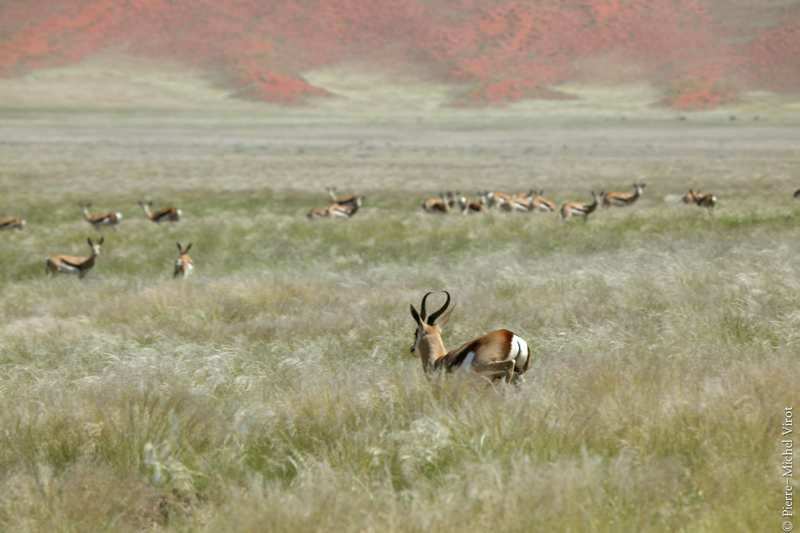 These include antelopes and gazelles (such as Oryx’s and springbok), ostrich, and in some areas even desert elephants. 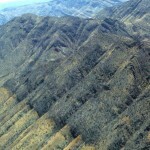 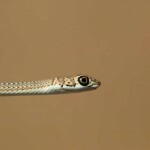 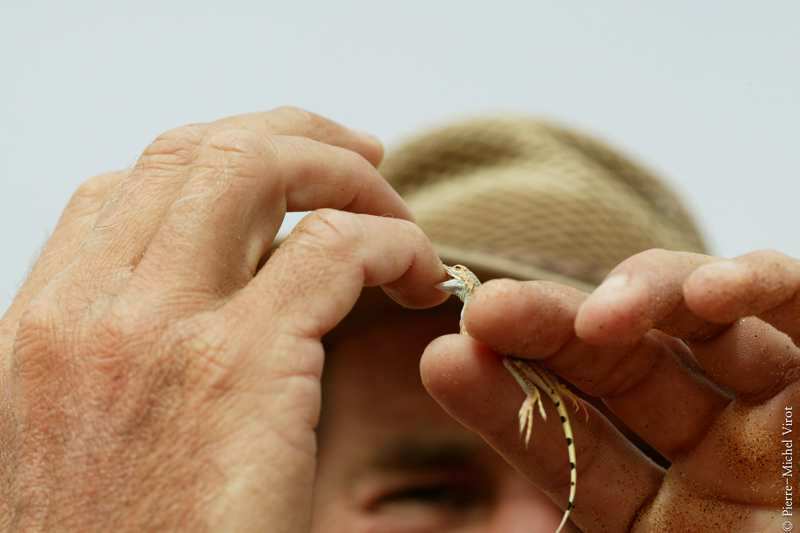 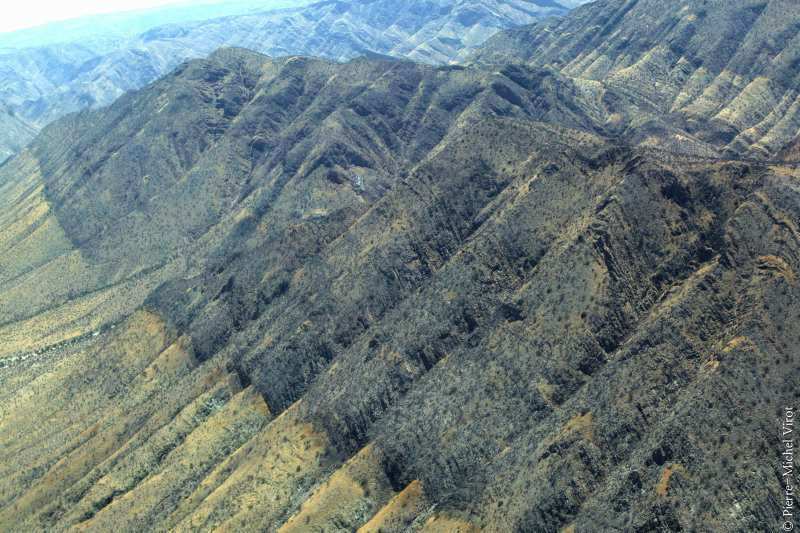 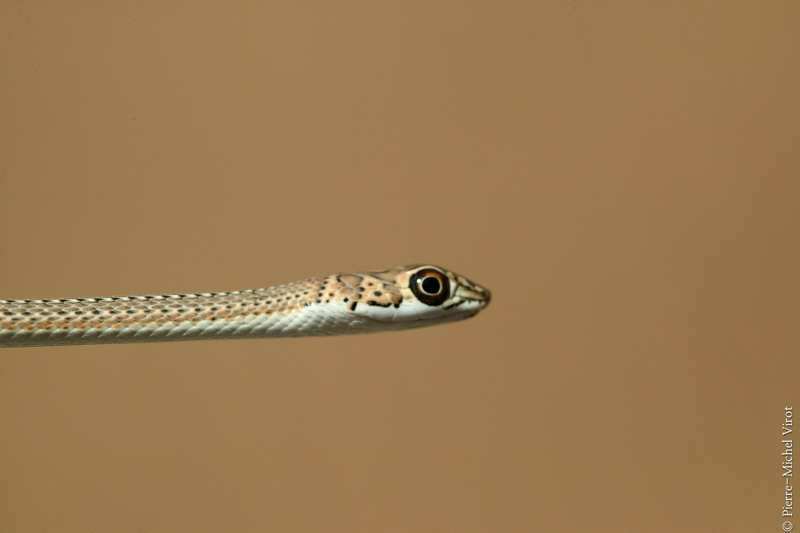 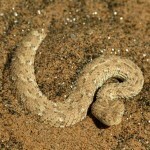 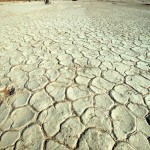 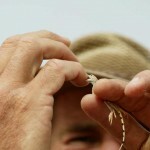 Reptiles such as lizards and geckos, sand snake and the side-winding adder inhabit this long, narrow wilderness. 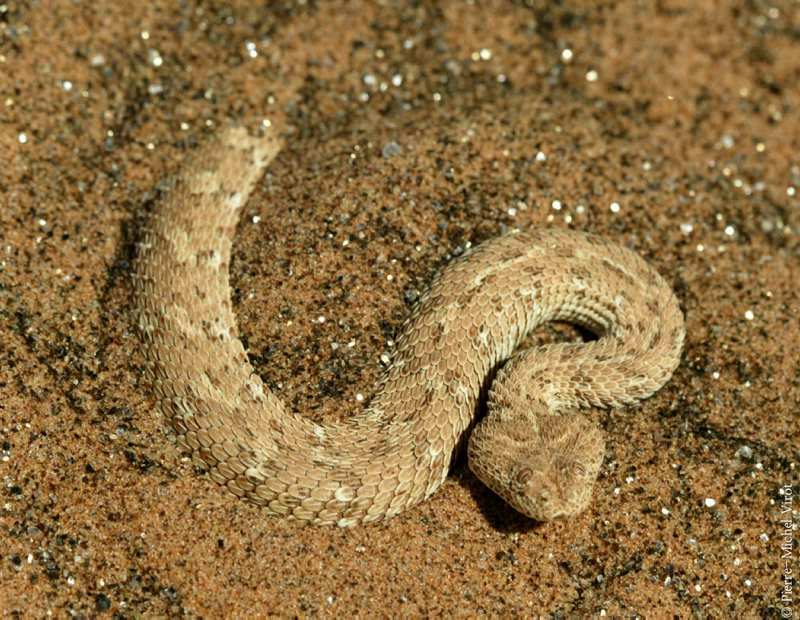 Smaller still are the scorpions, spiders, fish moths and beetles that have adapted over centuries to survive in the desert’s dune dynamics. 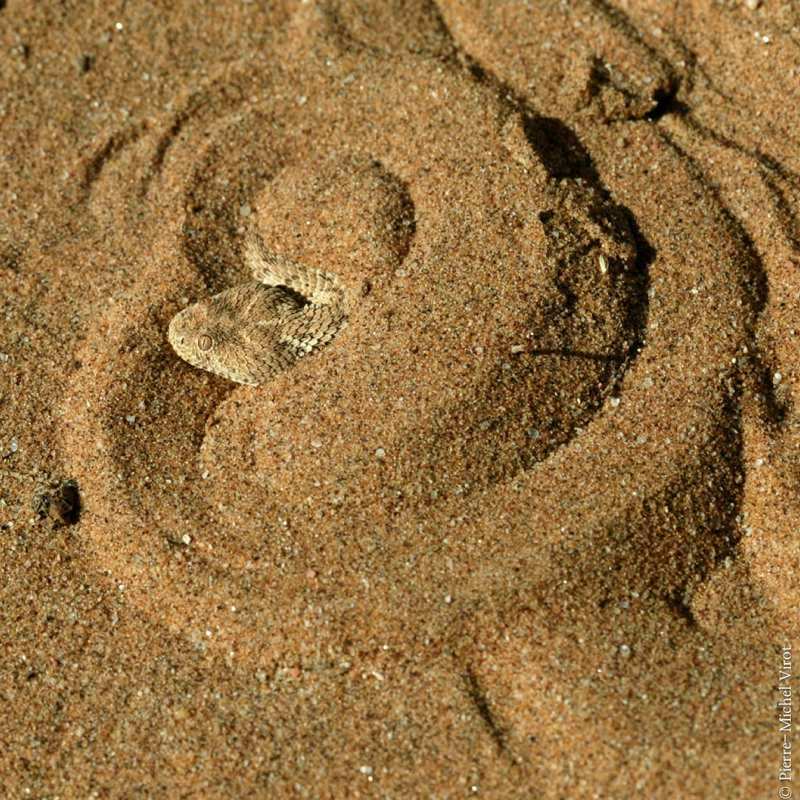 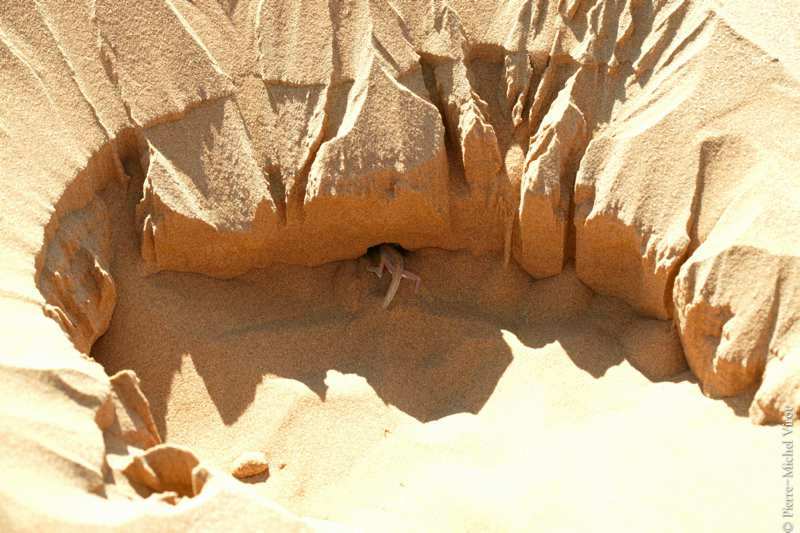 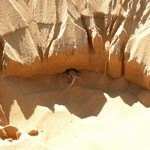 Insects use a swimming motion to travel through the sand beneath the surface; others dig burrows. 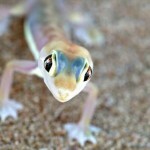 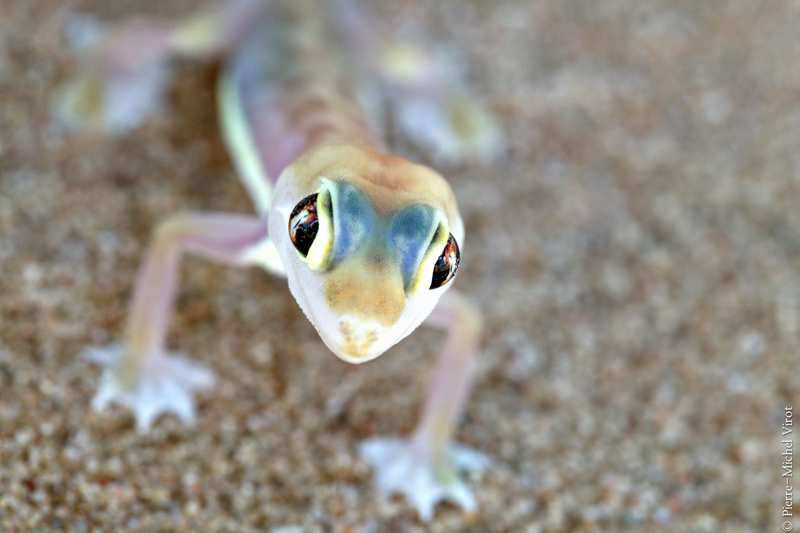 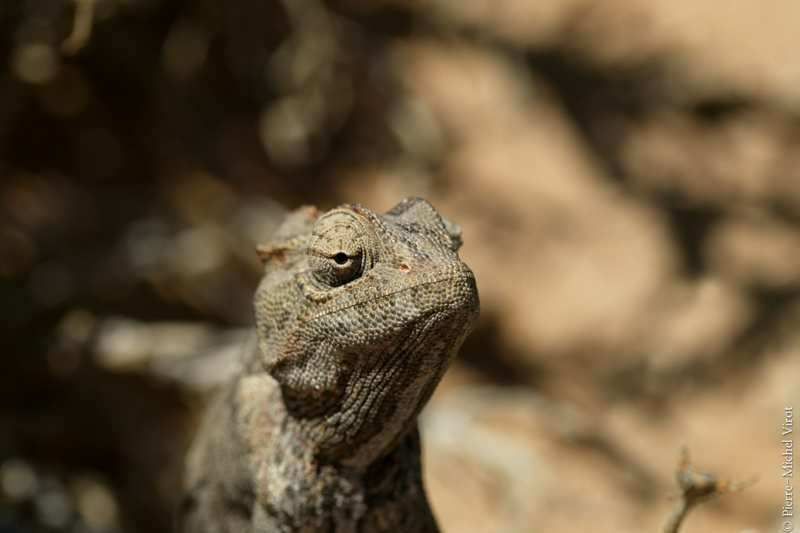 Certain adaptations such as shovel-snouts, protective eyelids and tubular nostrils allow other lizards to live below the surface. 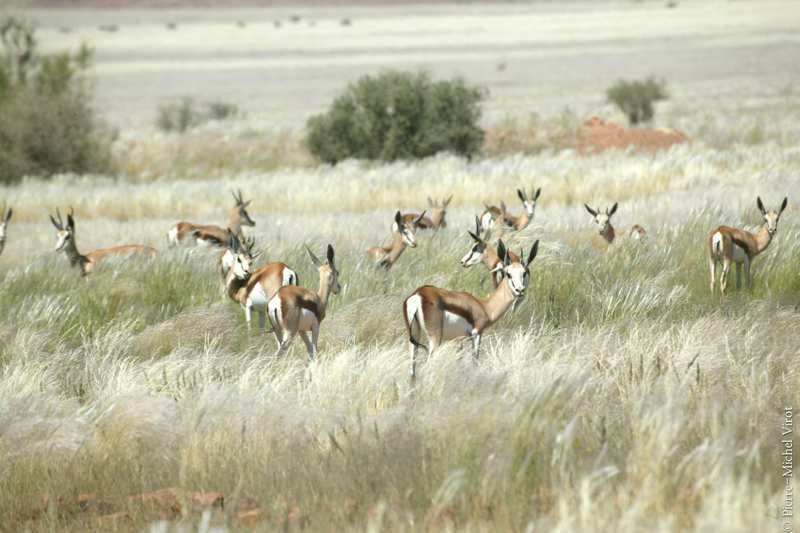 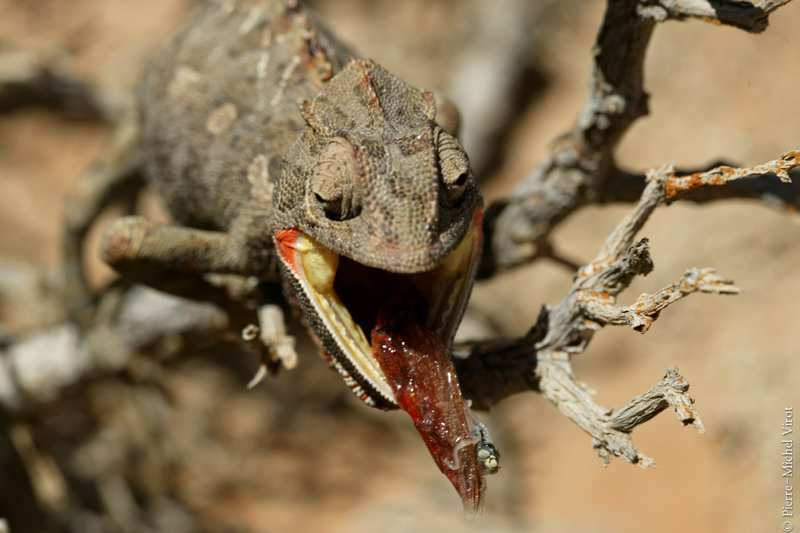 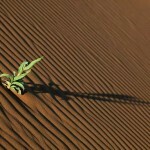 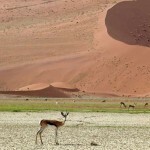 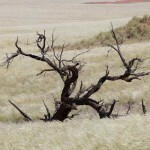 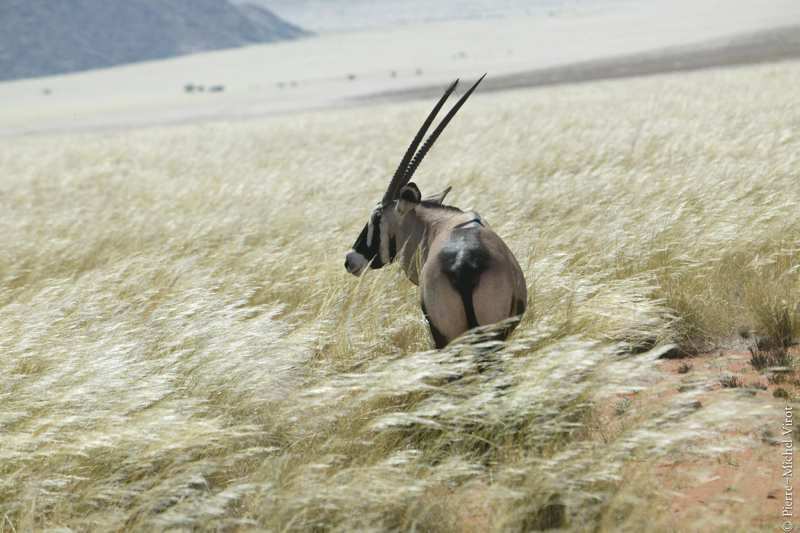 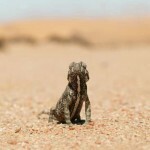 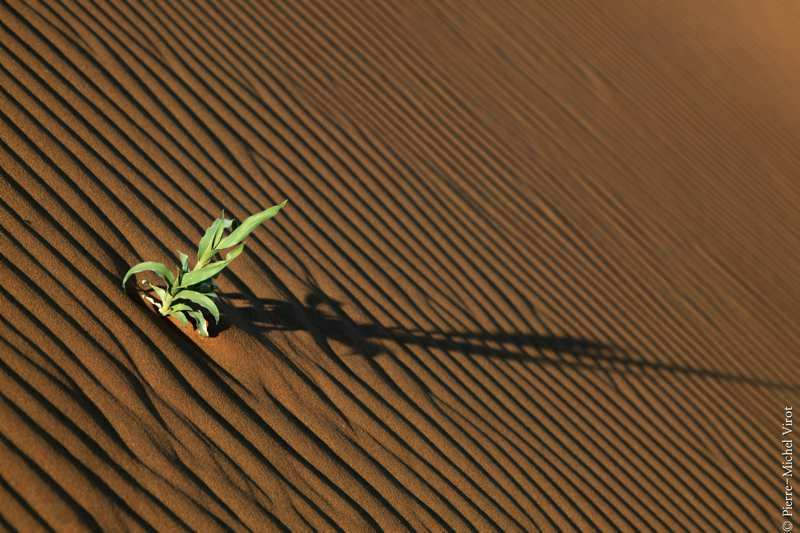 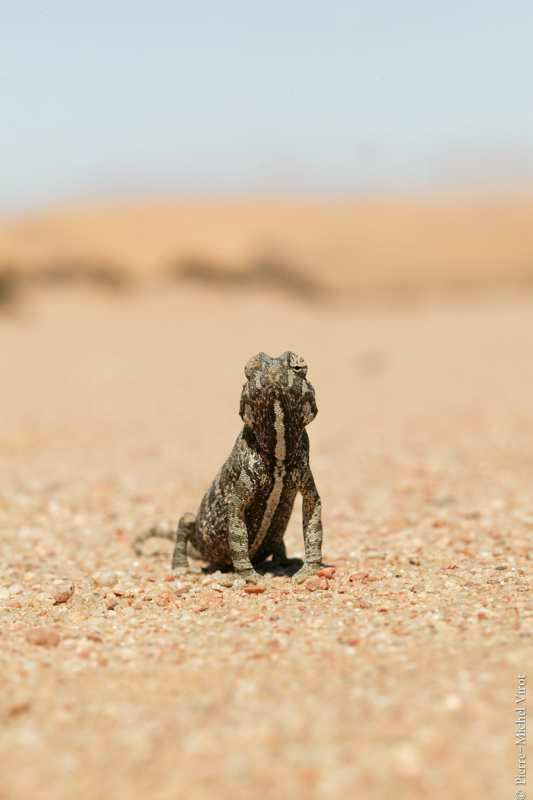 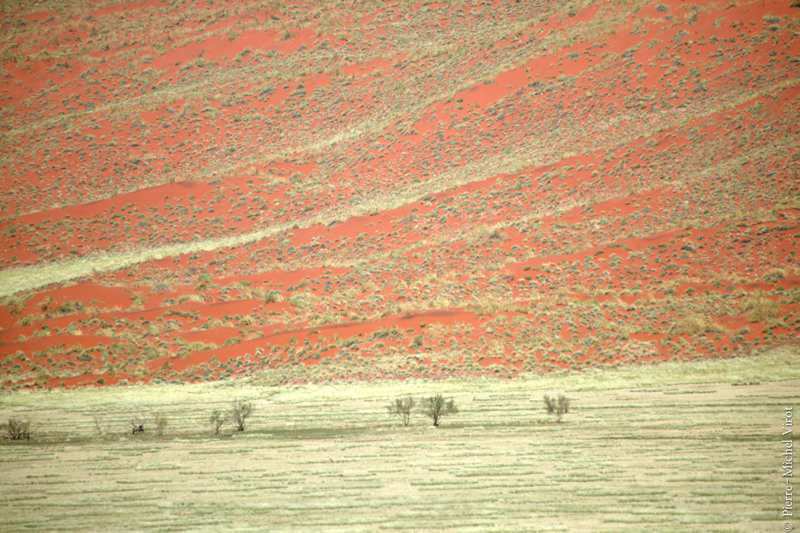 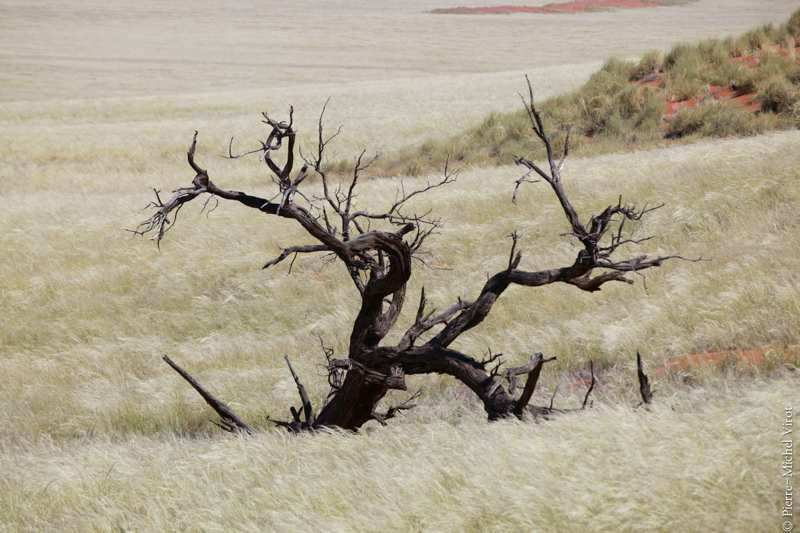 All these species have developed survival techniques in the Namib environment. 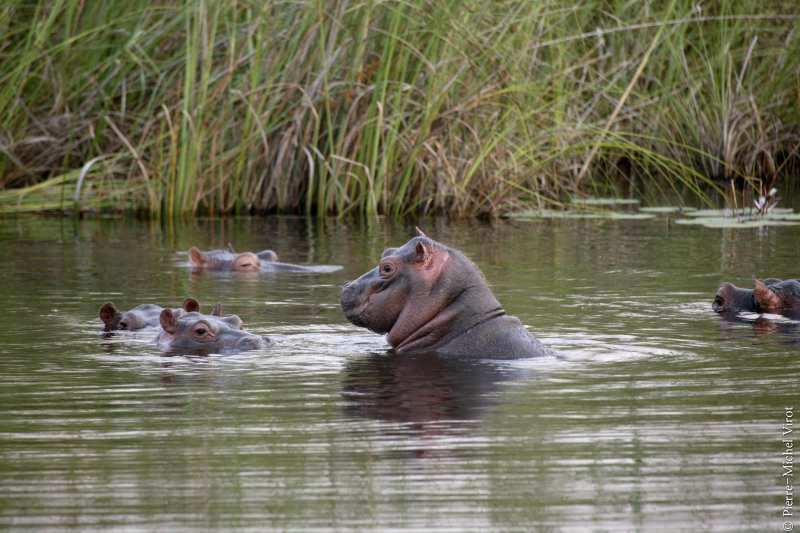 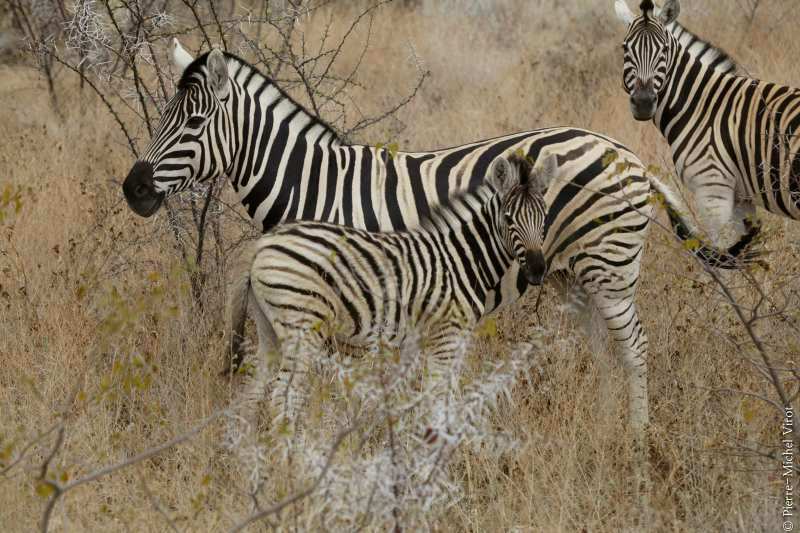 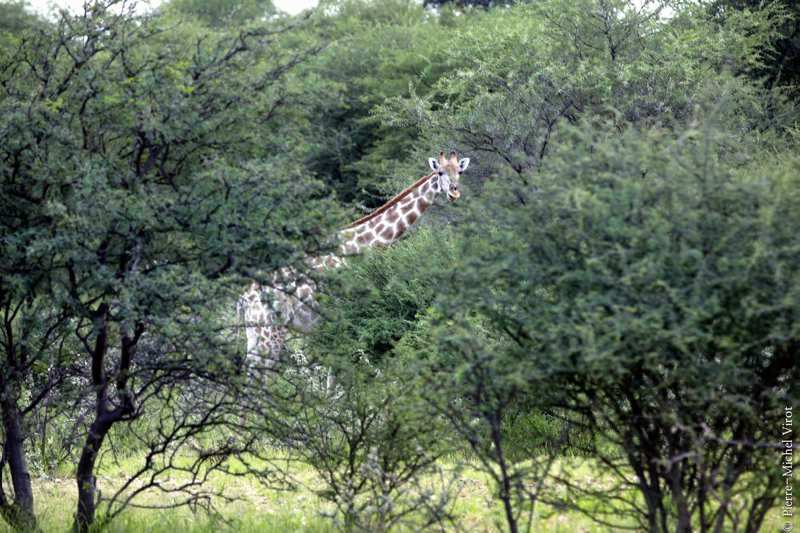 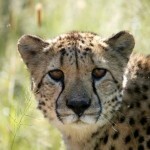 These safaris are dedicated to serious wildlife photography and to in-depth observation of the animals. 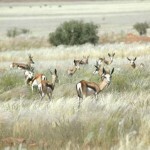 We will focus on specific animals if the situation is productive. 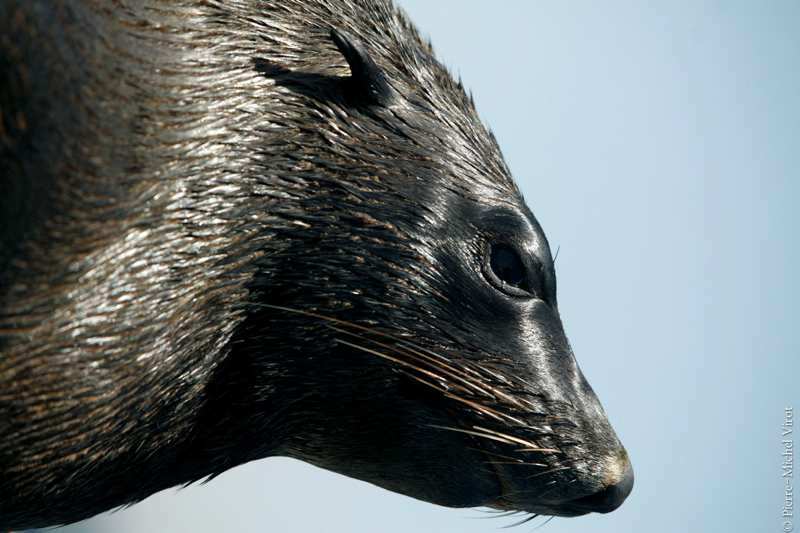 We feel that only by entering the world of the animals and understanding them it is possible to capture extraordinary images. 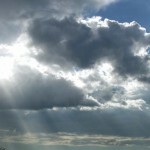 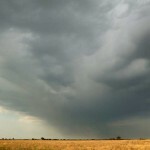 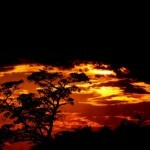 In our experience, the most interesting behavior may happen unexpectedly and at any time of the day. 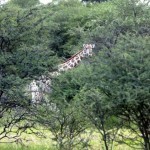 This approach will make you live your safari in a very different way to the traditional “see it all in a day” style. 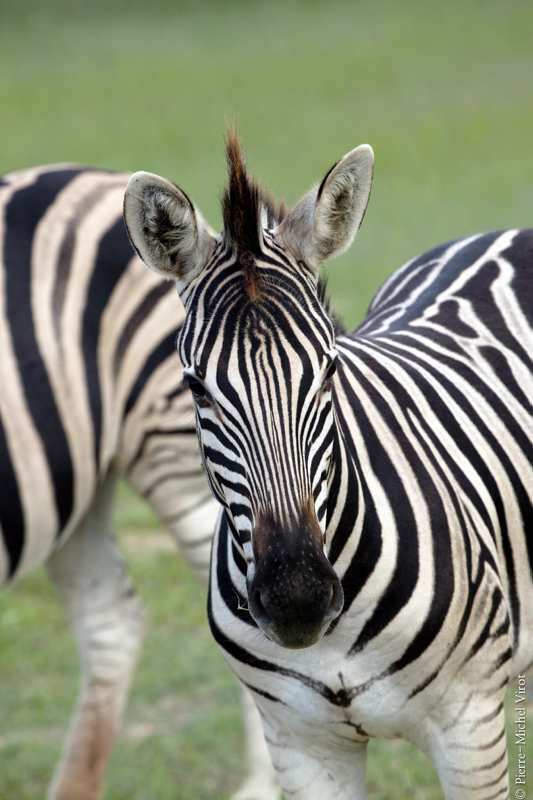 You’ll be fully involved in savannah life and you’ll soon see the world around you through the eyes of the animal we are following. 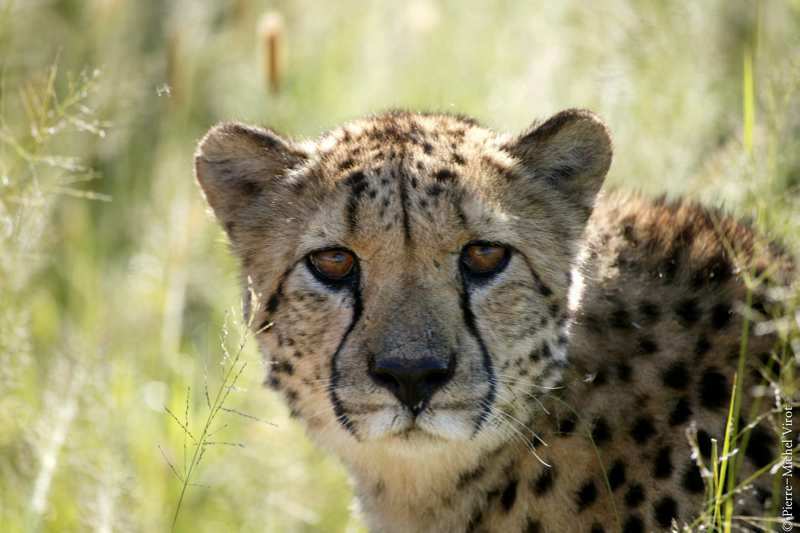 It could be a mother Cheetah raising her cubs, a Leopard kitten waiting for its mother to return to the den, or a bull Elephant wandering through the plains searching for a mate. 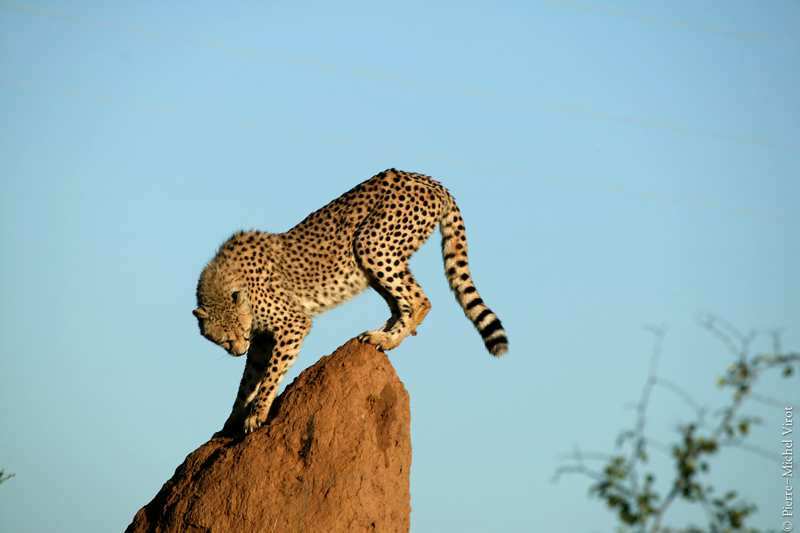 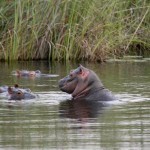 We generally recommend safaris where more days are spent in fewer parks, but with excellent photographic potential. 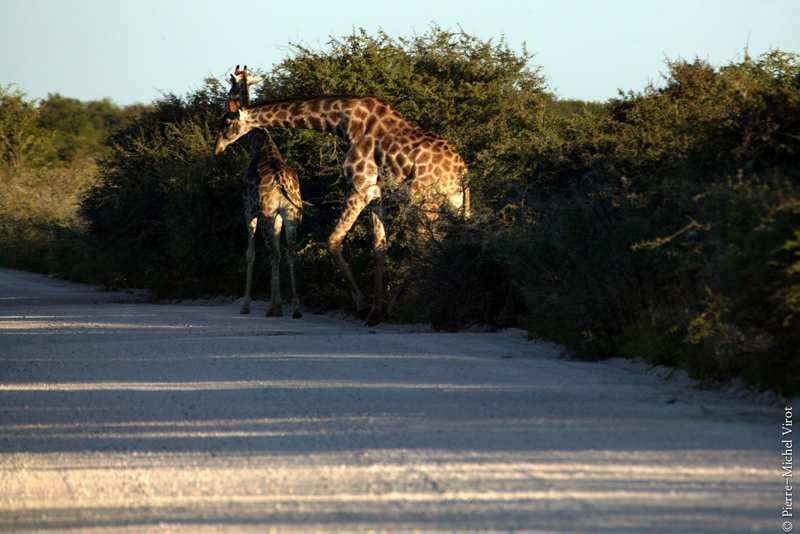 Staying longer in the same area enables you to internalize the pace of life in the place you are in, to know its best locations and its animals, and to avoid the frantic hit-or-miss of hurrying to see everything in a day. 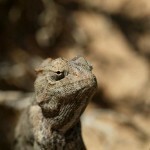 On this trip we will do the same as I would do if I were on a photography mission on my own. 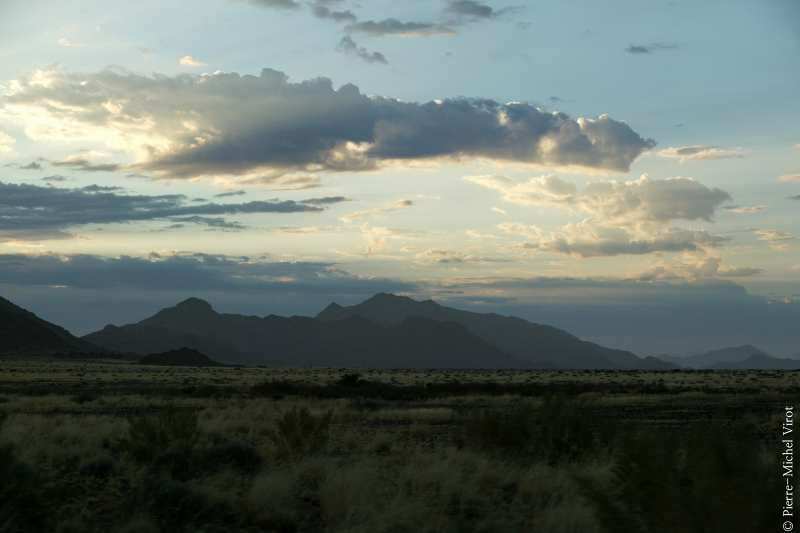 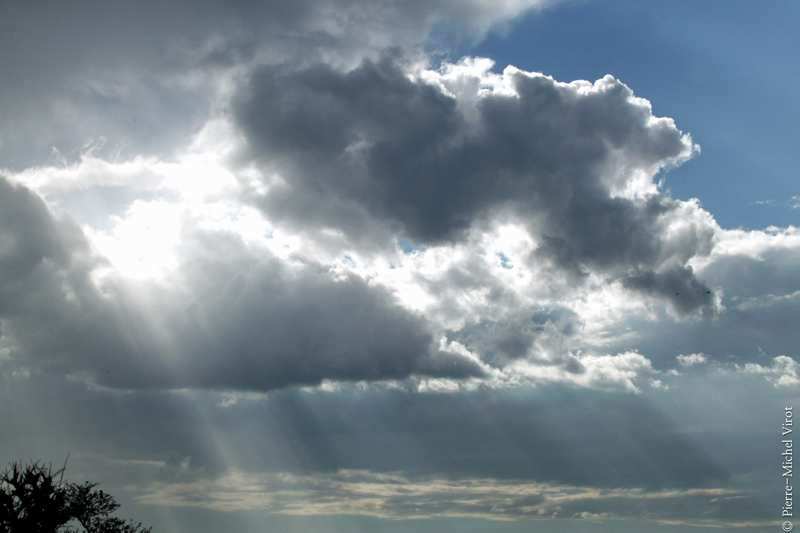 We will always try to have a vehicle that makes it easy for us to capture dramatic and beautiful images. 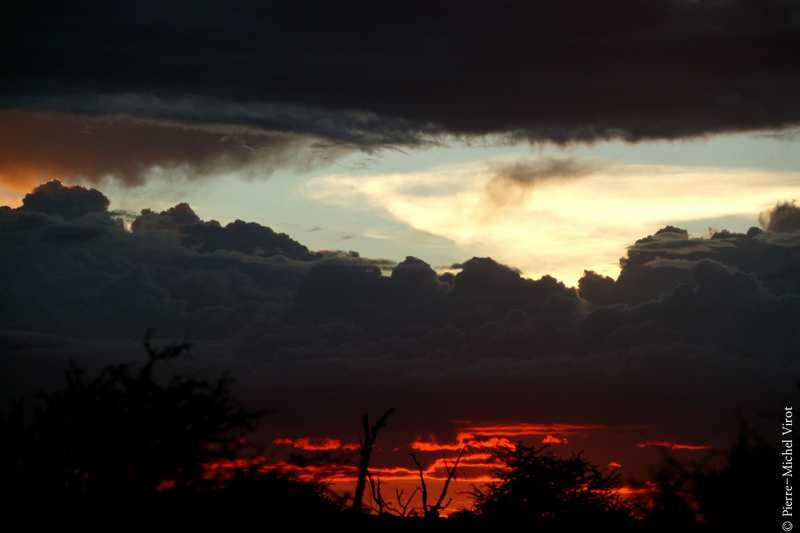 Your driver will always follow an open timetable, and will not work rigidly taking you back to the lodge at pre-set times, say when you are witnessing an amazing sunset. 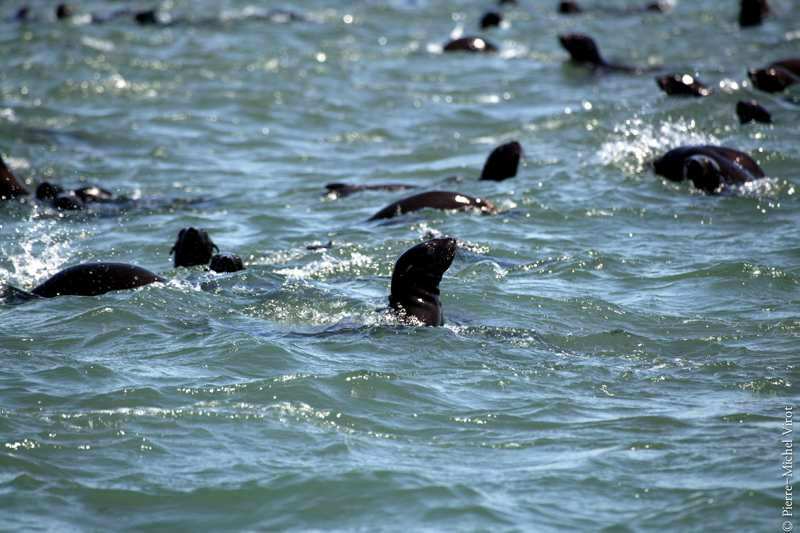 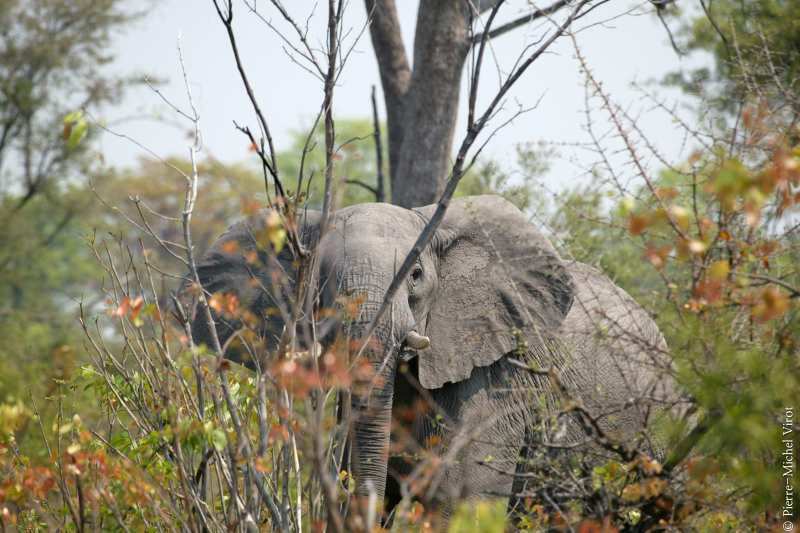 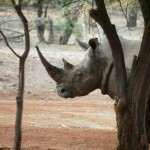 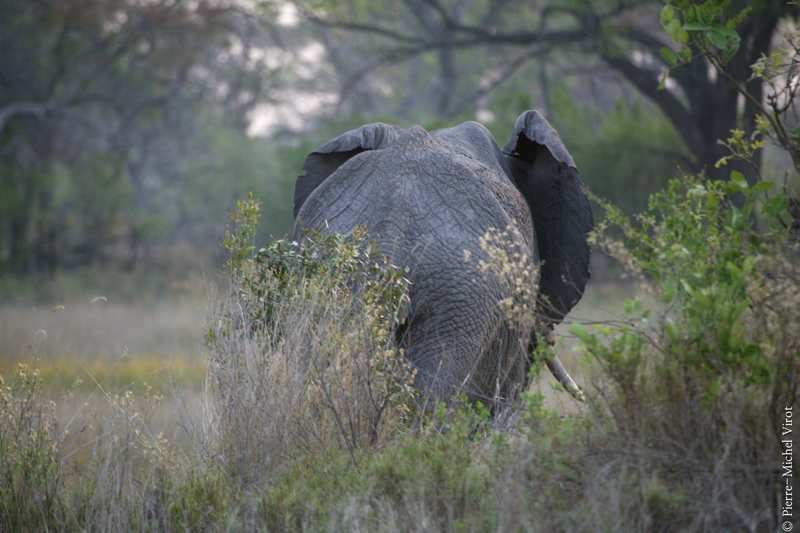 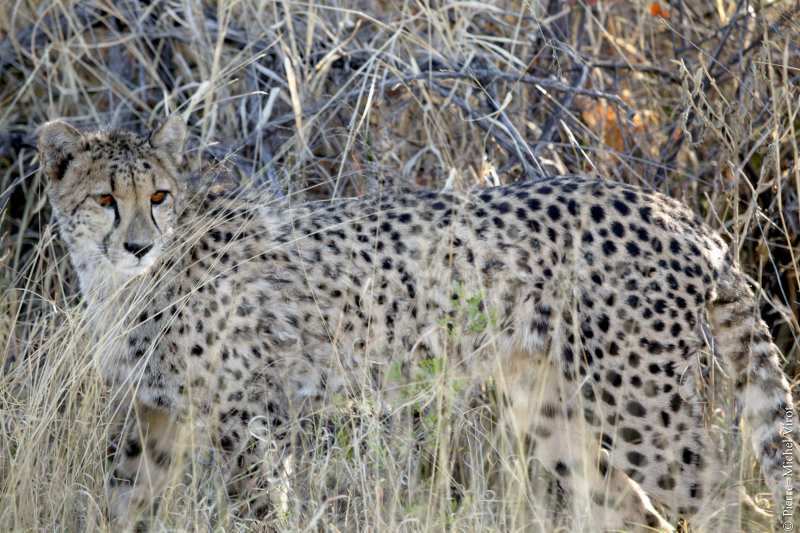 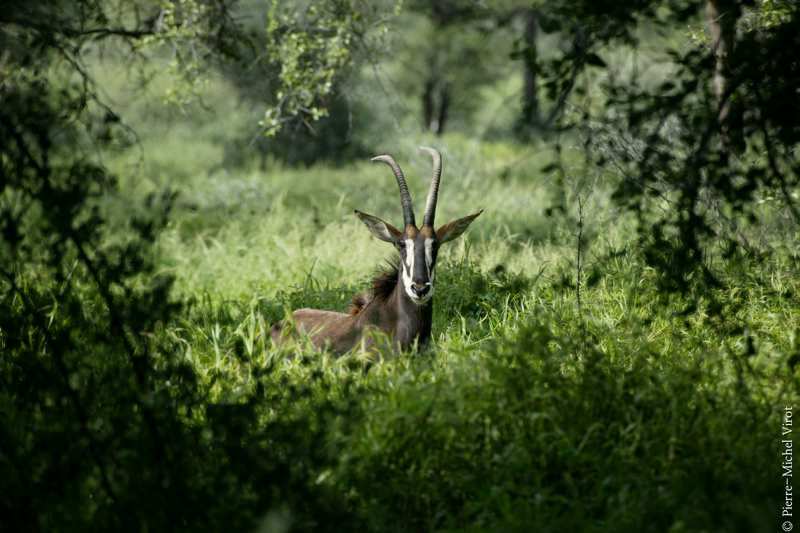 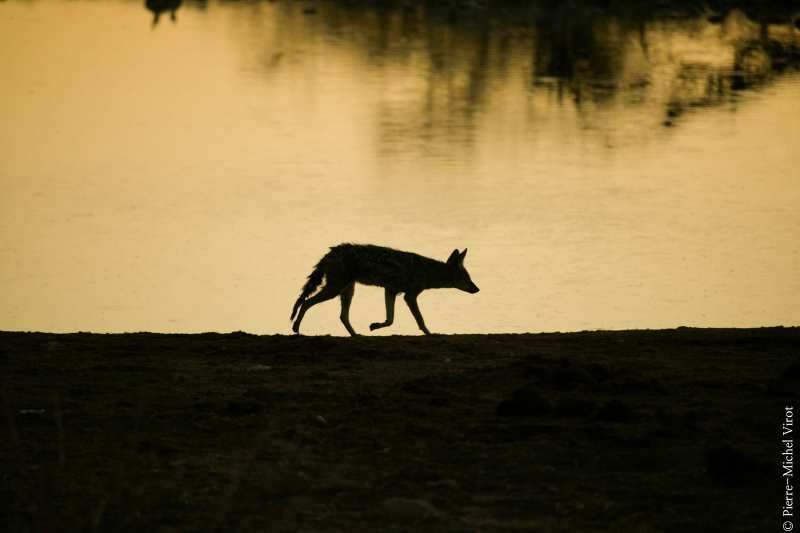 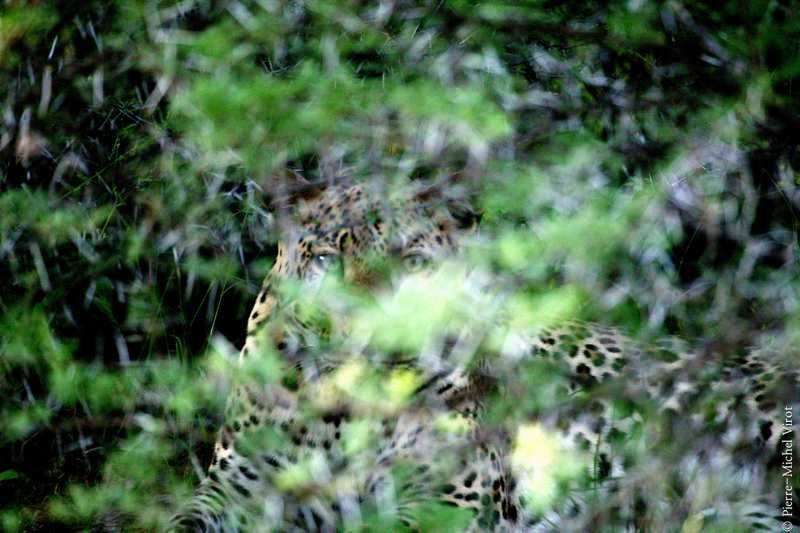 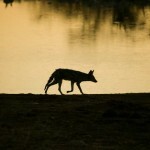 At the same time, differently from many photographic safaris, our main priority will be not to disturb the animals. 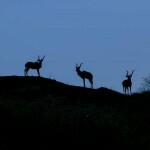 Their well-being and their life will always be of the utmost importance. 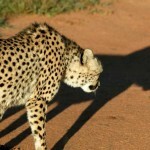 We may miss good pictures if taking them means altering the animal’s behavior. 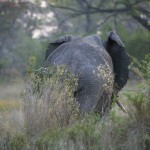 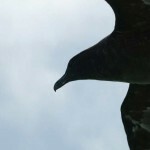 This approach provides much better photographic opportunities than the ones offered by a more invasive attitude. 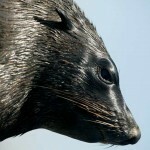 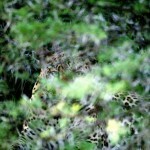 All images portray animals that are wild in their natural environment. 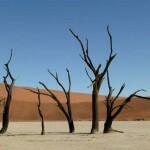 No digital manipulation has been carried out on the pictures, except adjustment of tone, contrast and cropping in some cases. 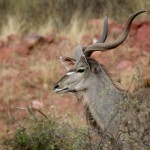 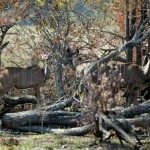 During the safari I will give practical tips and assistance on all photographic issues to the participants. 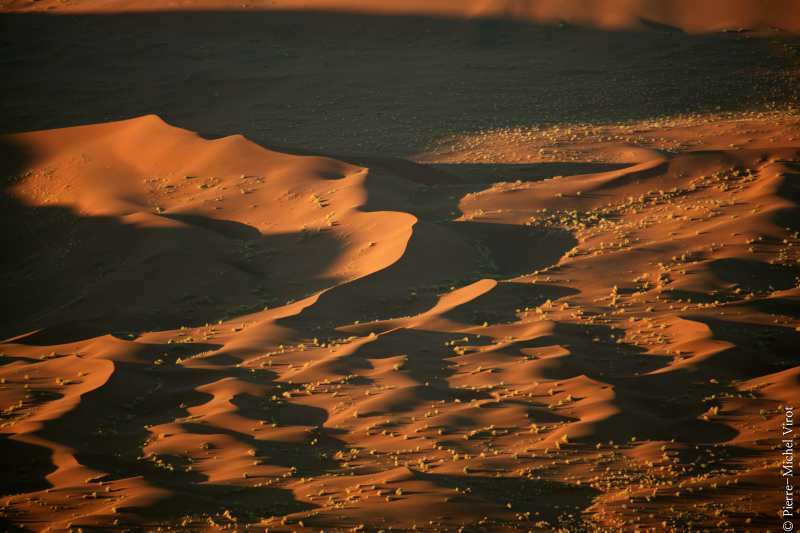 Support will range from technical issues related to the equipment, to more stylistic and compositional decisions affecting the image. 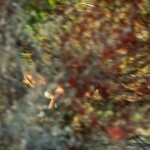 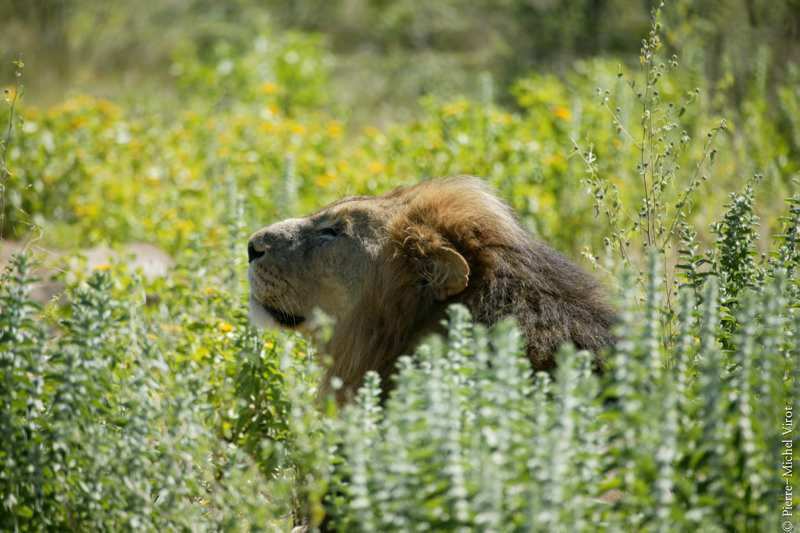 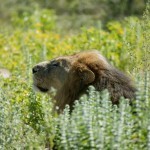 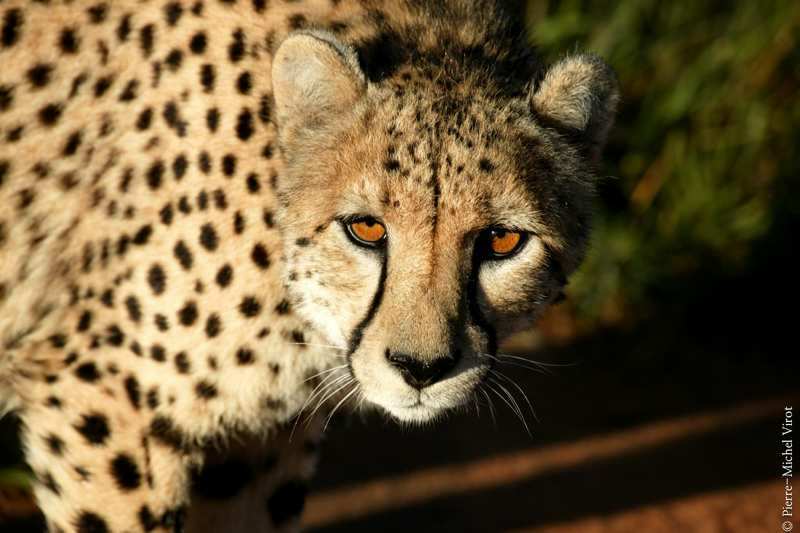 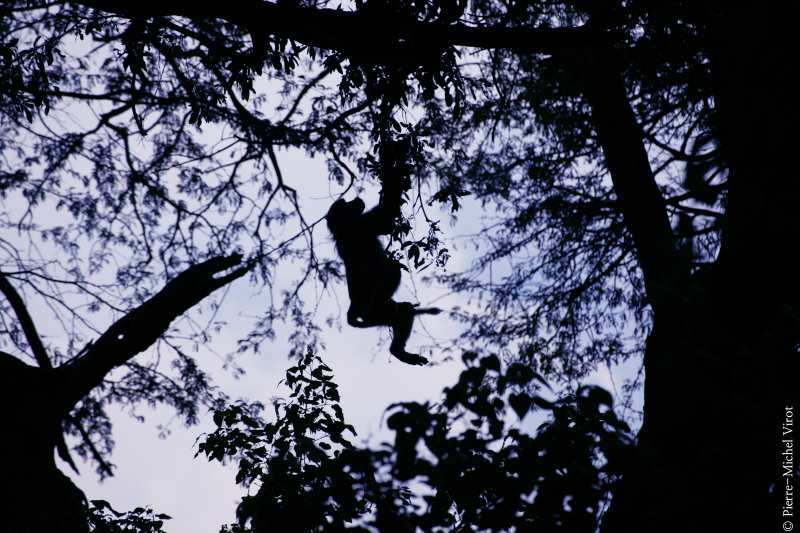 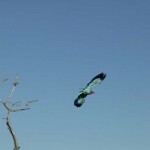 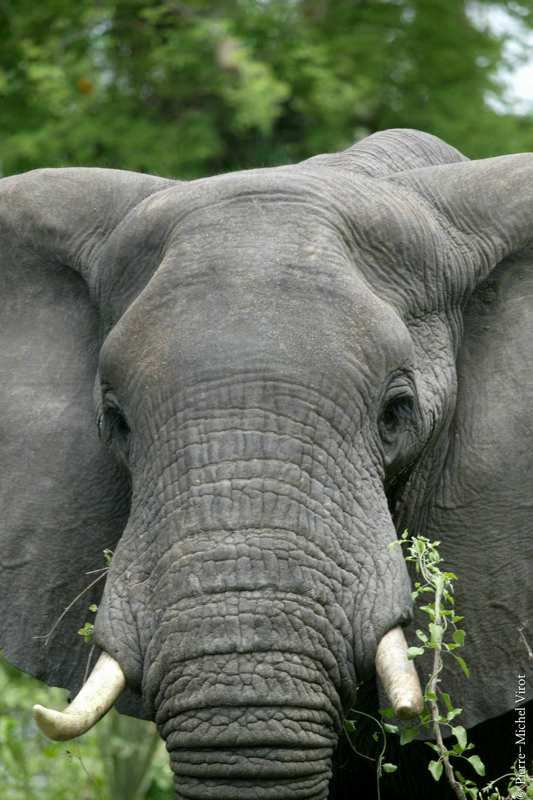 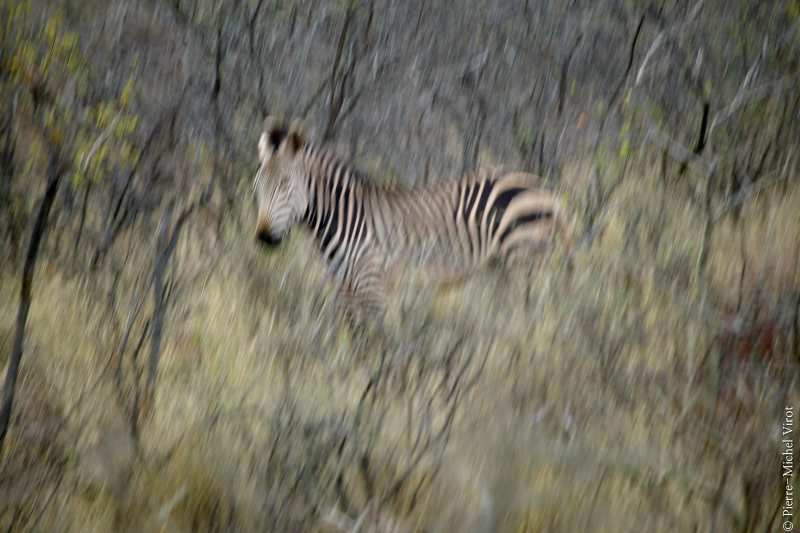 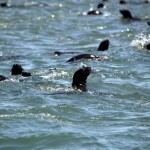 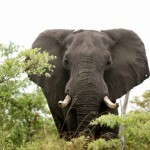 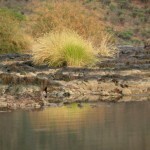 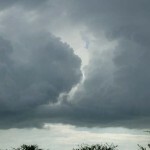 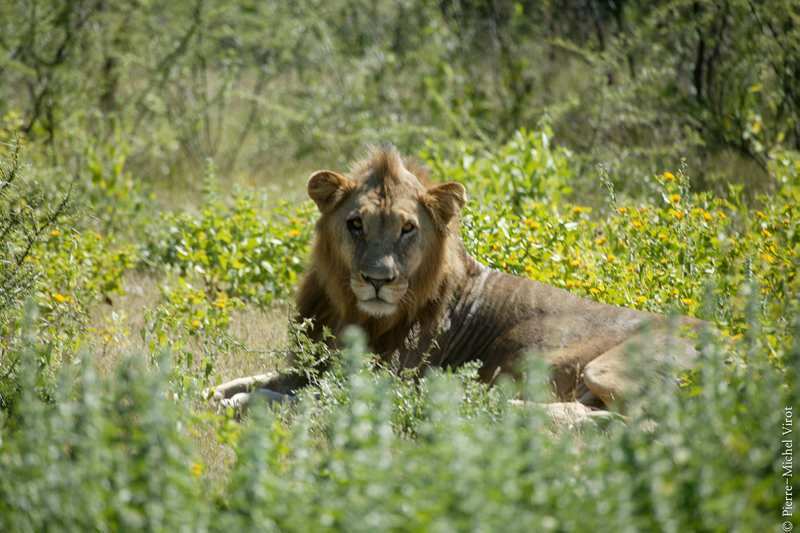 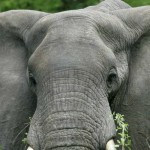 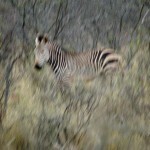 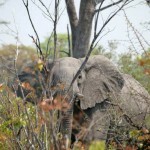 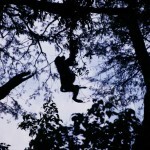 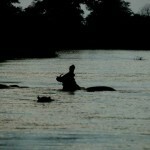 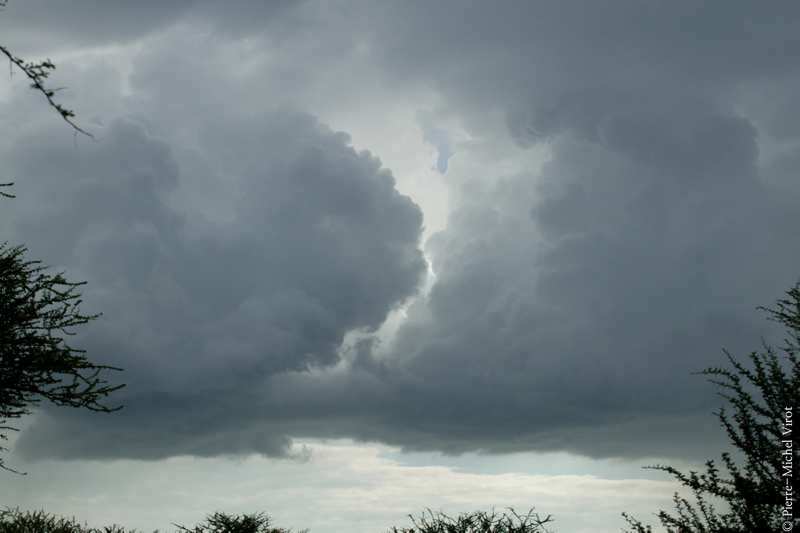 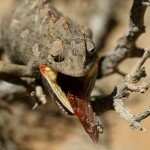 We will review and discuss the images during the safari, in the breaks or while we wait for animals to become active. 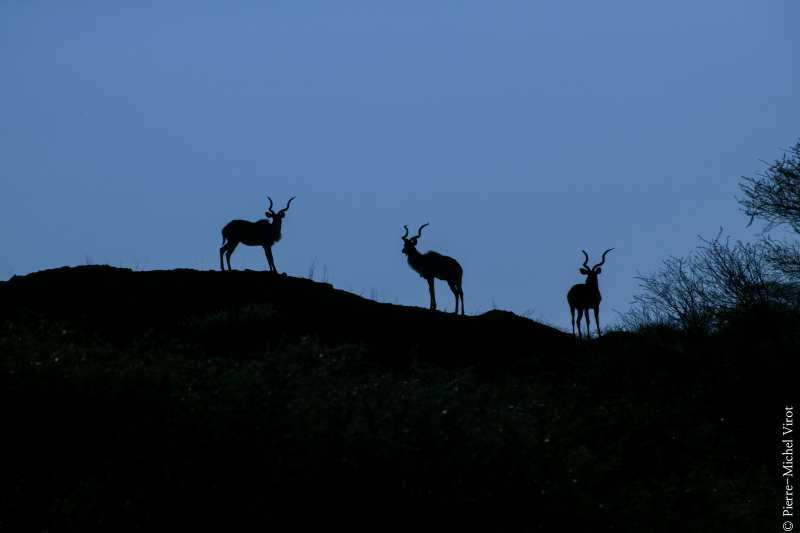 In the evening, participants will have the choice to assist me as I edit, archive or process my images, using Photomechanic, Fotostation and Adobe Lightroom 4 software. 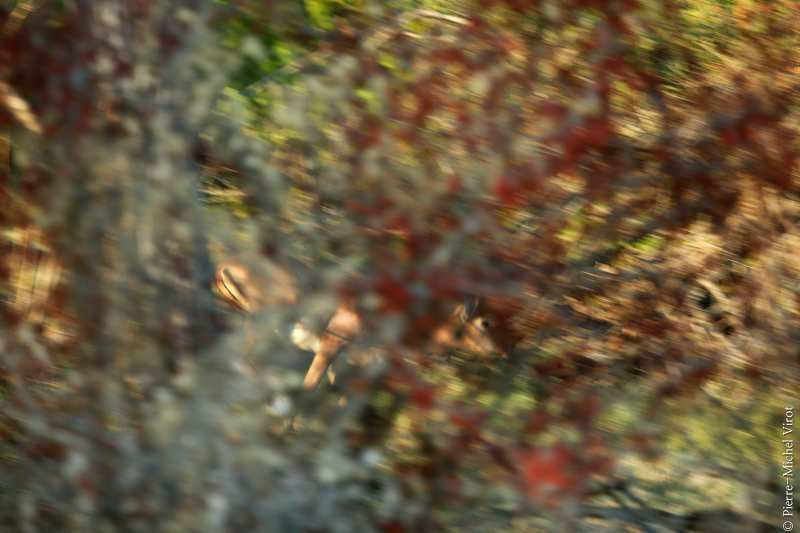 Participants will have plenty of practical examples of applying advanced processing techniques. 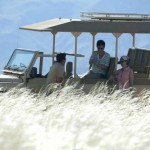 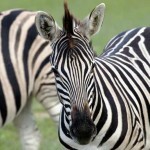 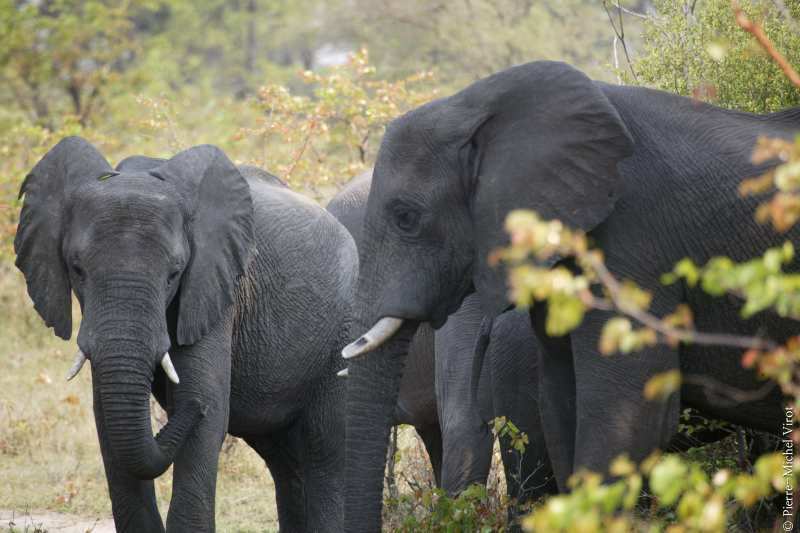 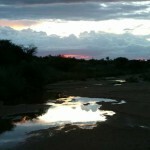 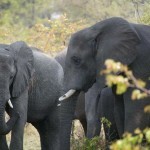 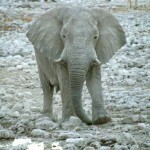 Your safari will be designed by myself and organized in collaboration with established local tour operators. 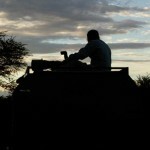 We look for 4×4 safari vehicles designed and configured specifically for wildlife photography. 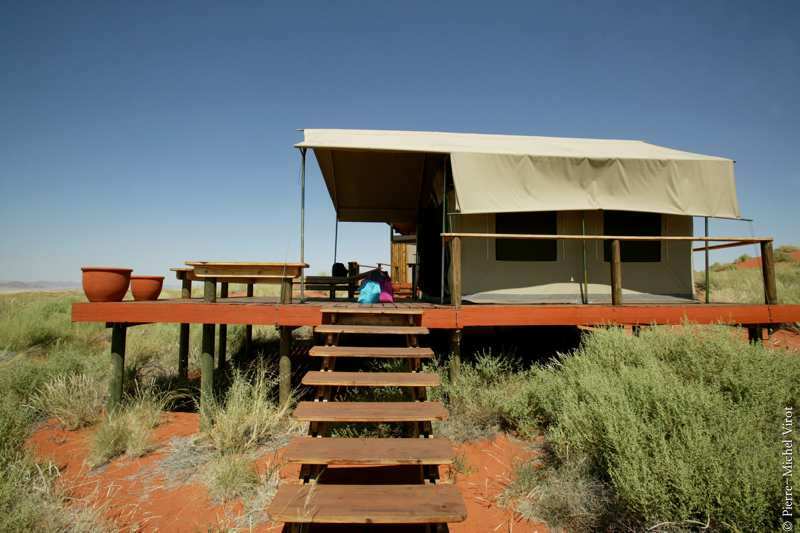 These are equipped with fully opening side doors, enabling guests to choose the best photographic angle, from ground level for eye-to-eye images, to the top of the vehicle for panoramic vistas. 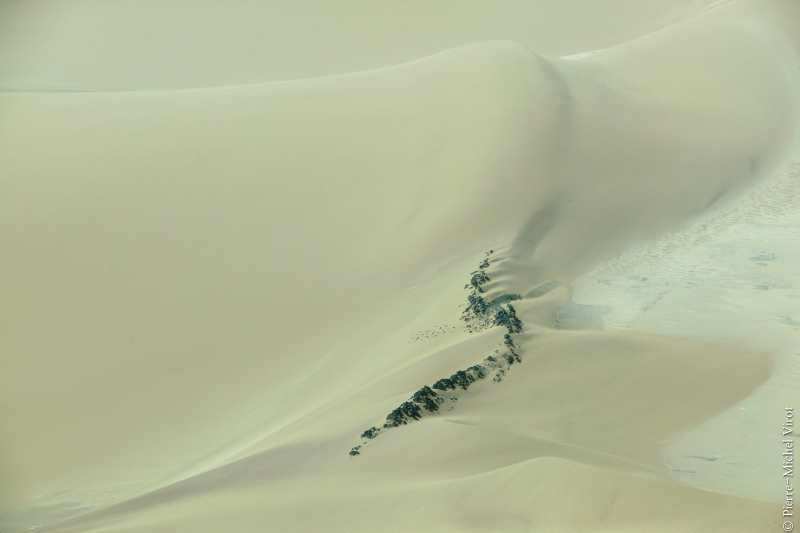 Some of the vehicles are designed by photographers for photographers. 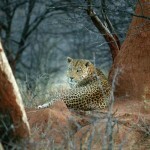 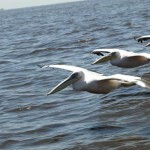 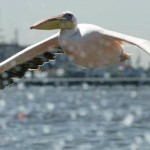 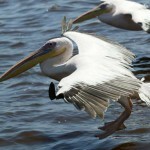 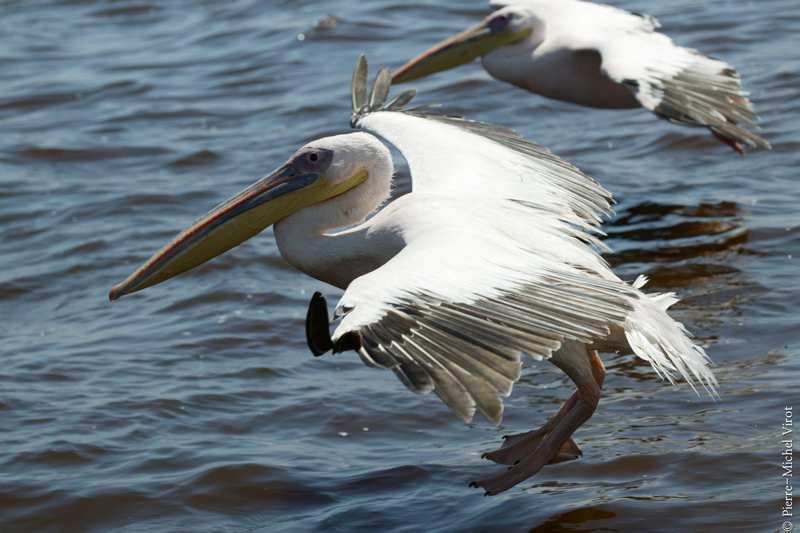 They consider the needs that taking wildlife images entails. 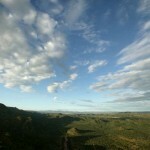 We fly with small airplanes or helicopters according to the program. 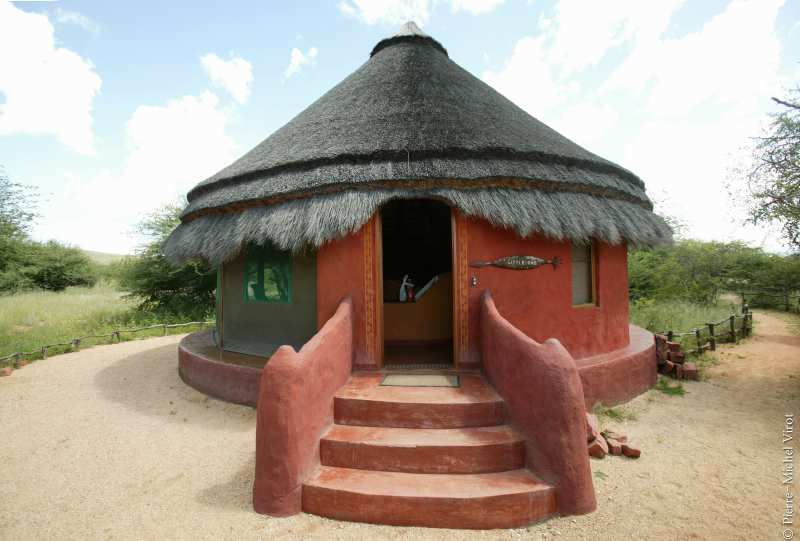 Lodges and camps will be chosen on two fundamental criteria: strategic positions for photography and a reasonable level of comfort. 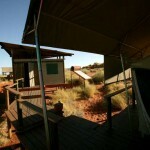 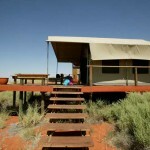 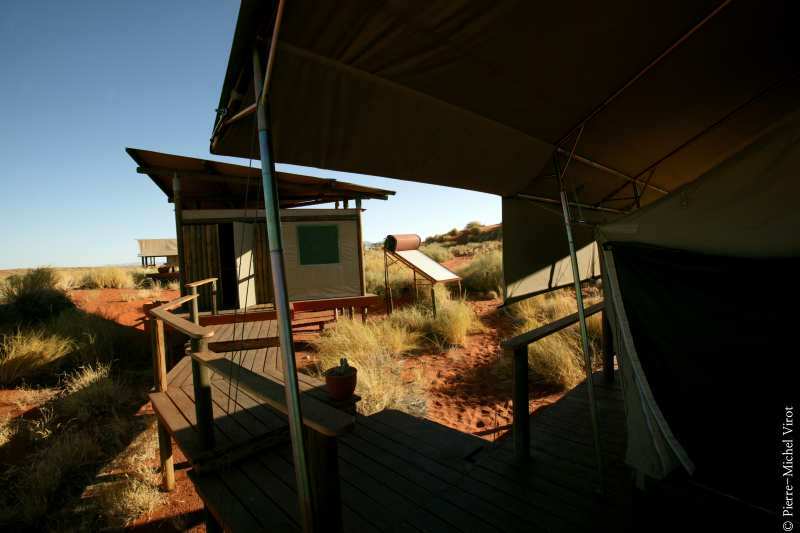 All tents or huts chosen are wide and en-suite, with comfortable beds and hot showers. 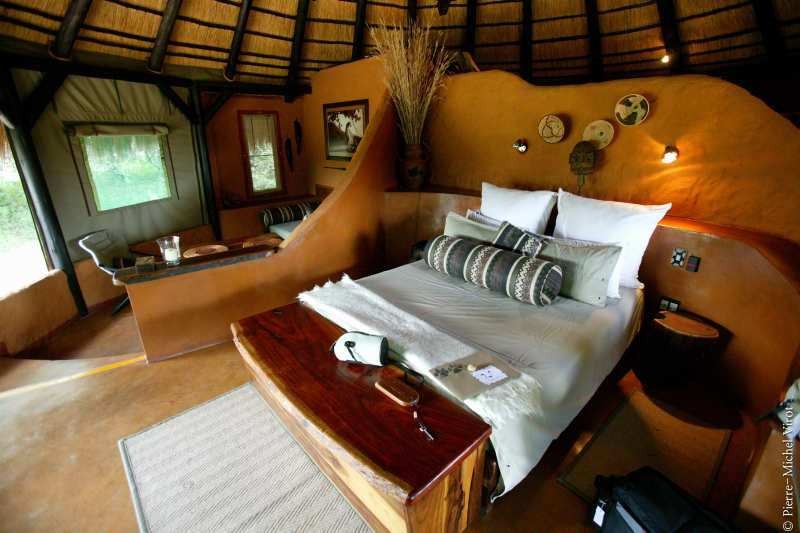 I personally prefer tents, because you better experience the natural sound of Africa at the night with all its magic. 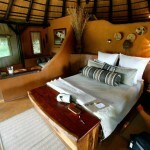 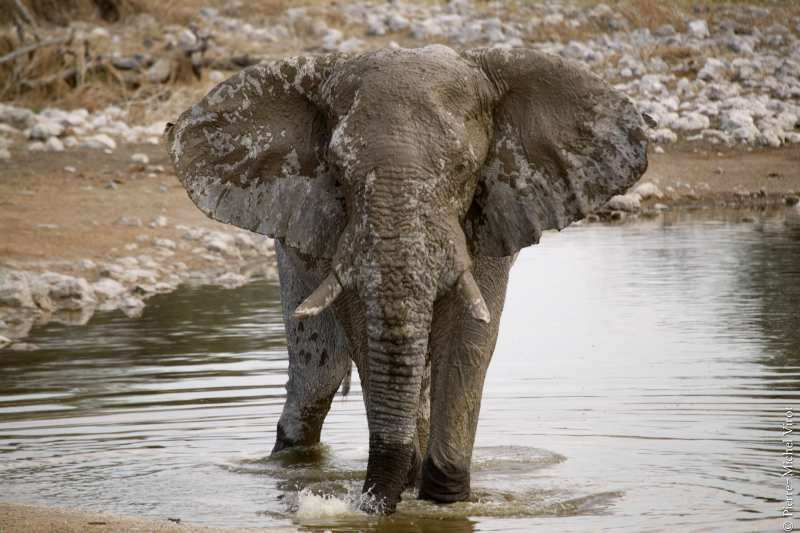 Our safaris are customized to your needs and wishes. 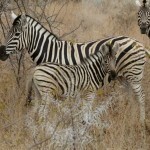 They can be also planned on a one-to-one basis. 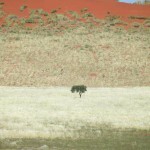 It’s all a matter of resources and almost any country, which makes sense, can be chosen. 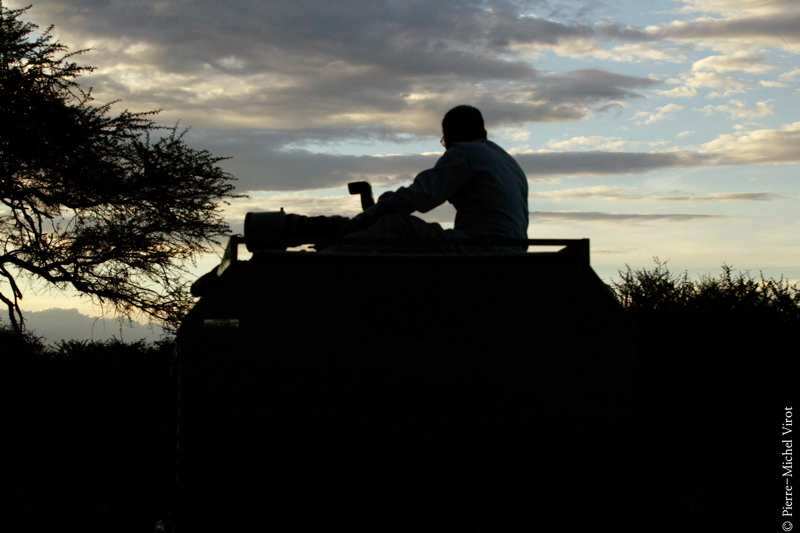 The usual number of participants on these safaris is four people up to a maximum of six, traveling in two Land Cruisers or a similar stretched vehicle with three or four rows. 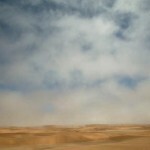 Each participant will have the opportunity to photograph comfortably from both sides of the vehicle. 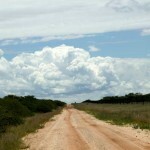 Participants will take turns traveling in my vehicle. 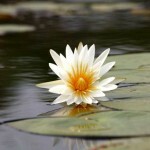 Everyone will enjoy the same amount of time and support from me. 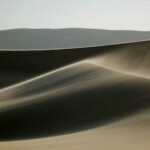 We welcome photographers of different levels. 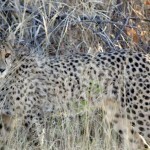 This safari will be conducive to learning from one another and includes instruction that will suit everyone’s photographic needs. 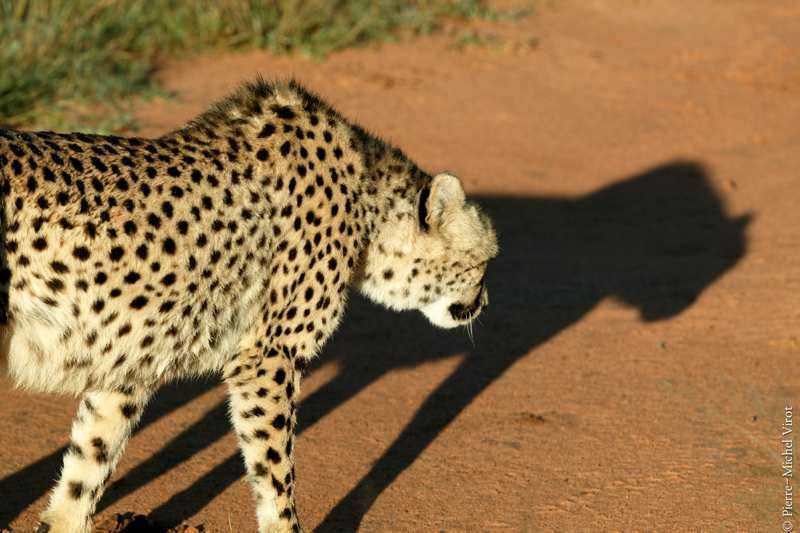 No question is off limits, no inquiry too basic. 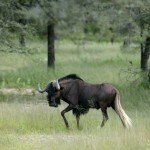 Non-photographers or videographer spouses / travel companions will also love these safaris. 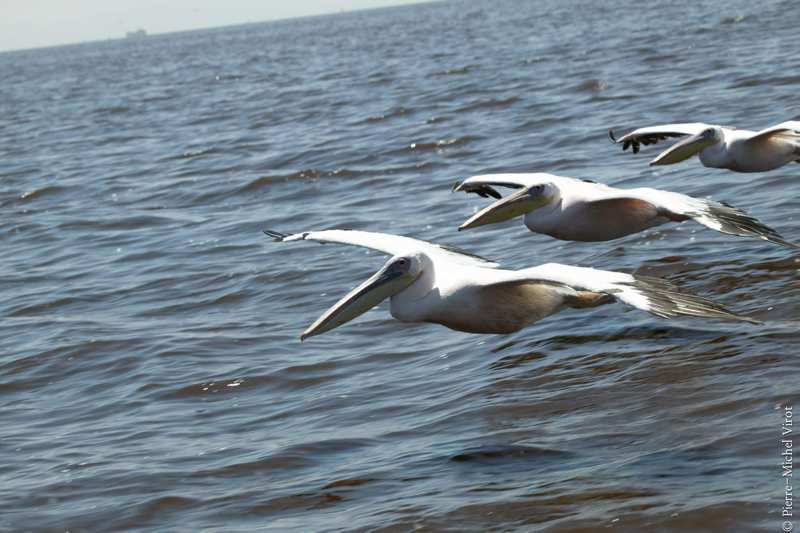 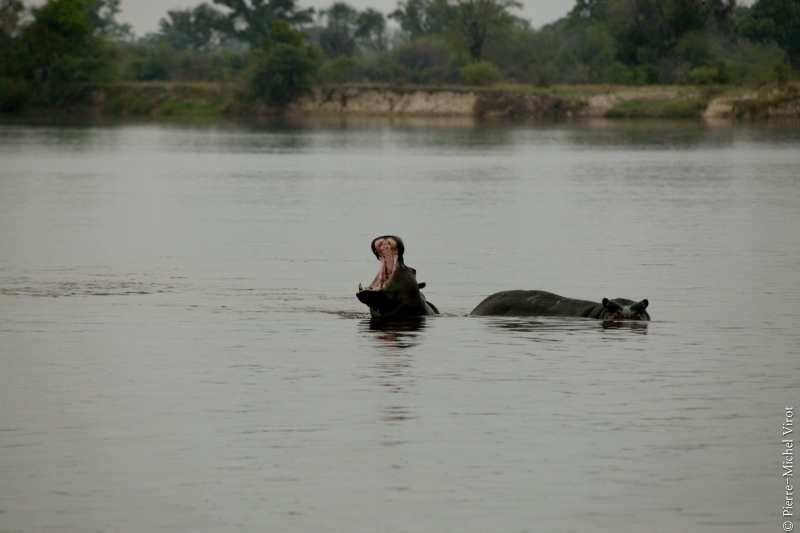 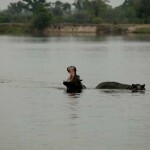 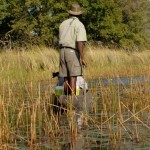 We have specialist guides leading all safari activities and optional activities (boating, walks, etc.) 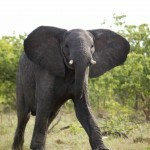 are also available at any time. 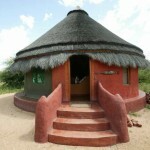 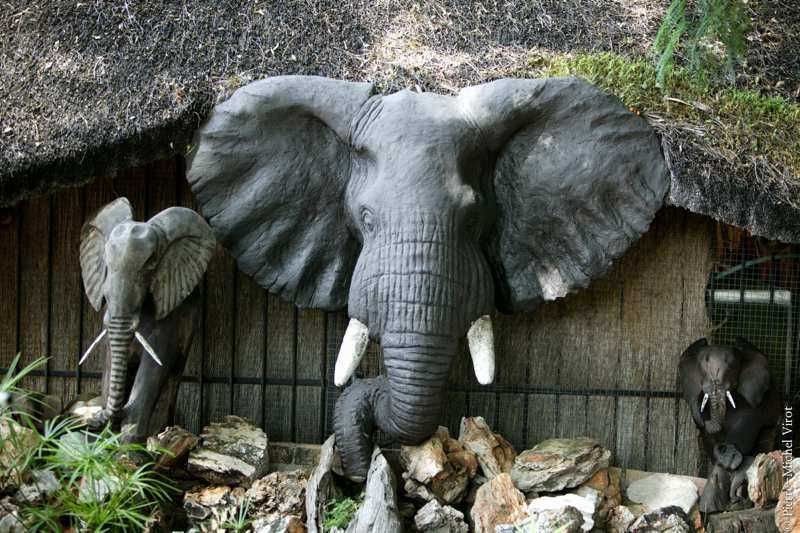 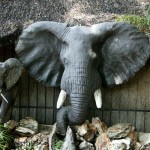 Contact us for a customized safari trip and we’ll develop one with you that meets your wishes.